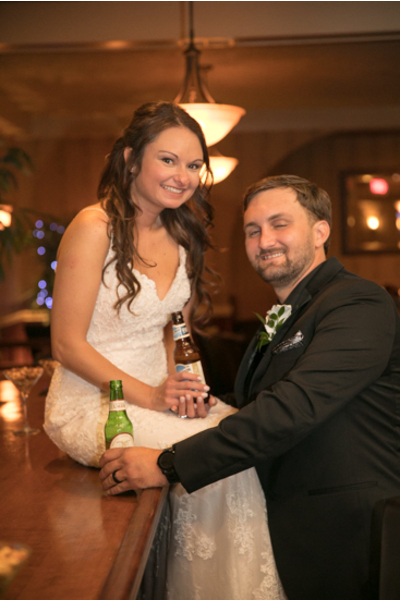 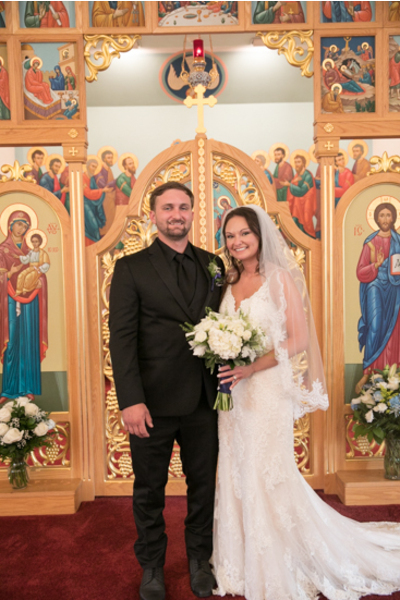 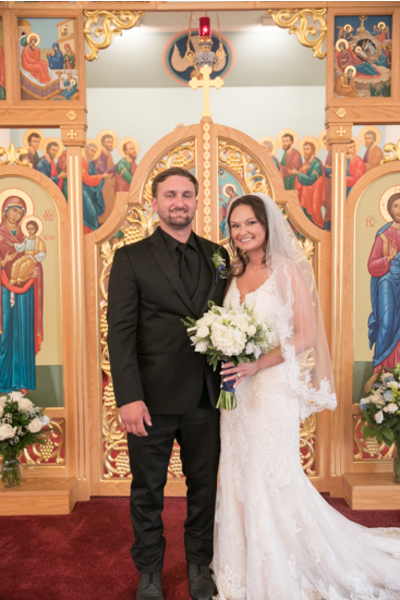 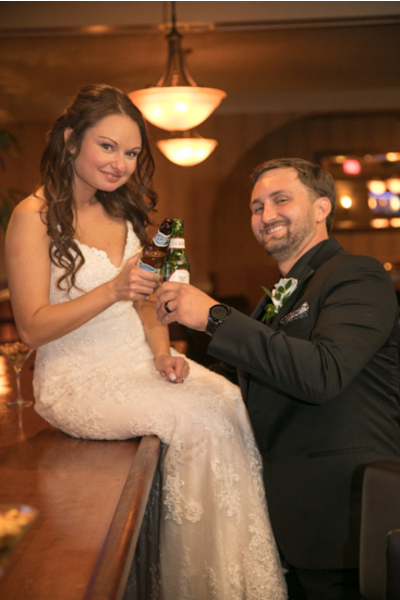 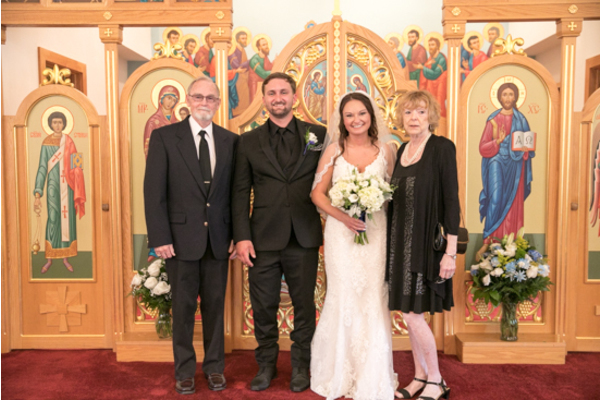 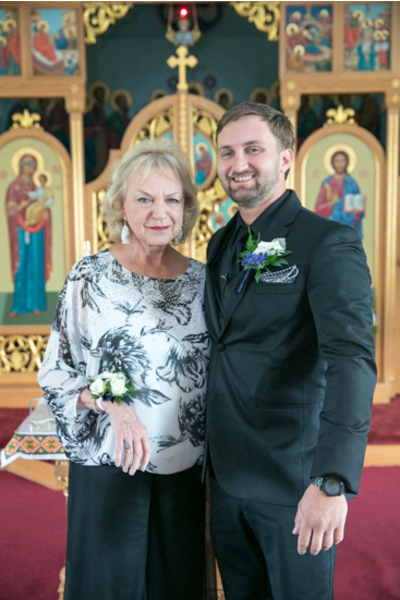 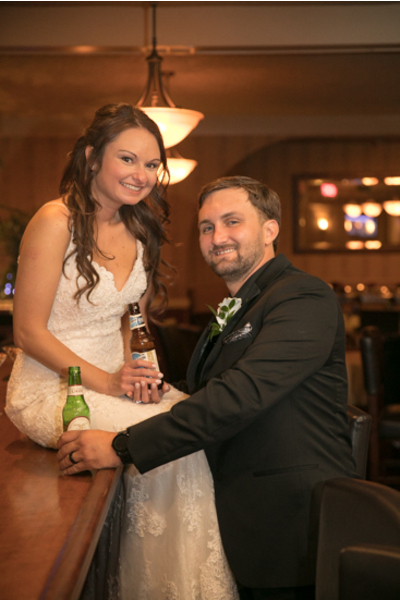 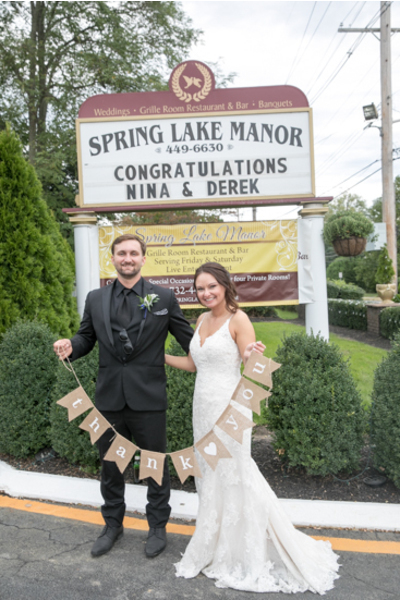 Congratulations to Nina and Derek on their recent marriage! 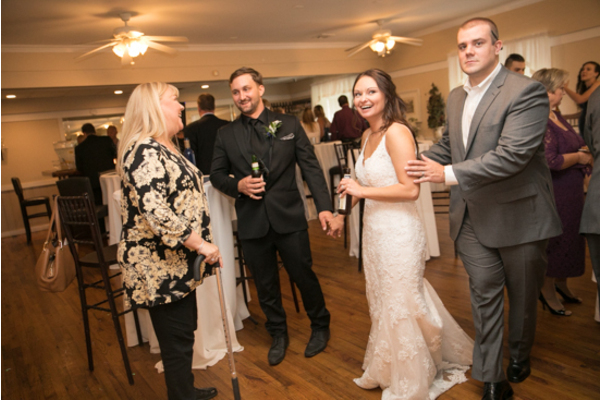 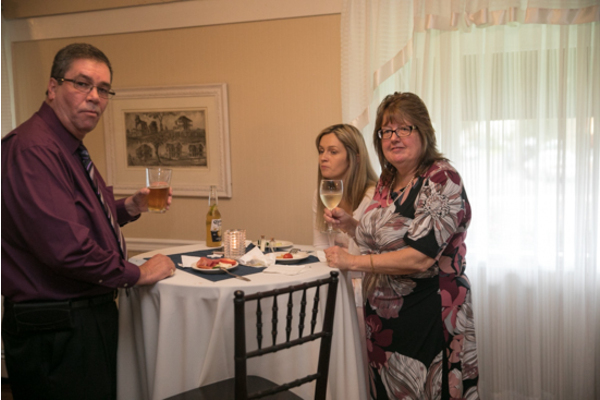 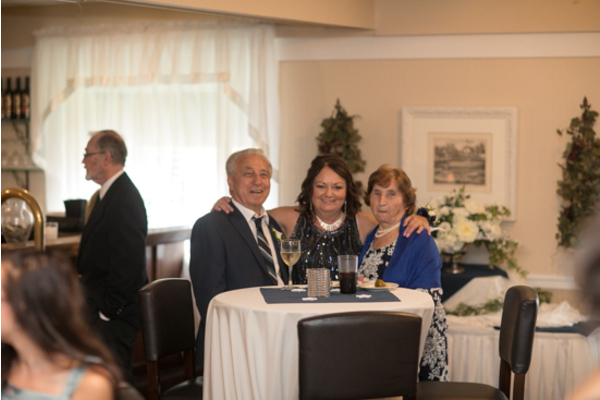 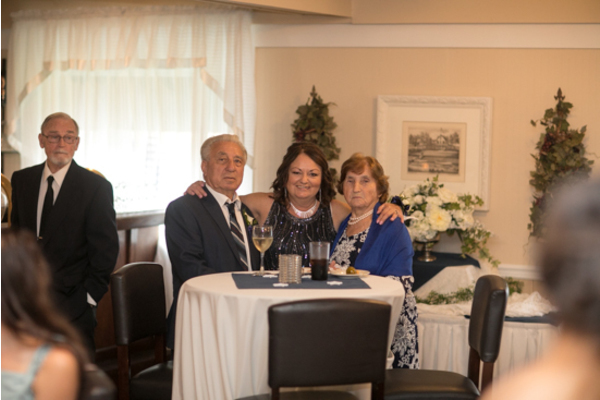 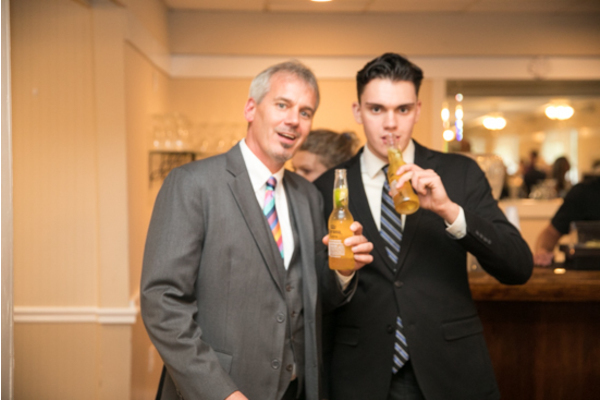 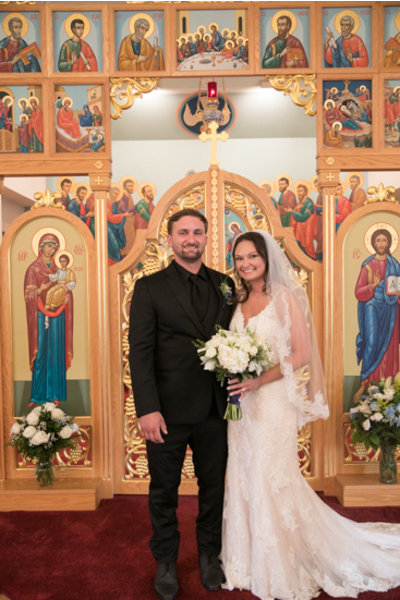 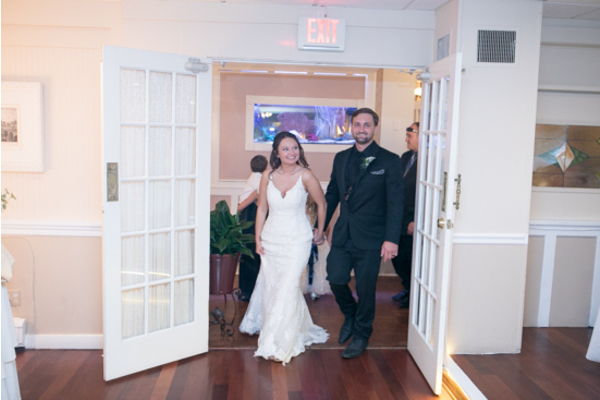 The happy couple tied the knot at Spring Lake Manor in Spring Lake, NJ. 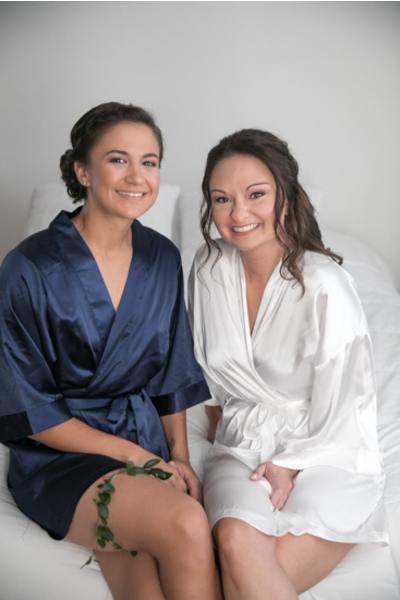 First, Nina began her day surrounded by her beautiful bridesmaid dressed in matching royal blue robes. 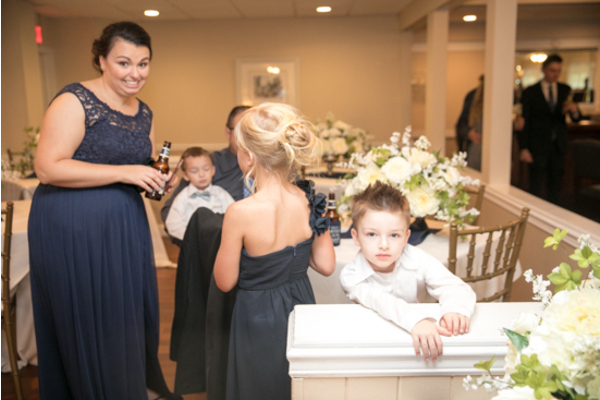 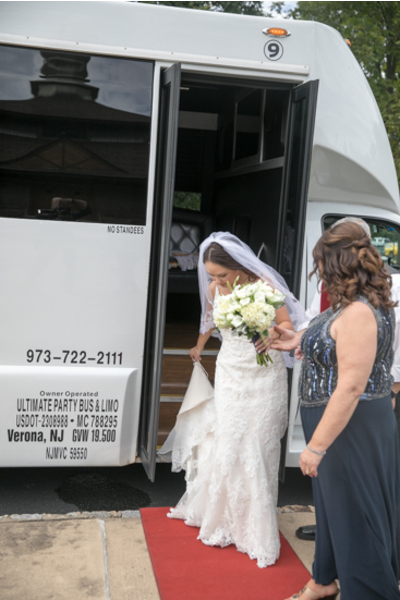 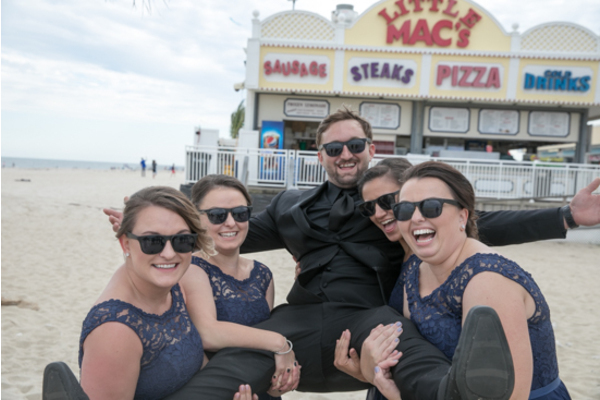 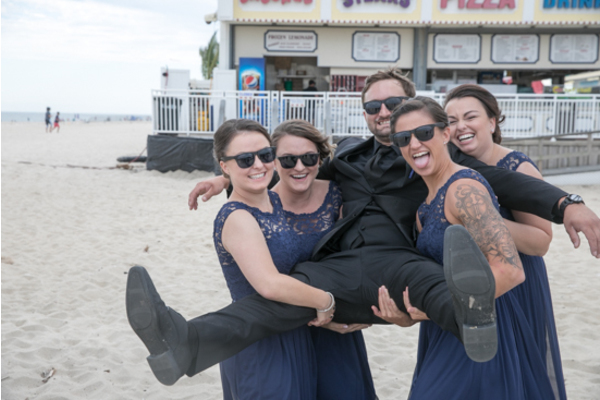 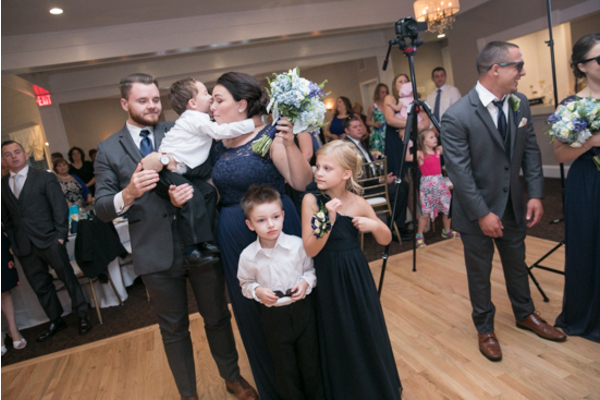 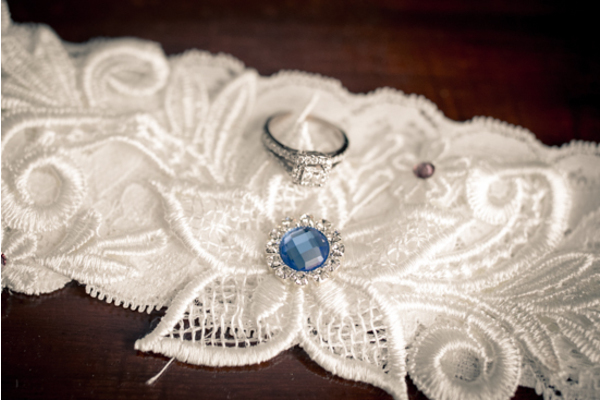 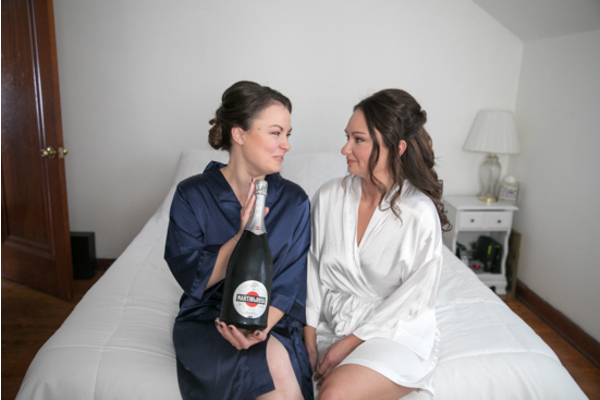 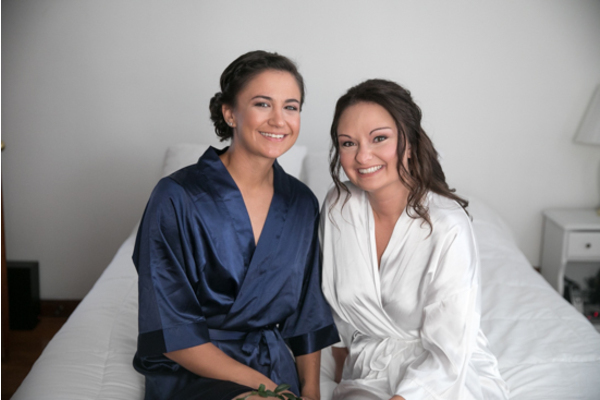 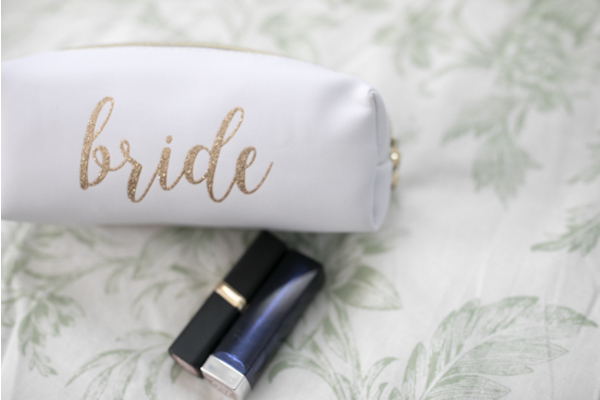 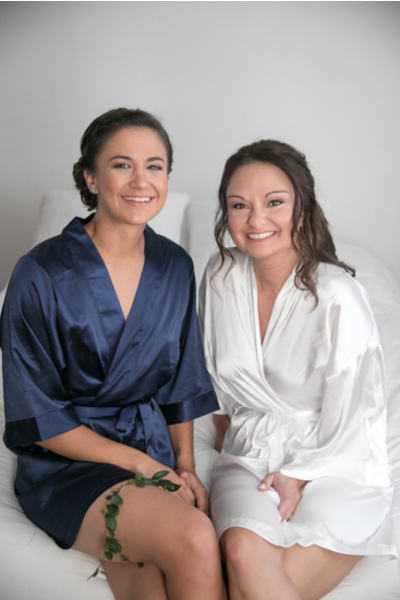 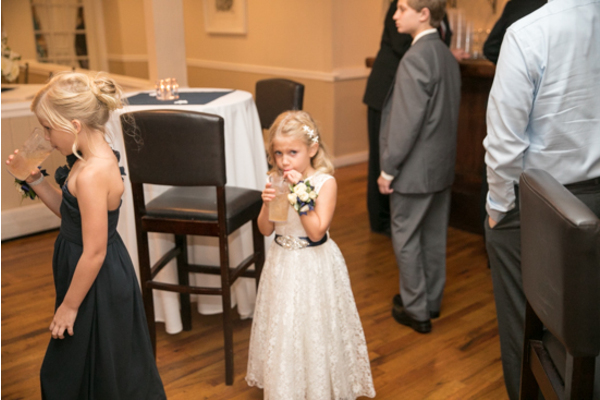 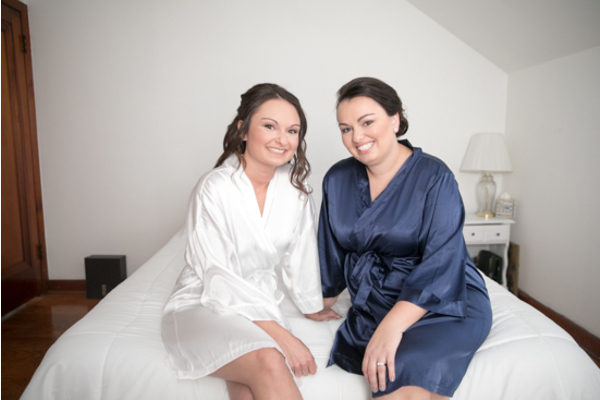 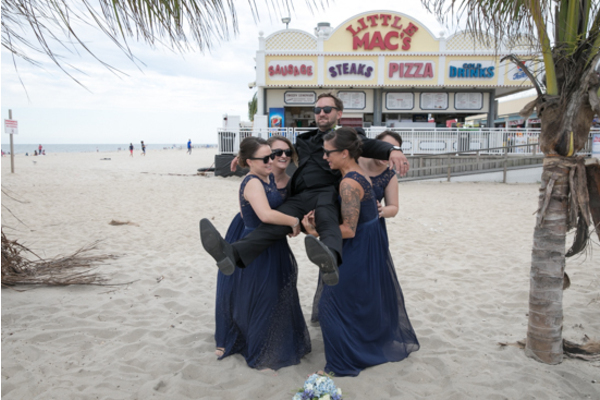 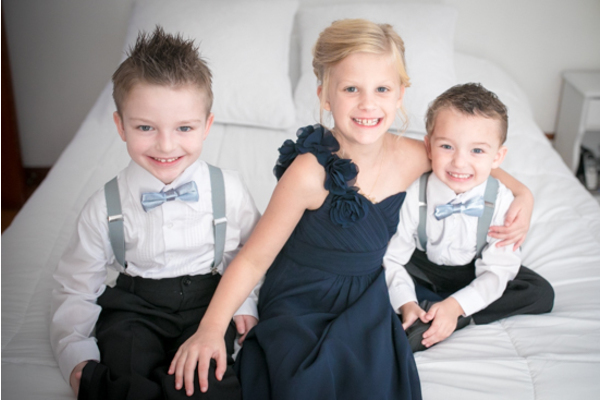 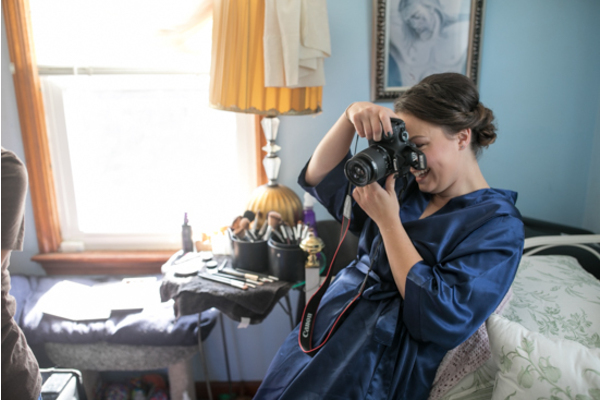 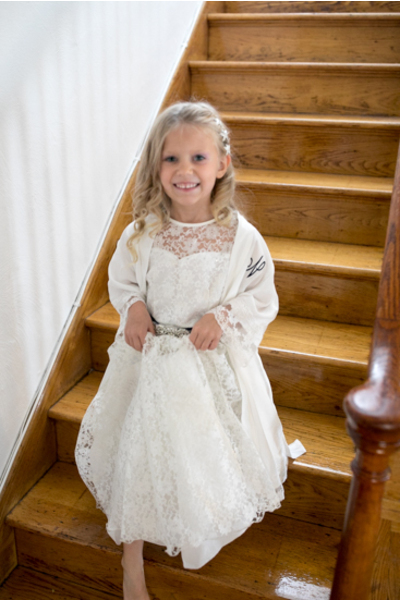 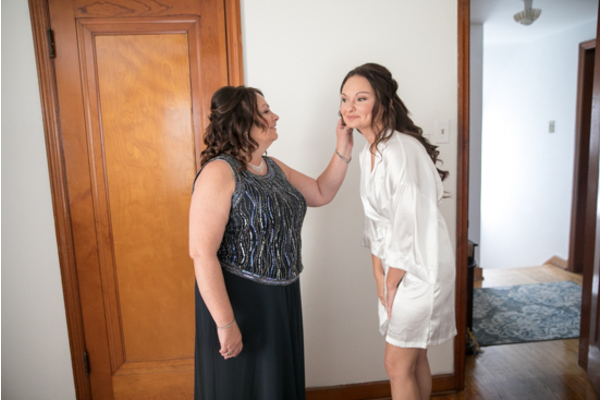 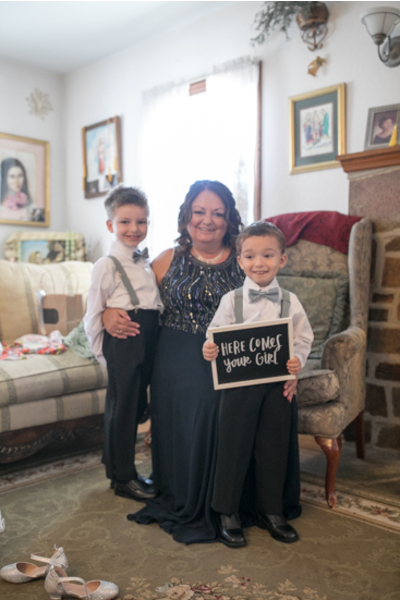 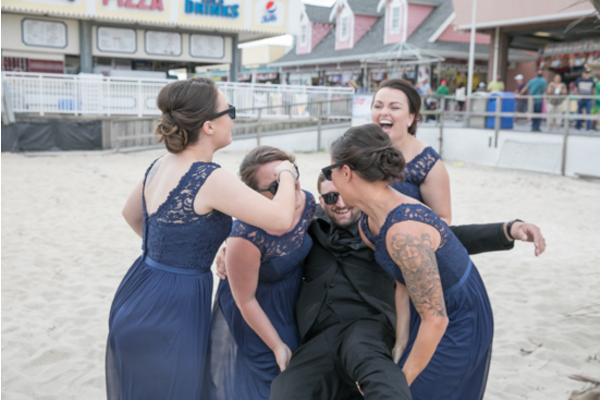 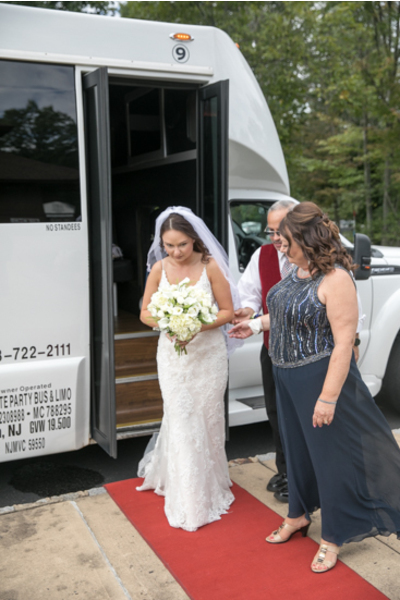 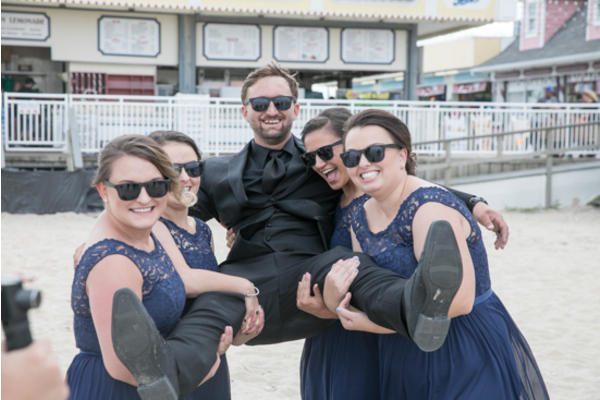 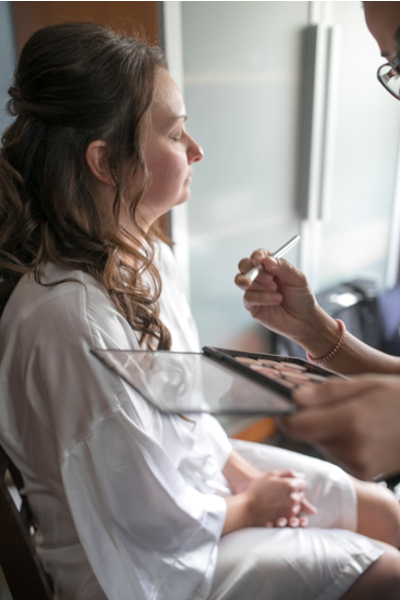 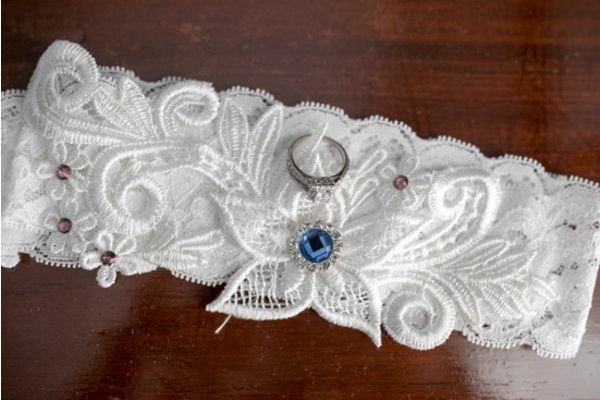 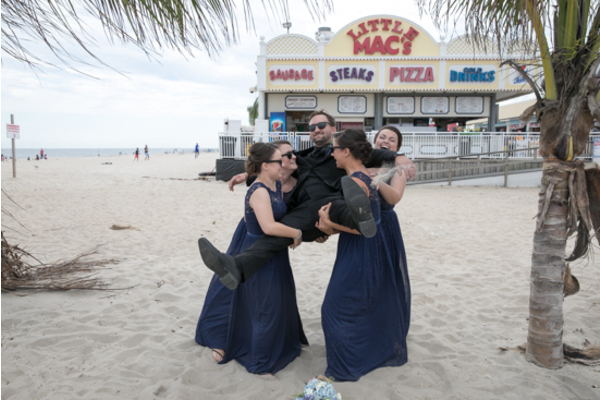 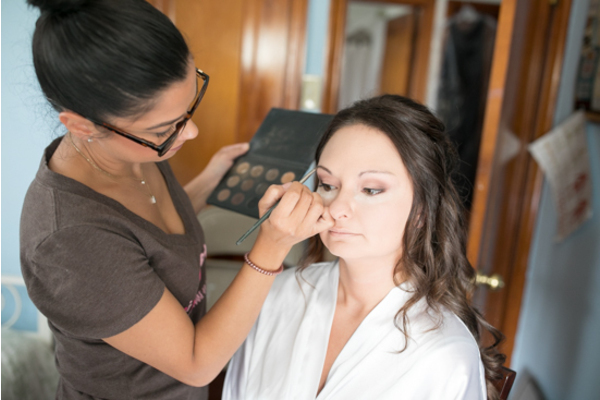 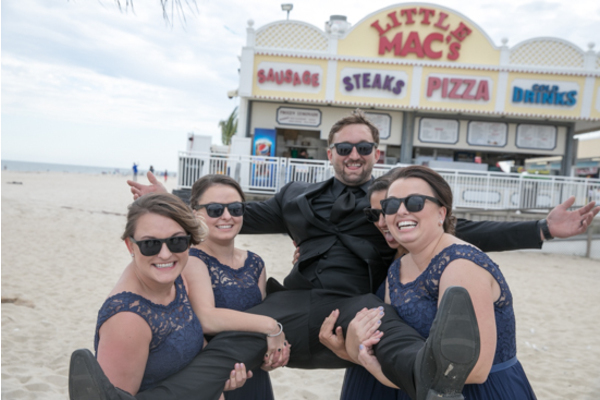 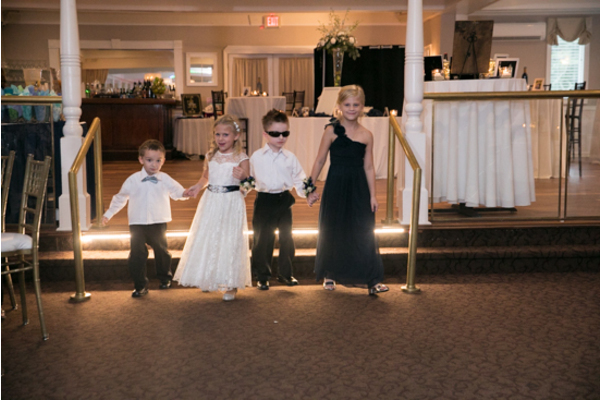 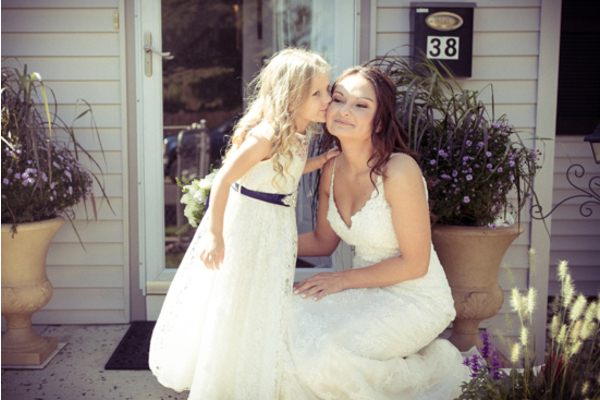 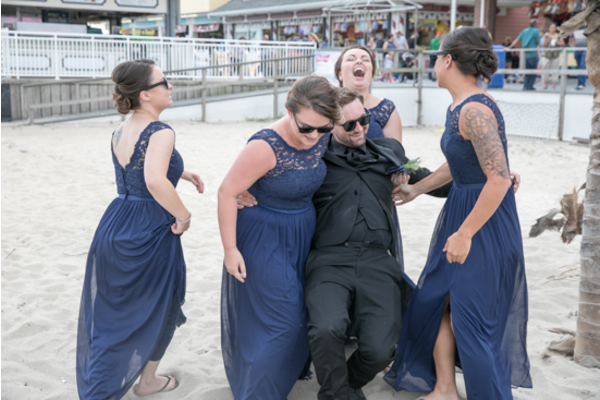 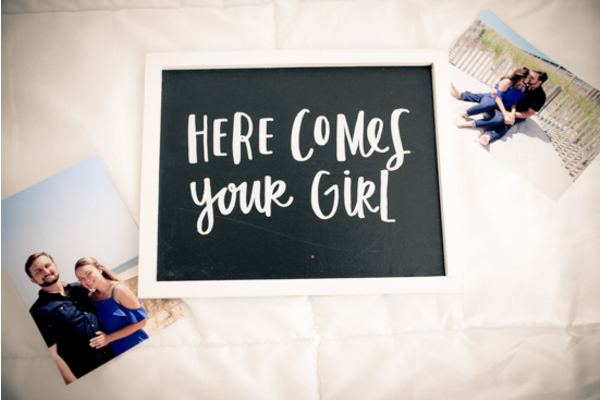 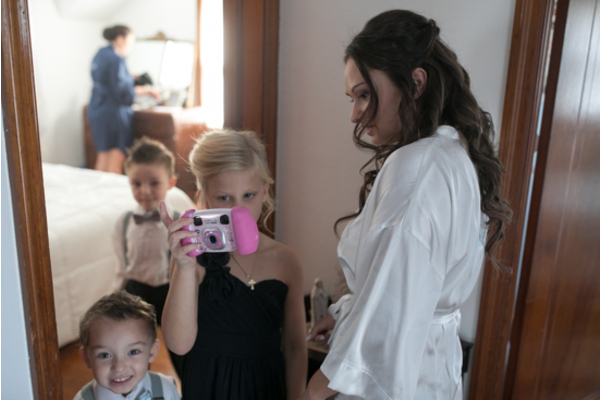 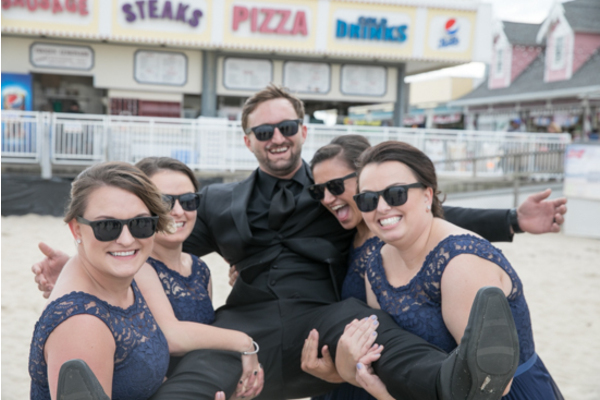 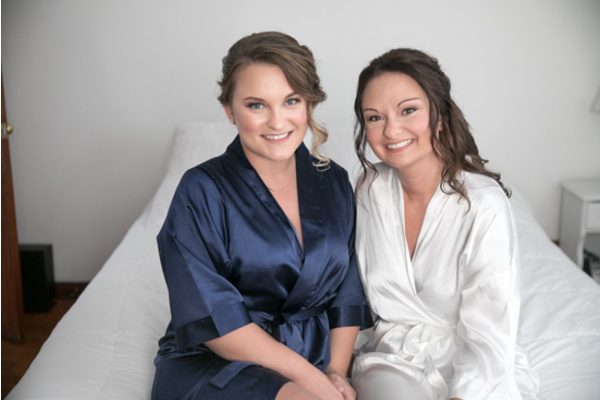 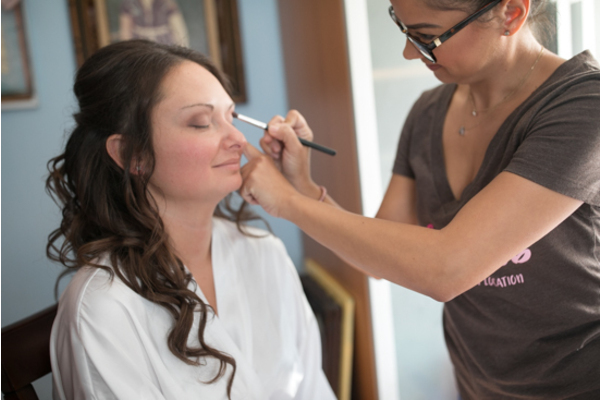 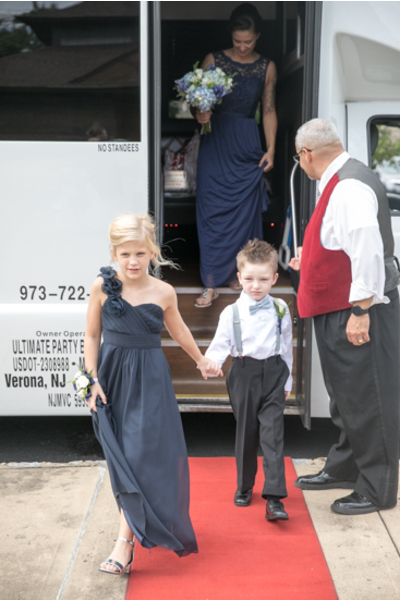 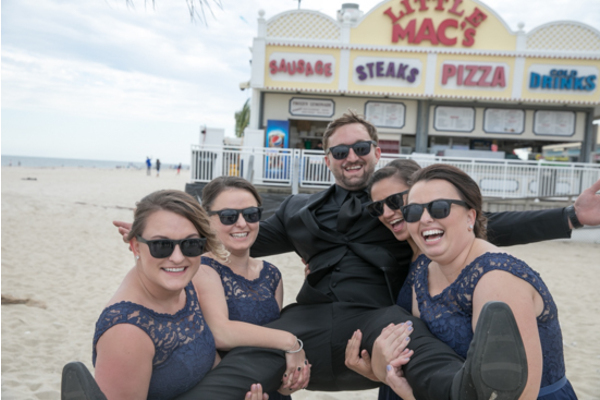 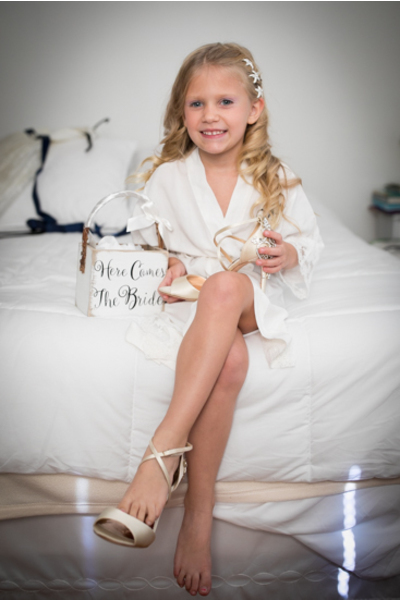 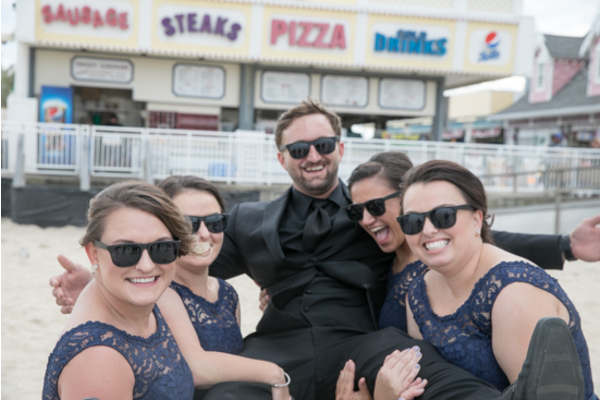 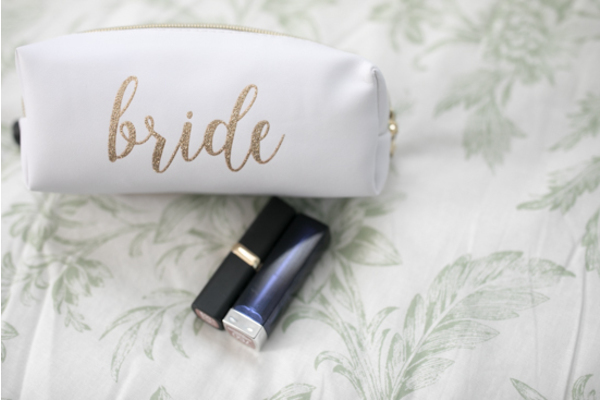 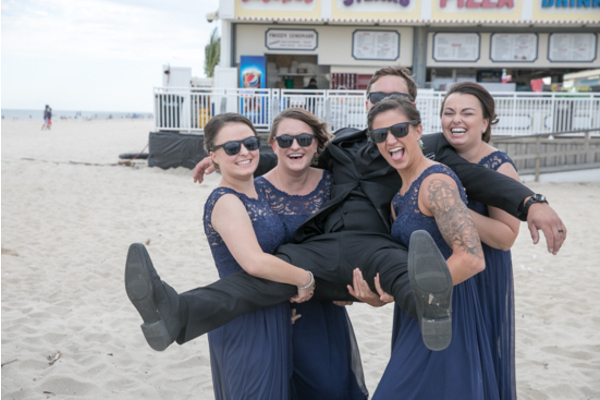 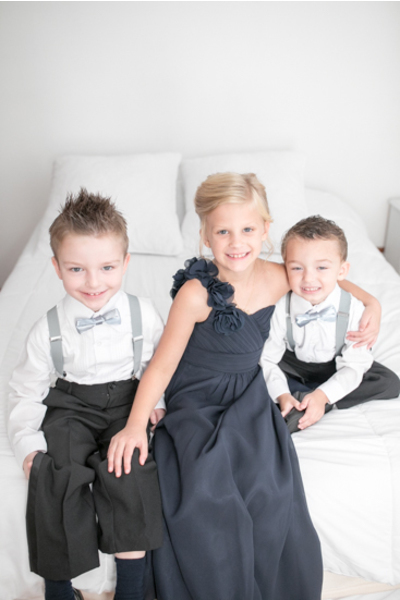 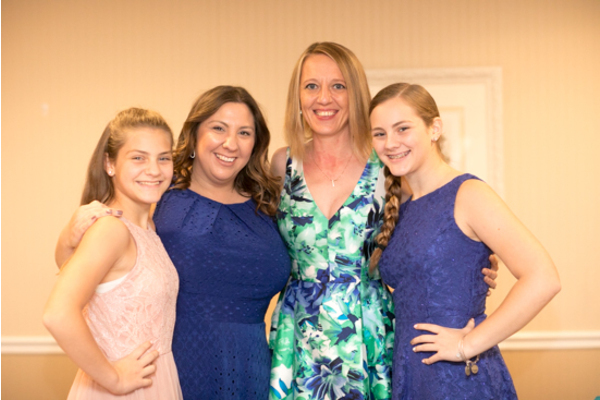 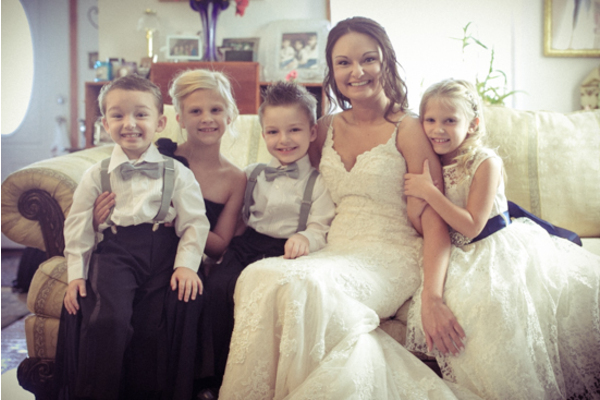 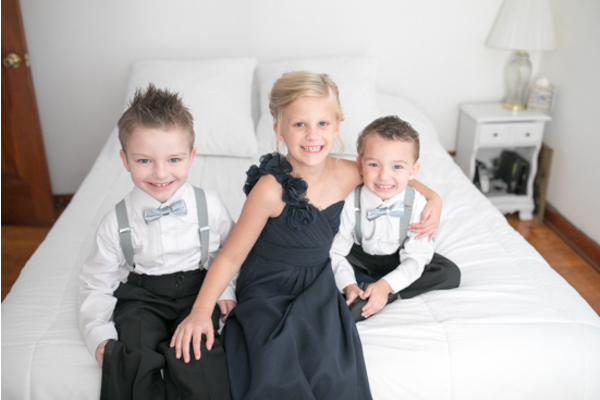 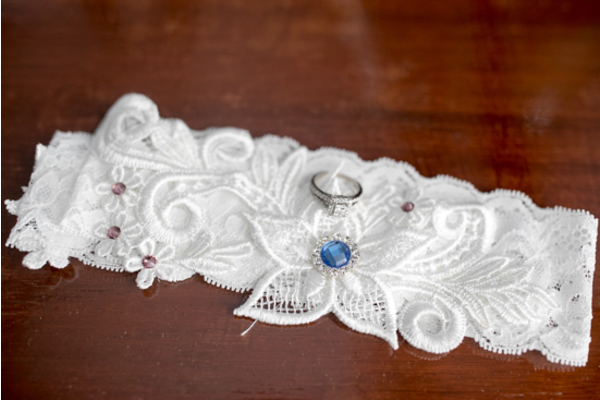 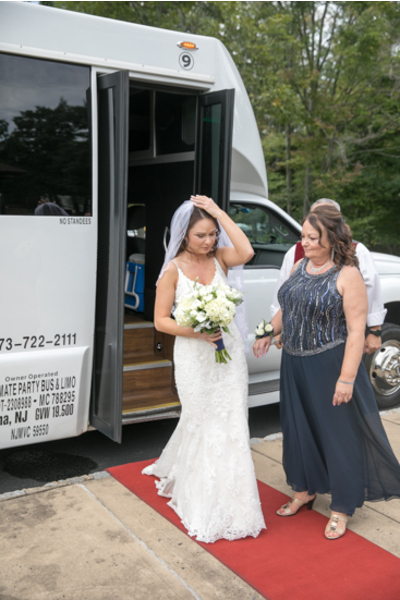 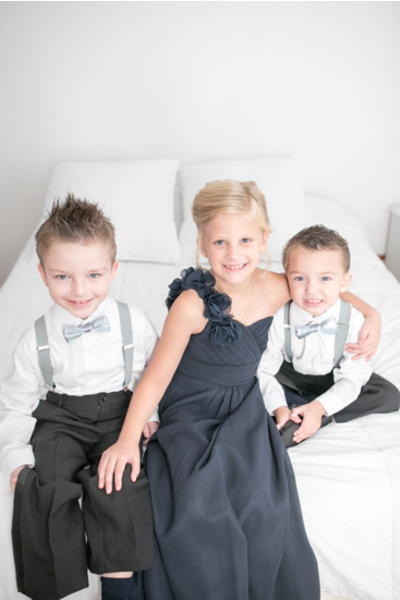 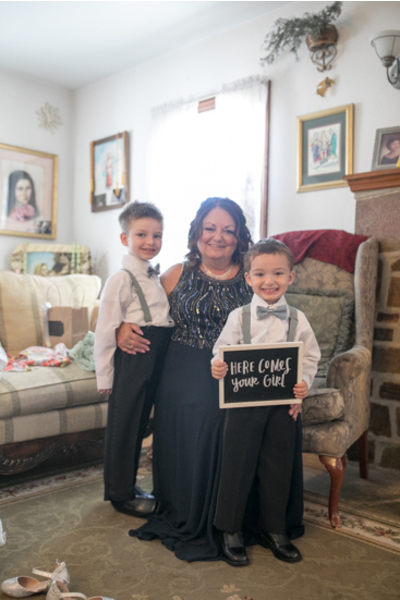 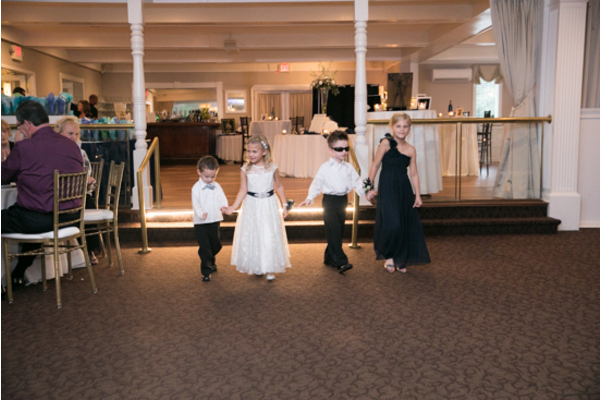 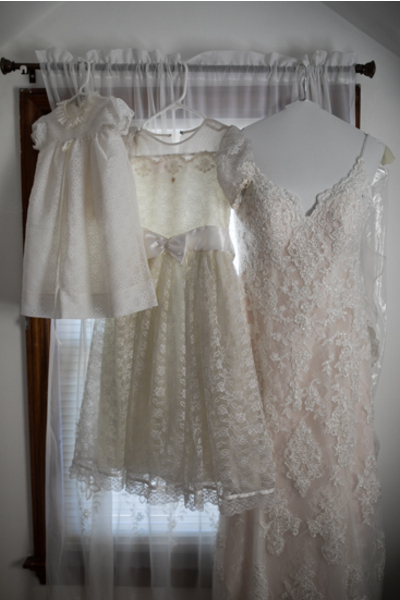 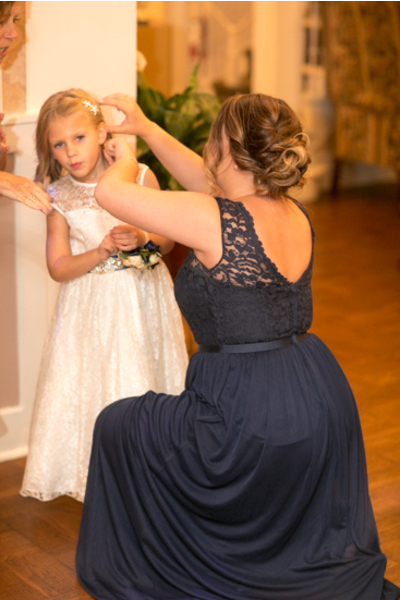 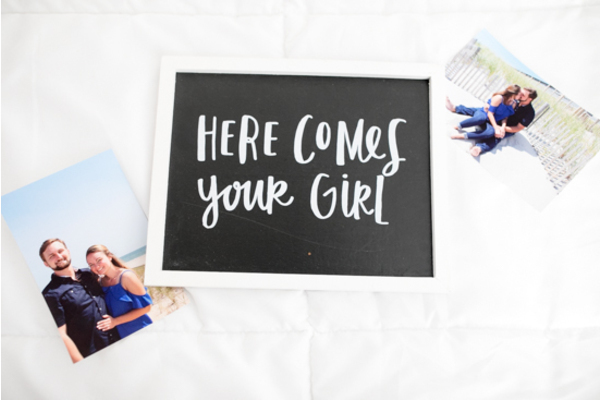 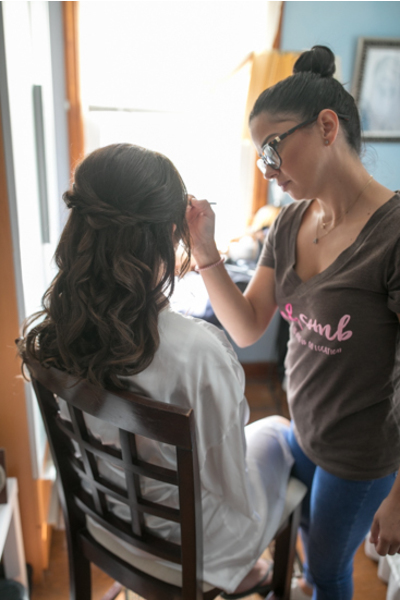 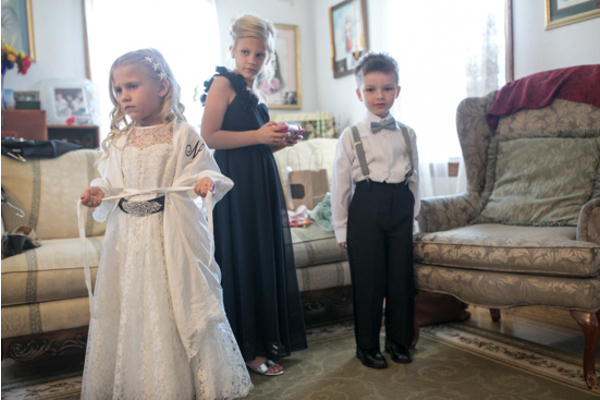 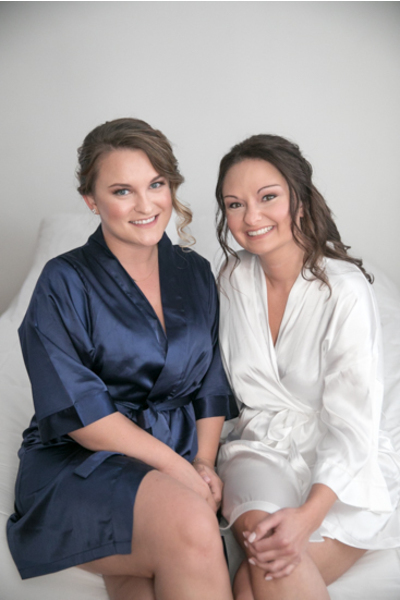 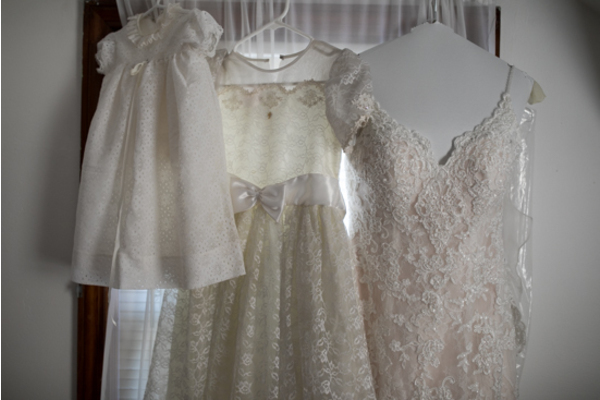 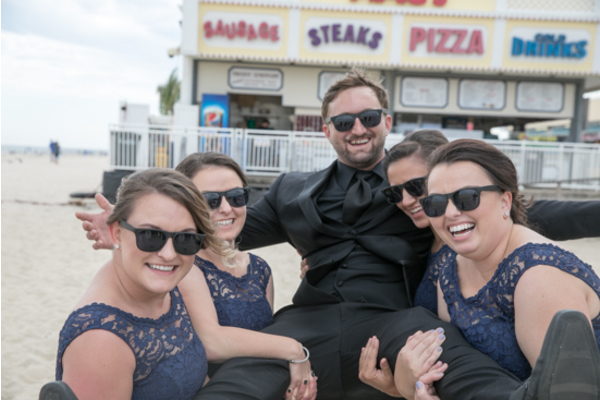 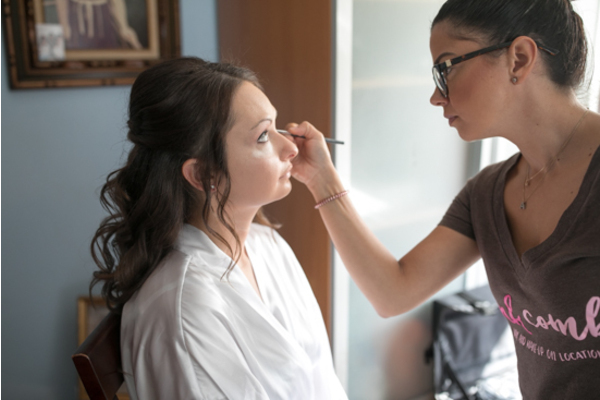 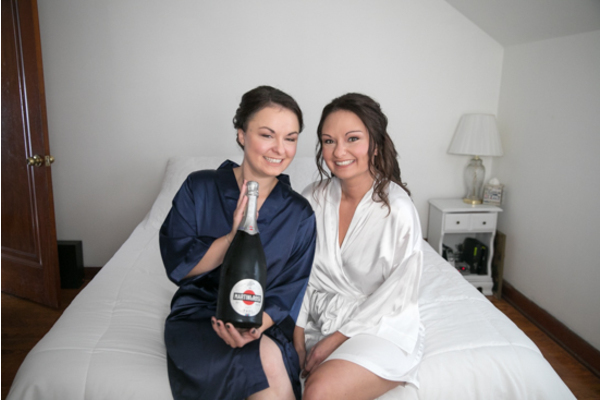 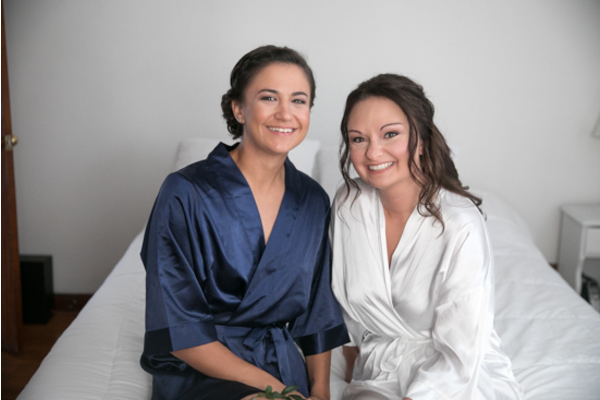 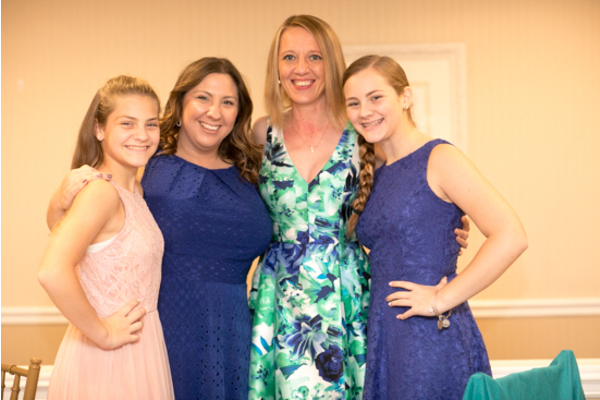 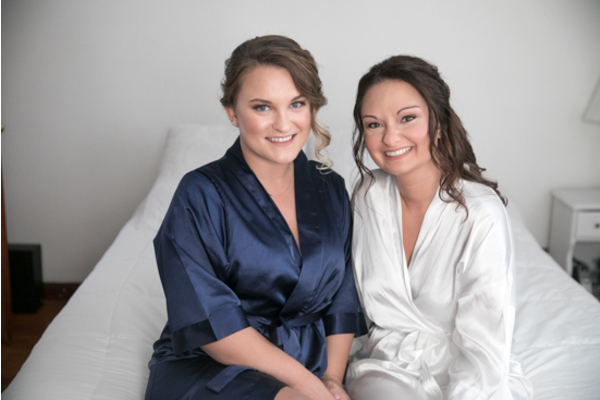 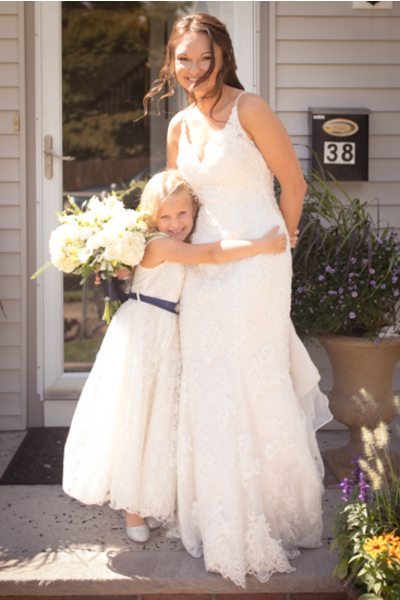 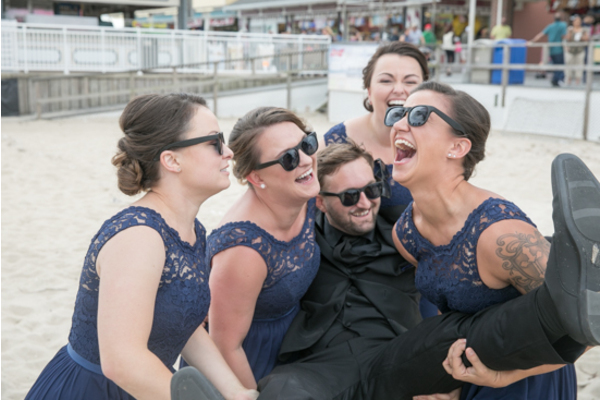 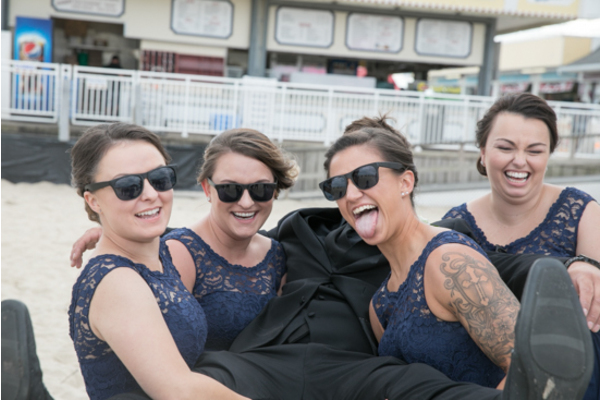 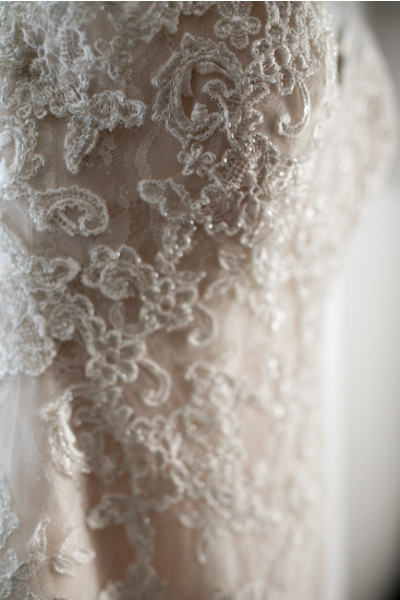 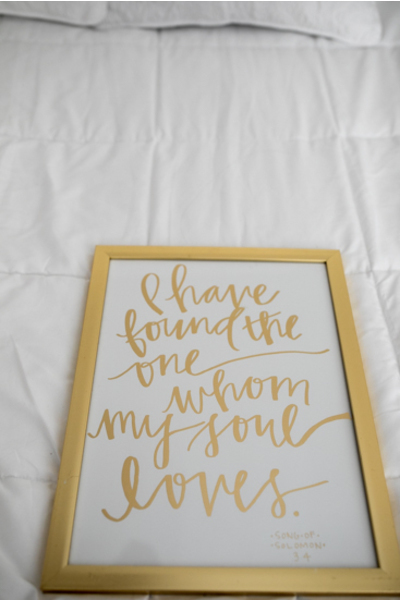 Our NJ Wedding Photographer was there to capture all the love and happiness that Nina and her girls shared. 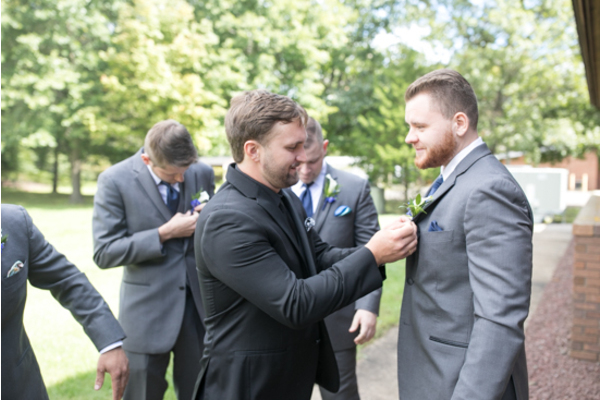 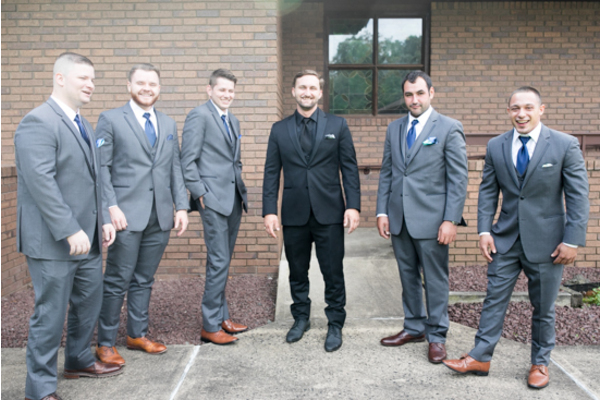 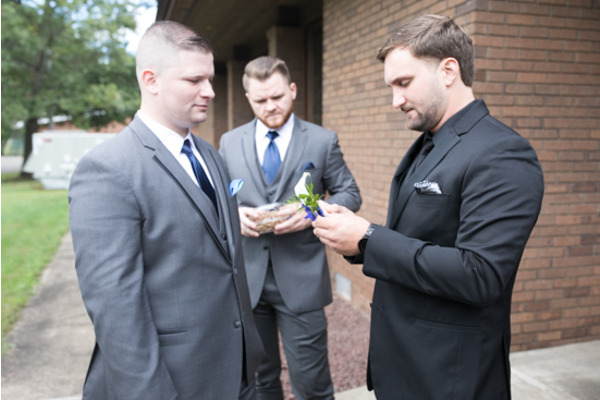 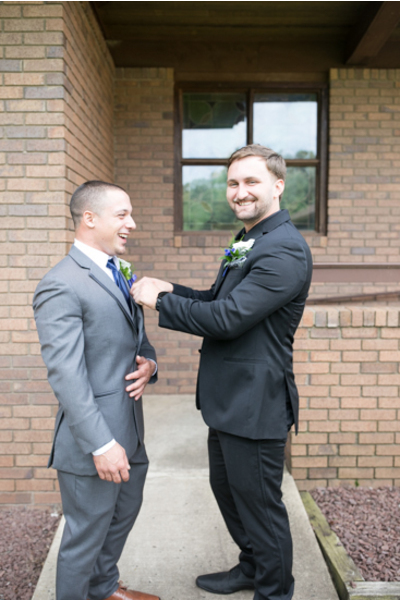 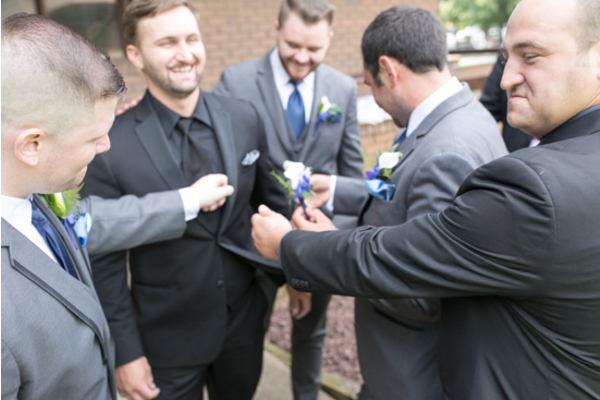 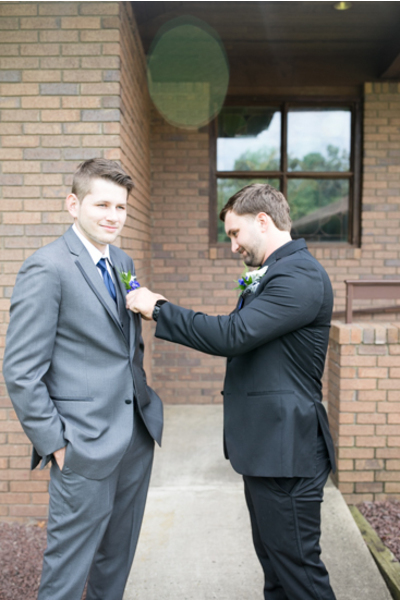 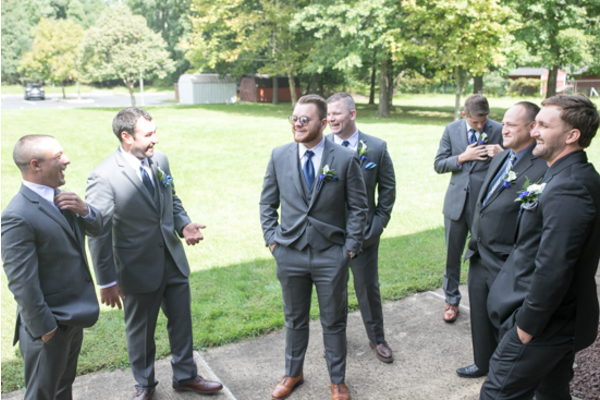 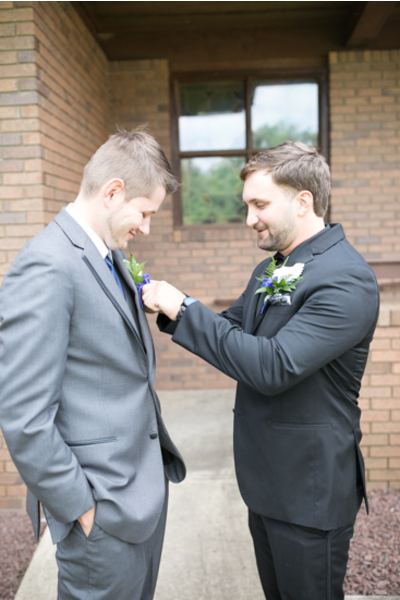 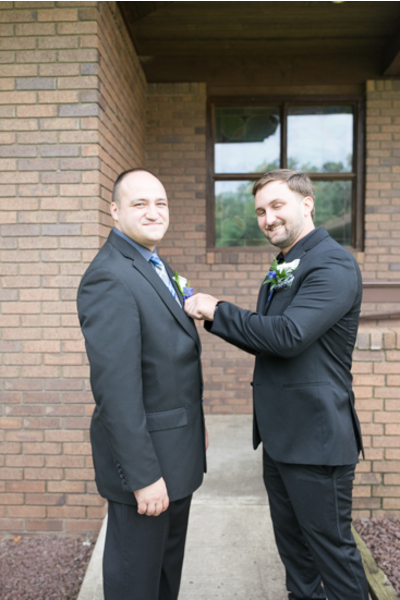 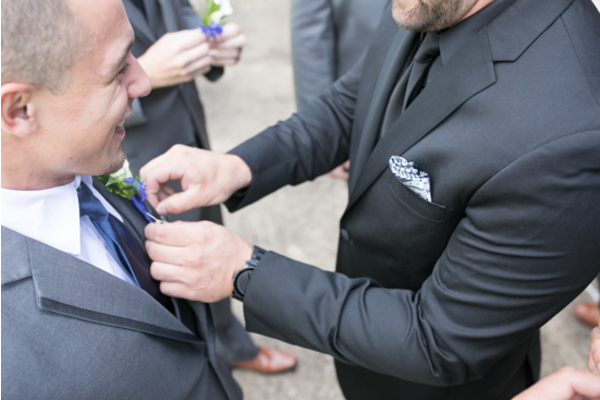 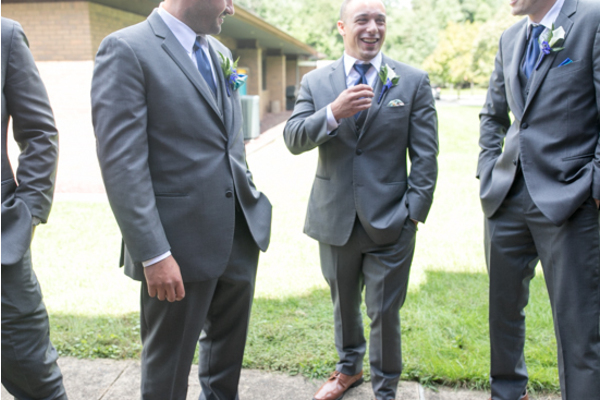 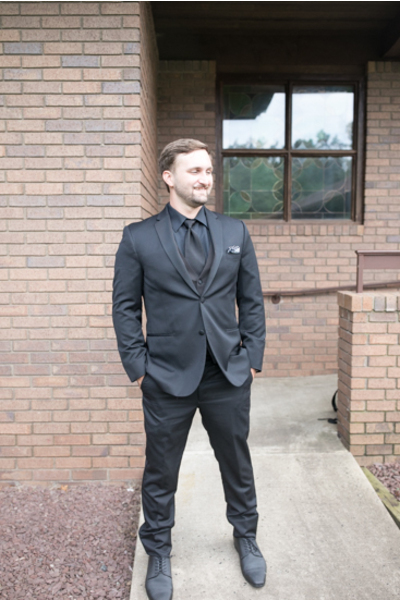 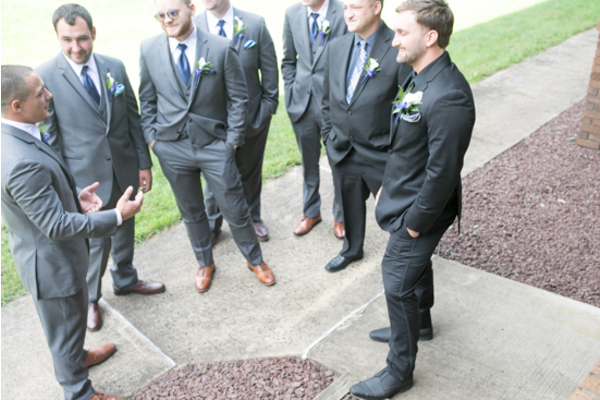 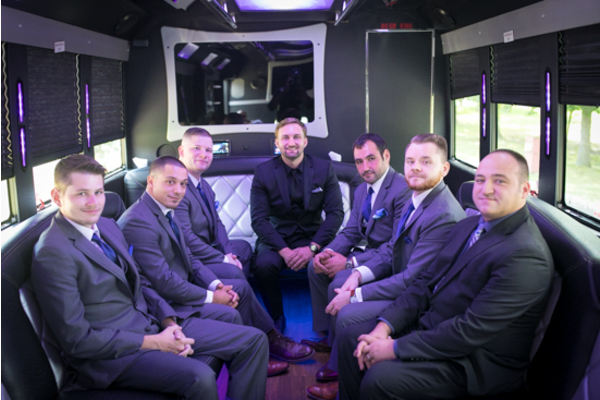 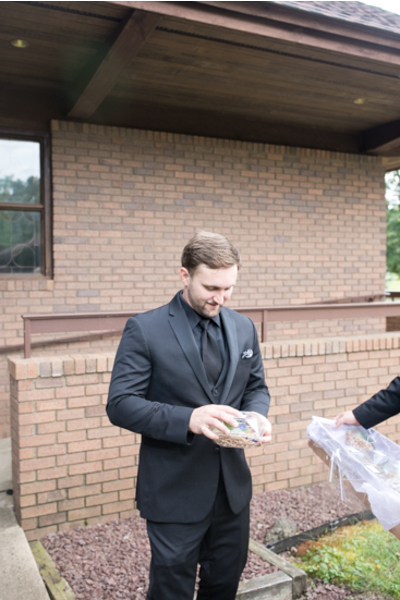 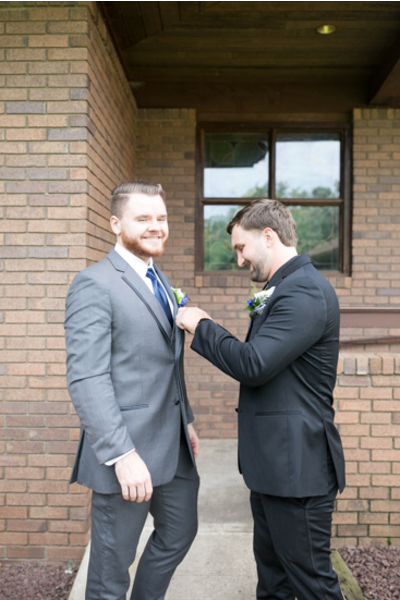 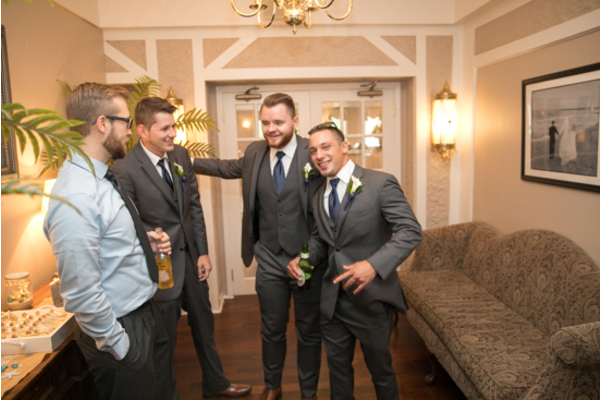 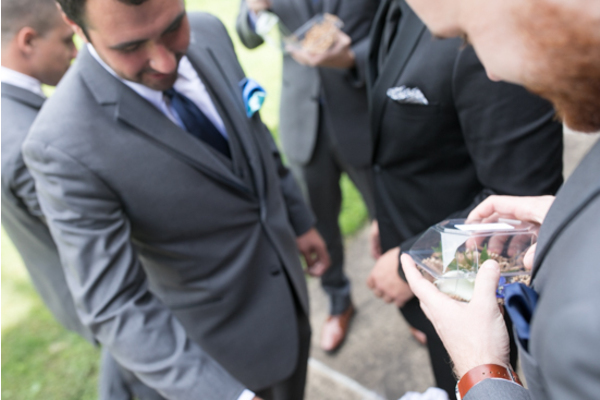 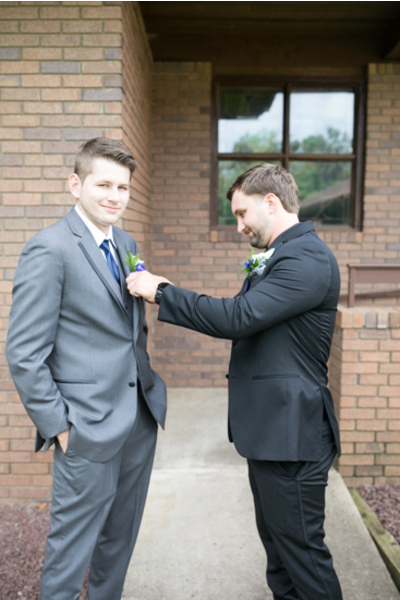 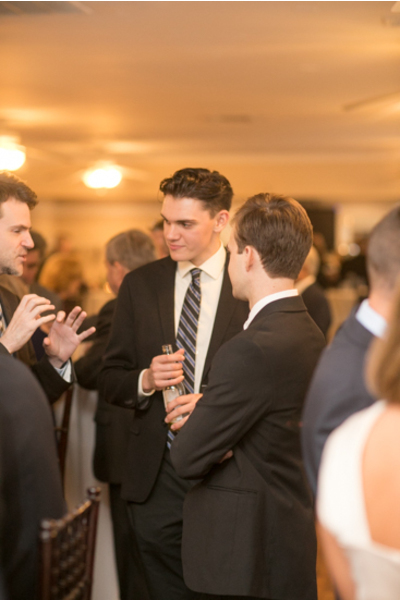 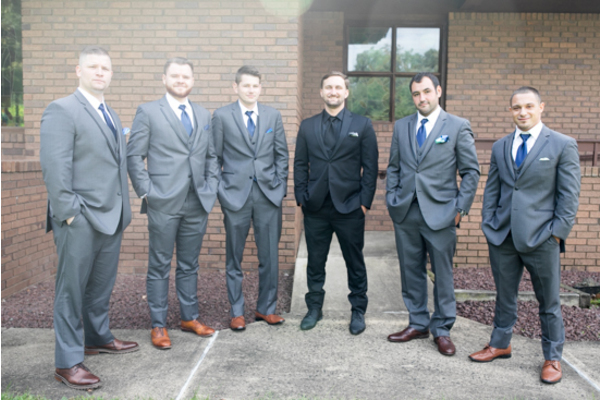 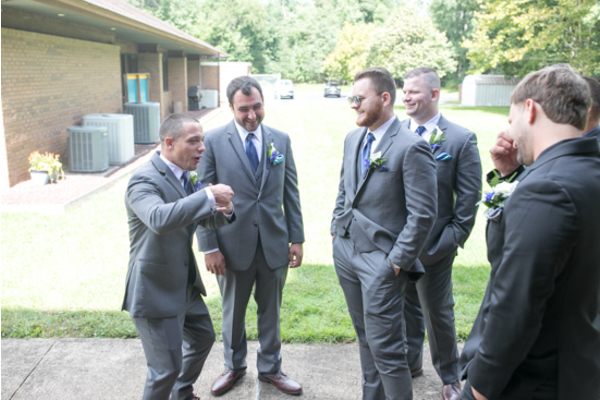 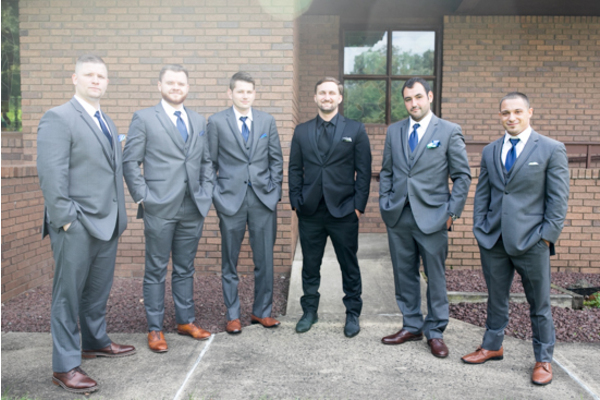 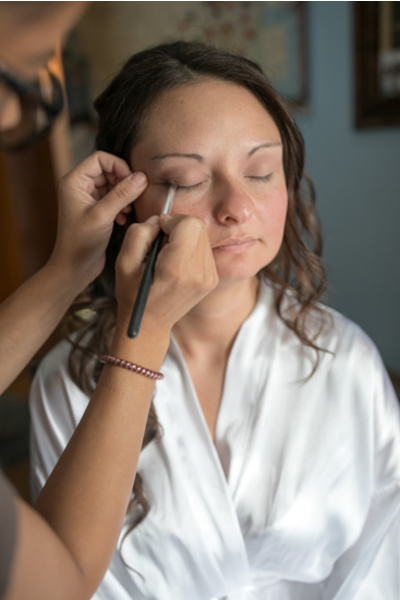 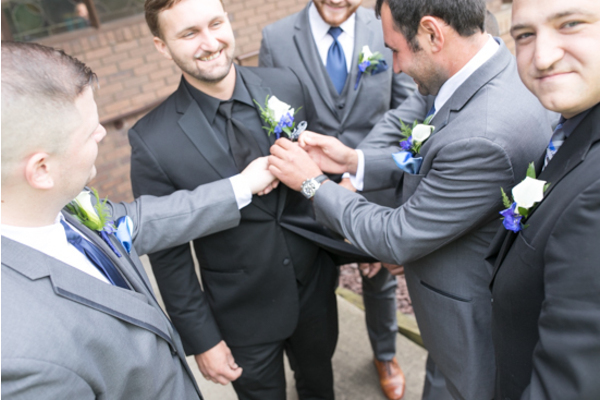 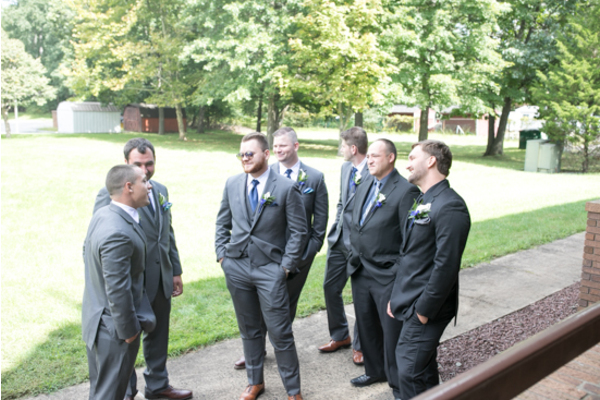 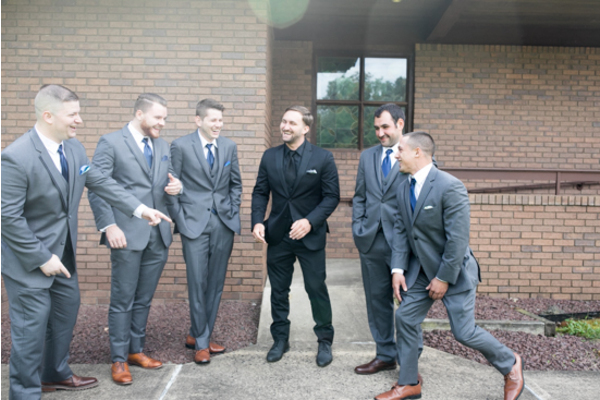 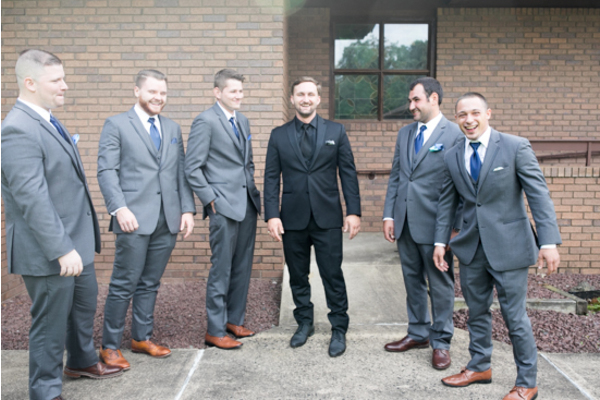 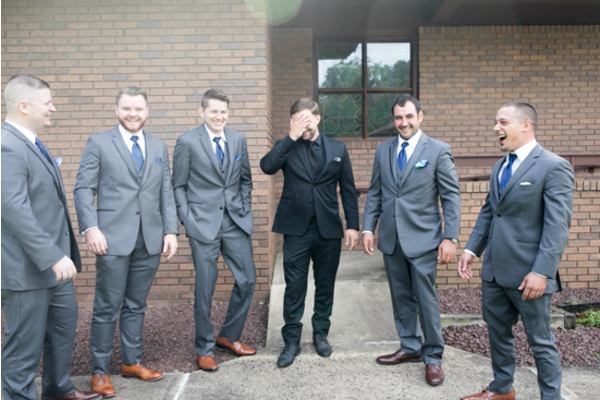 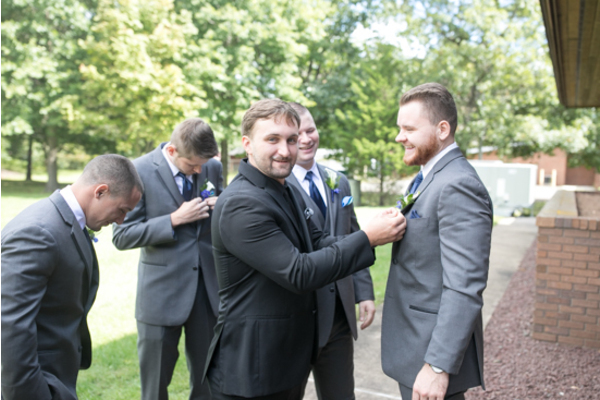 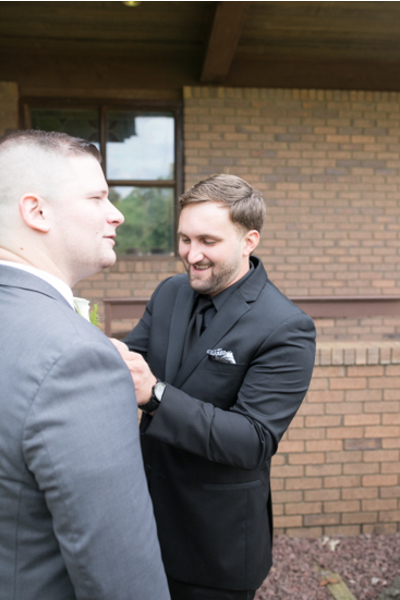 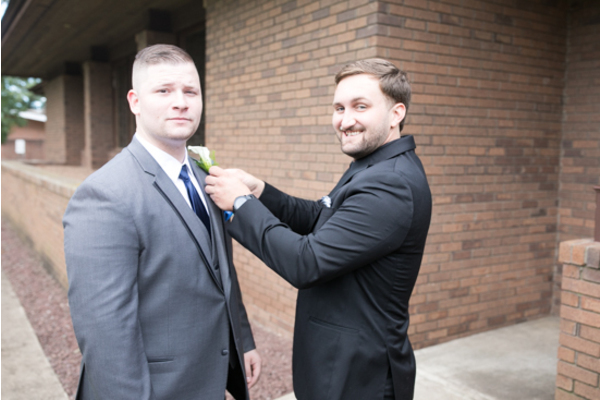 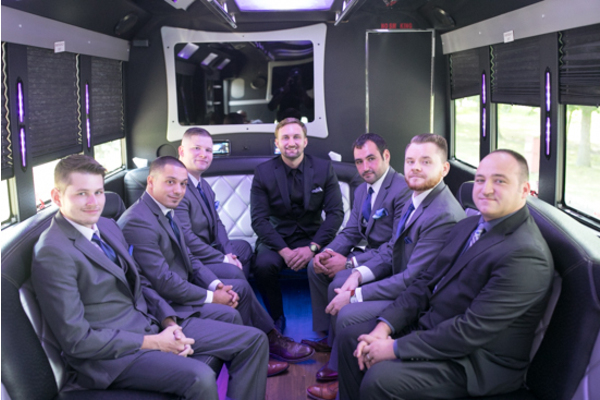 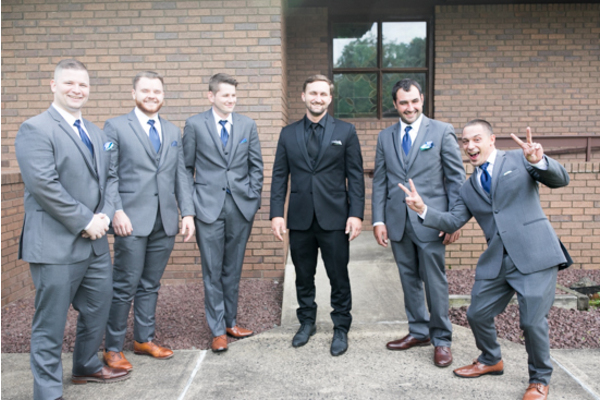 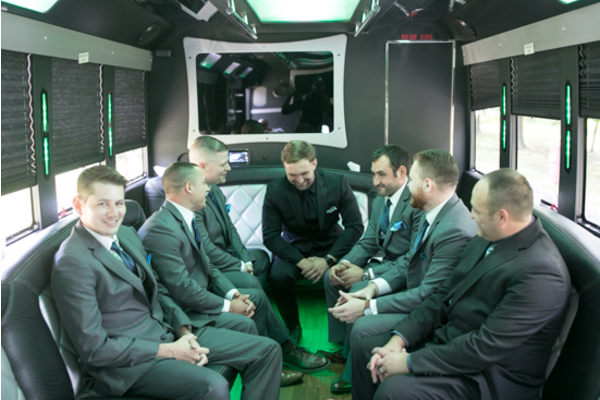 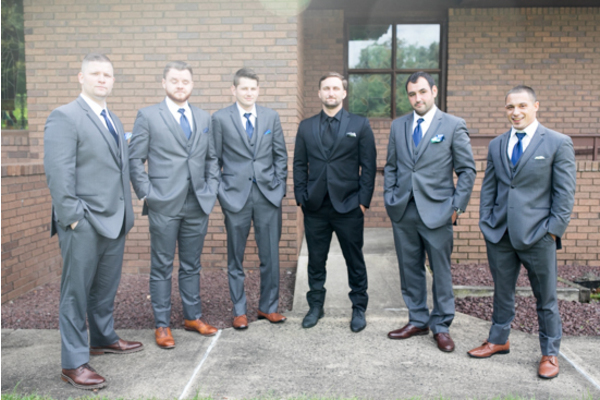 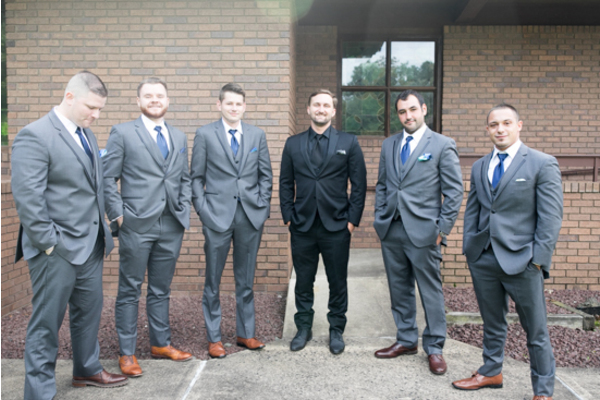 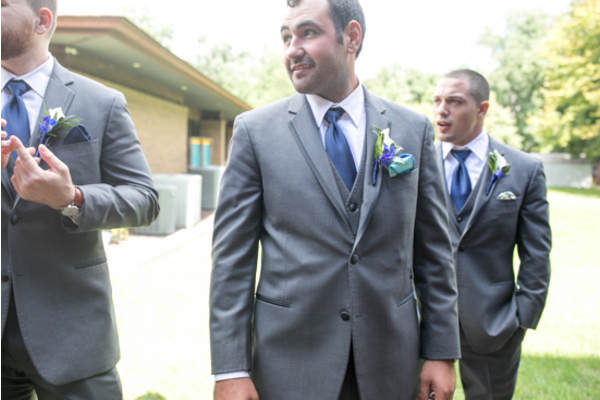 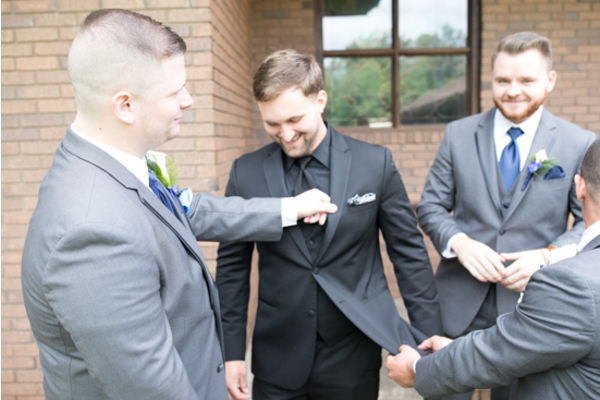 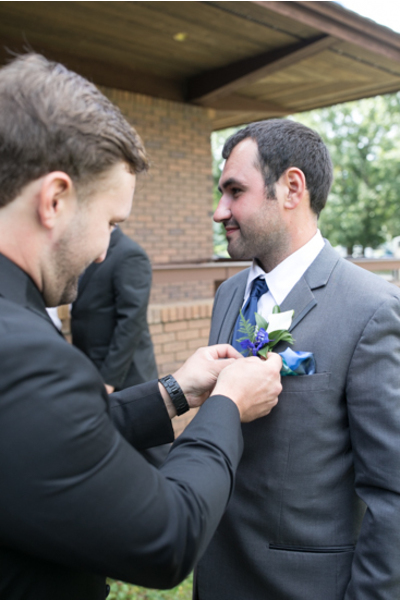 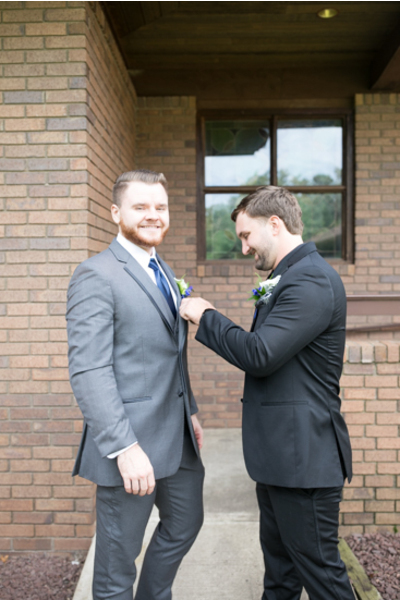 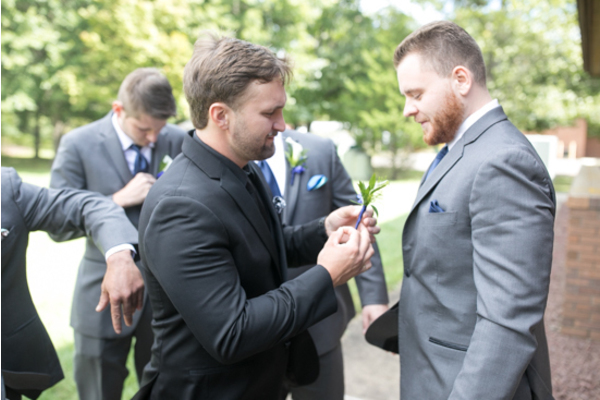 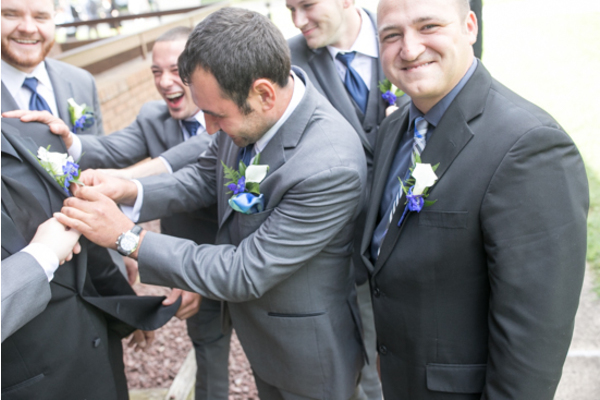 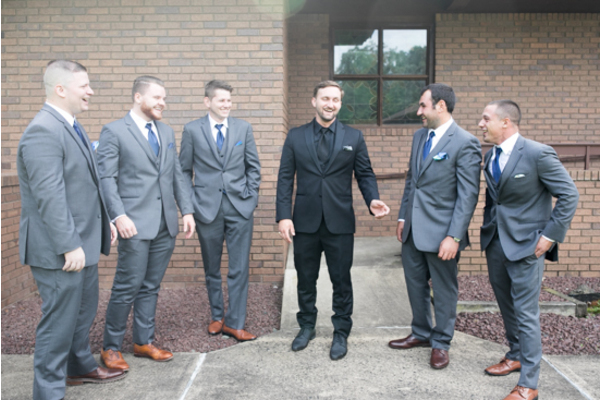 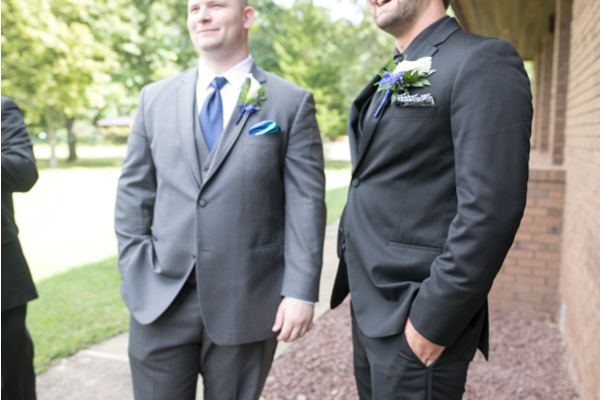 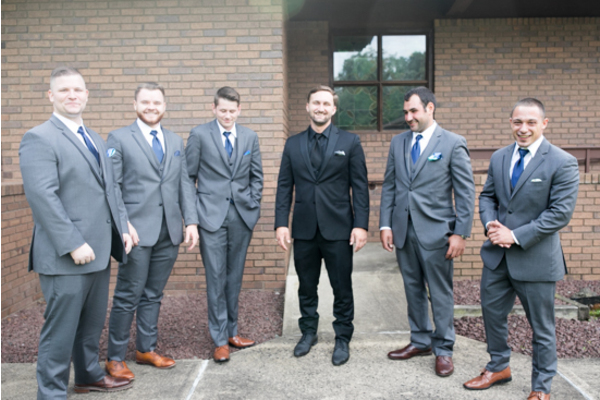 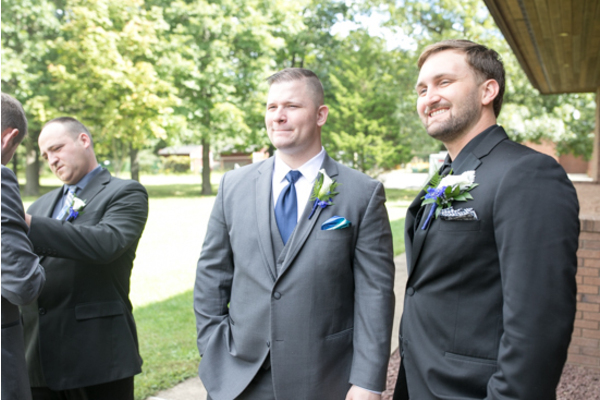 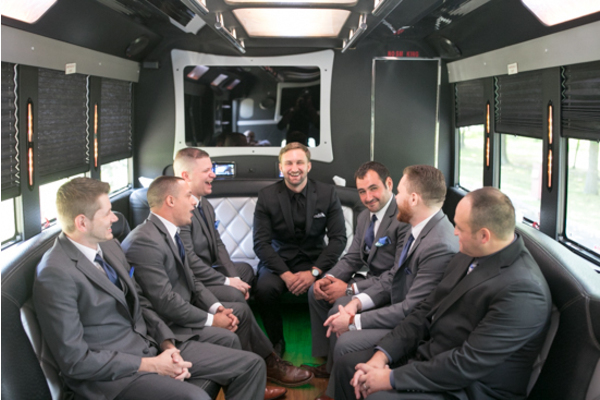 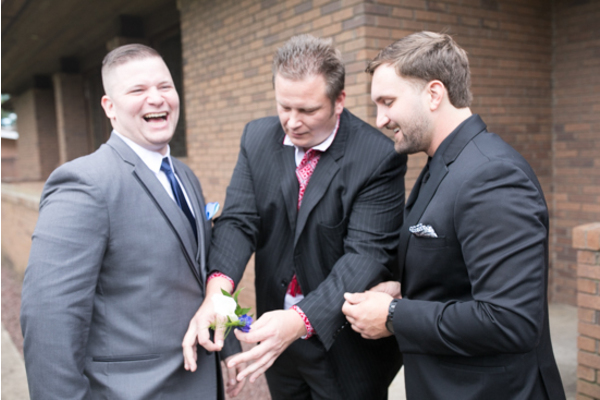 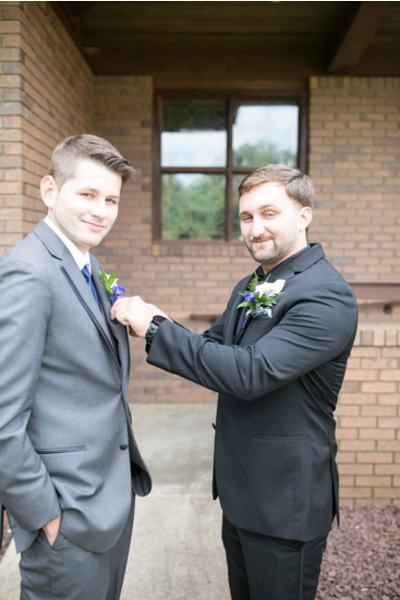 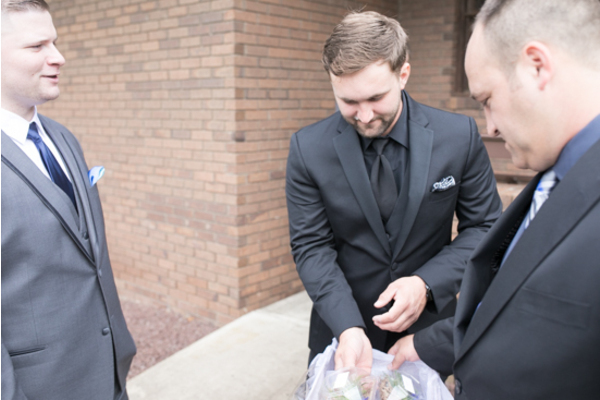 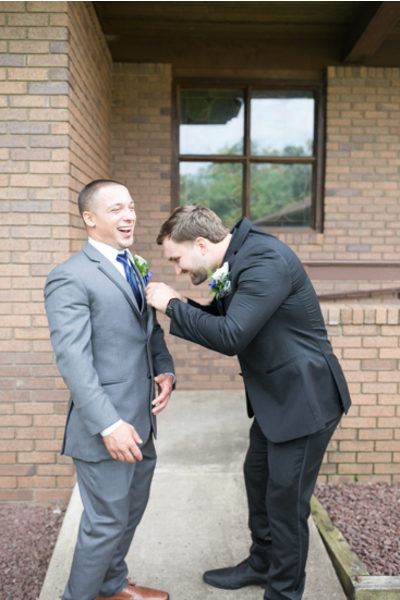 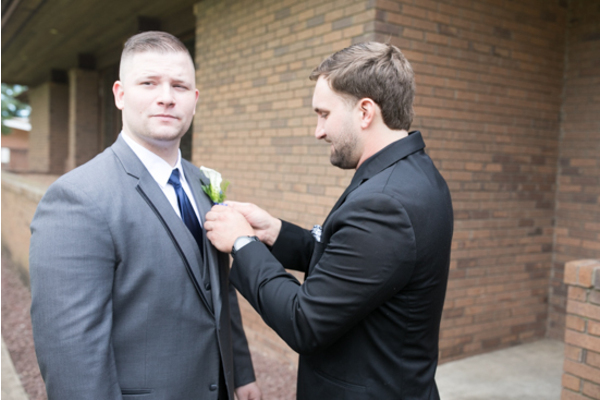 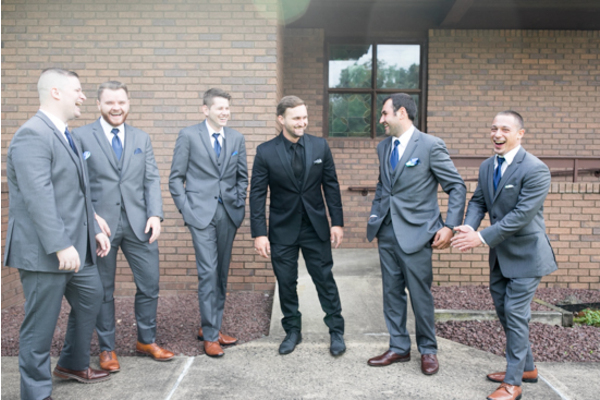 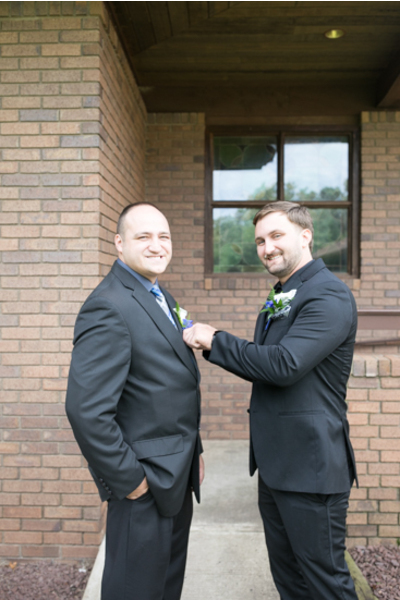 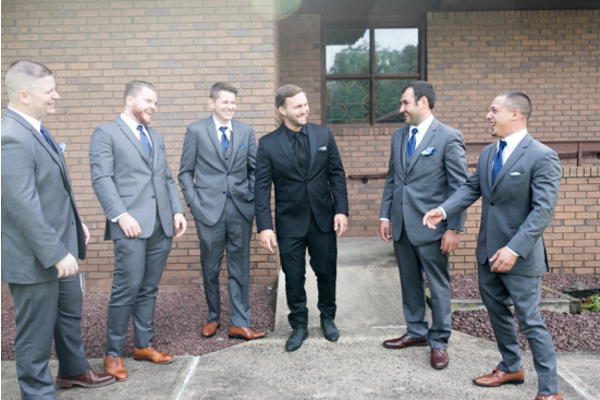 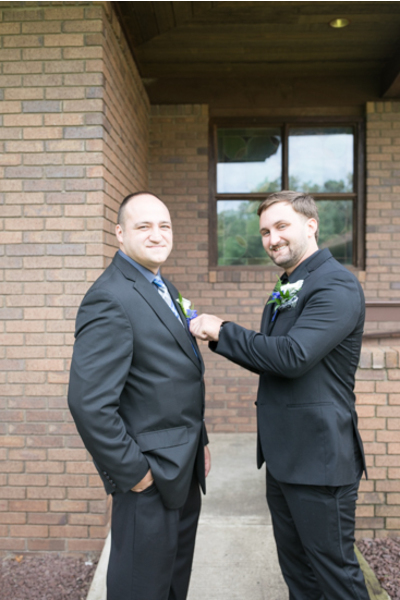 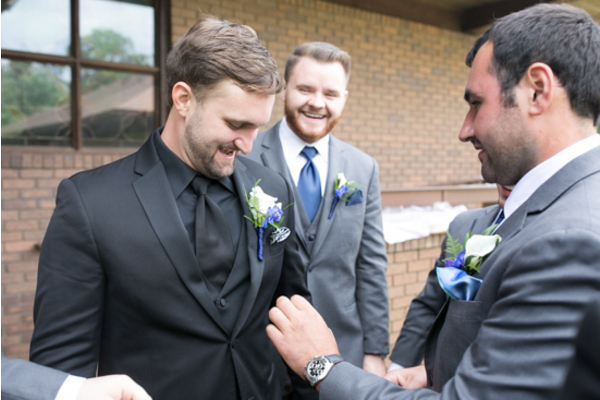 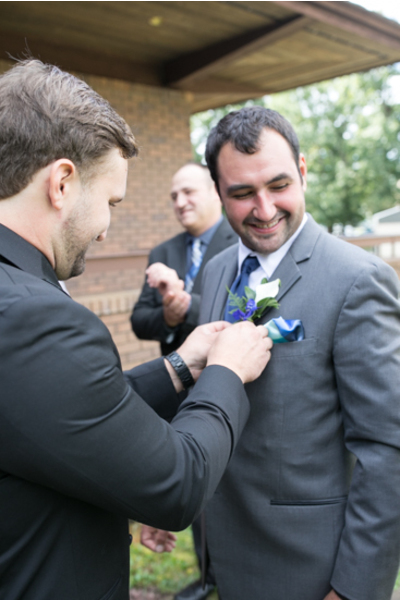 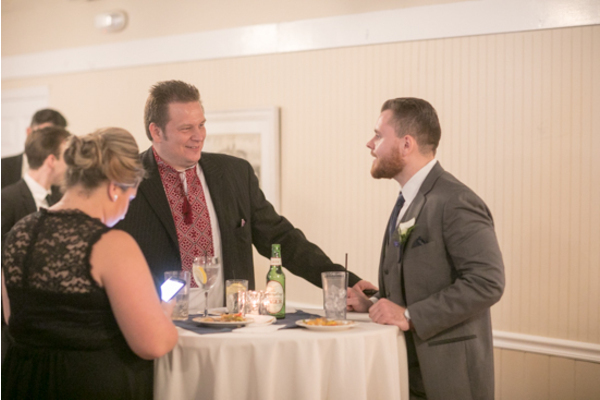 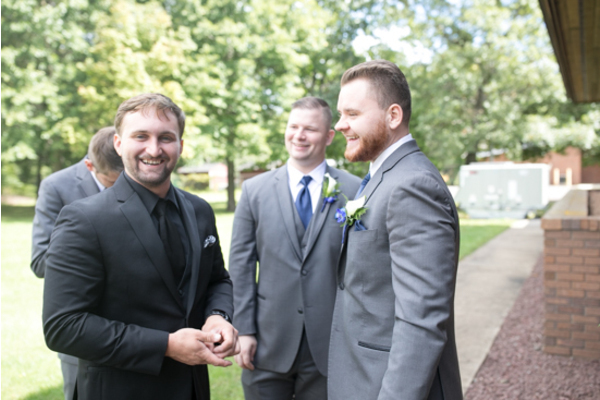 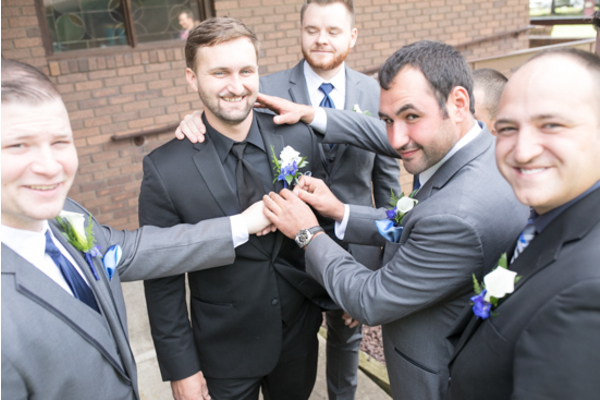 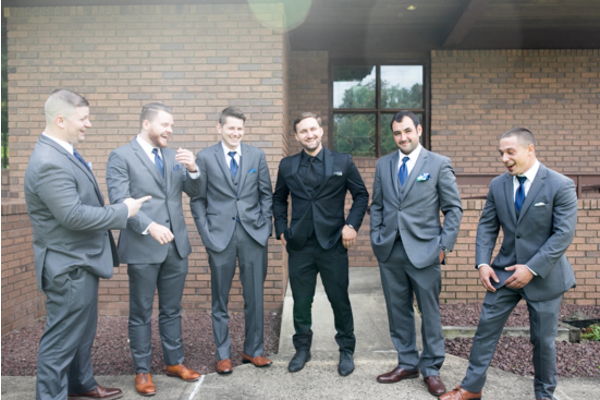 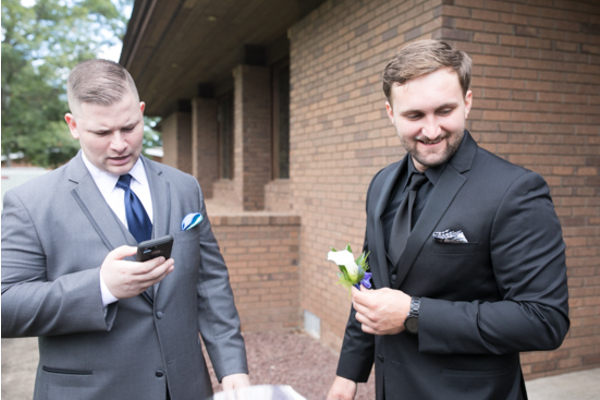 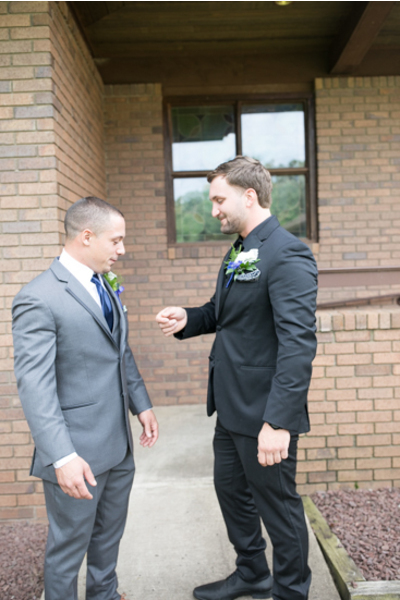 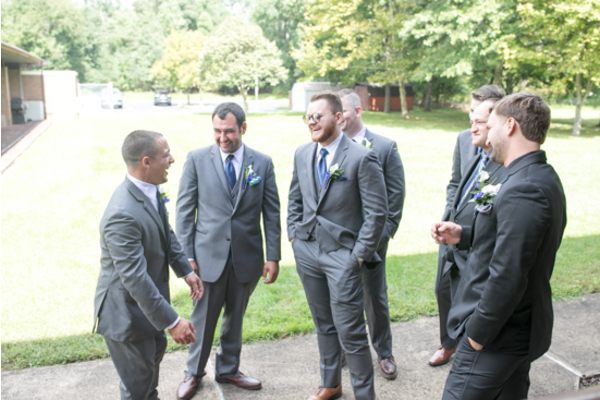 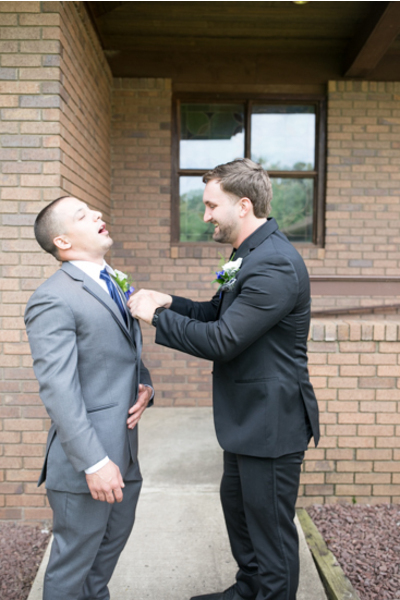 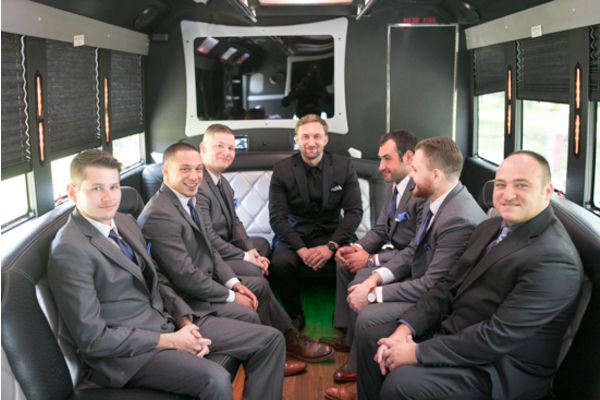 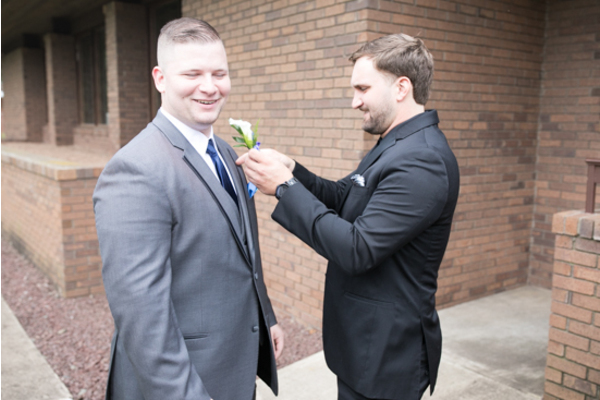 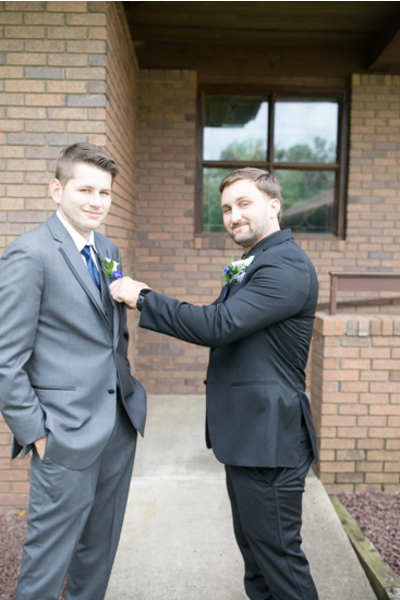 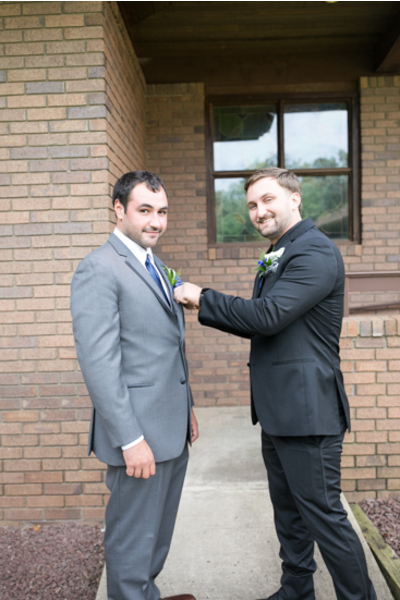 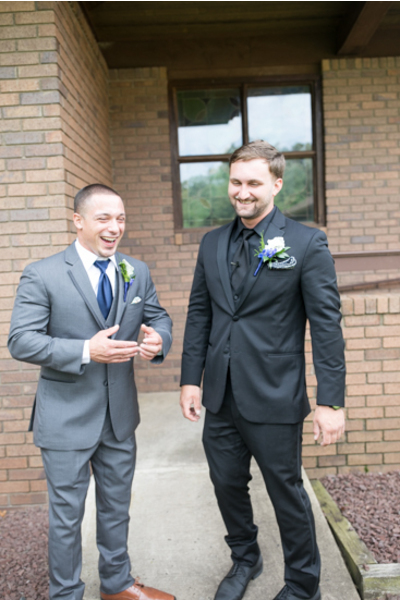 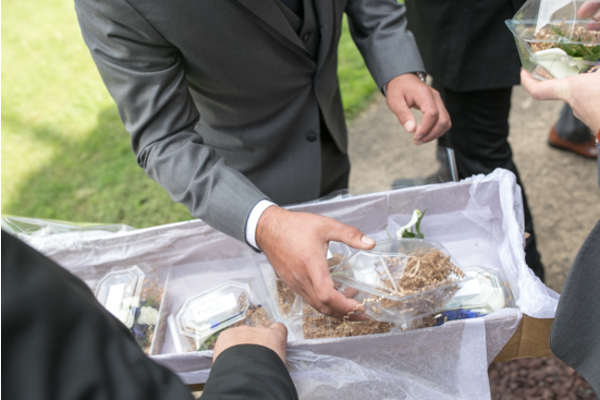 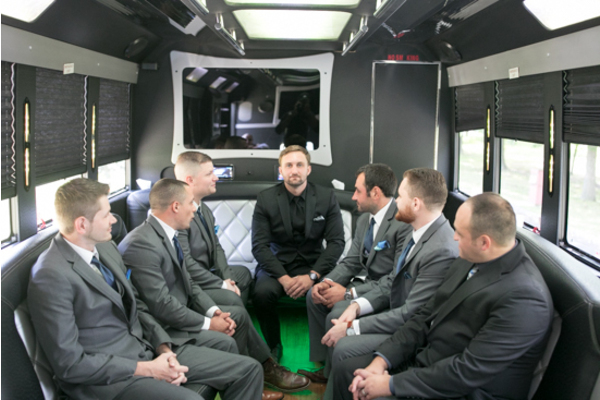 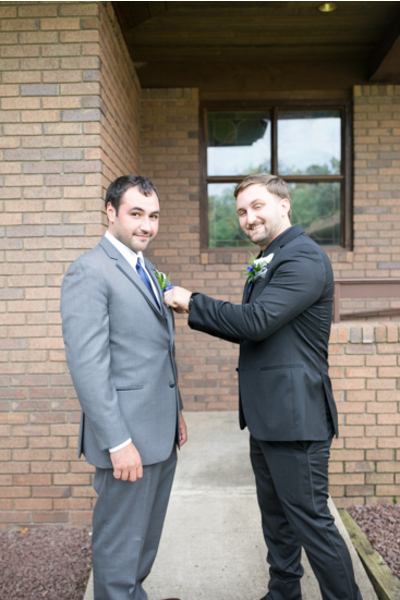 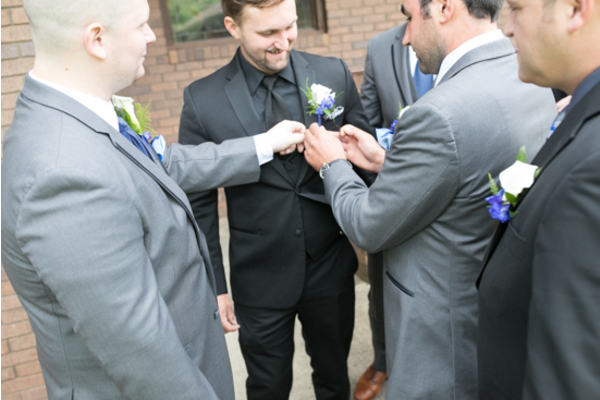 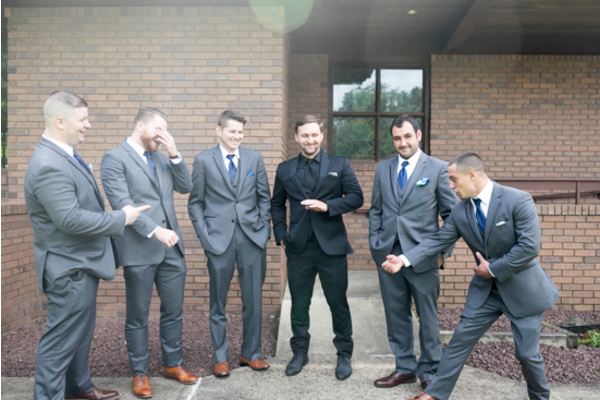 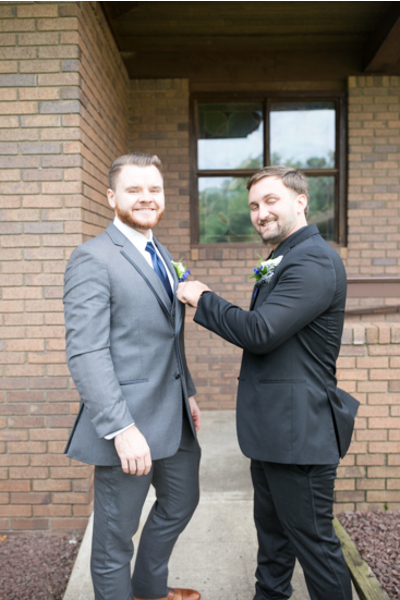 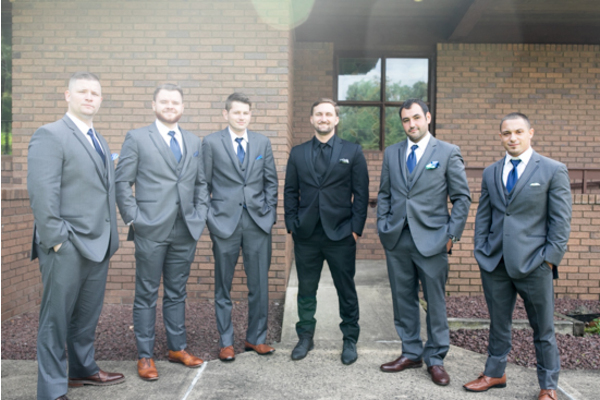 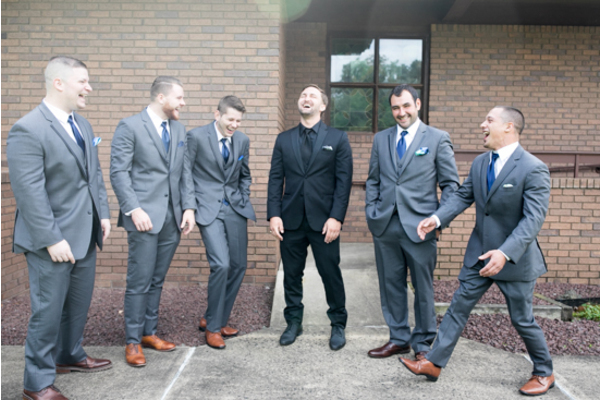 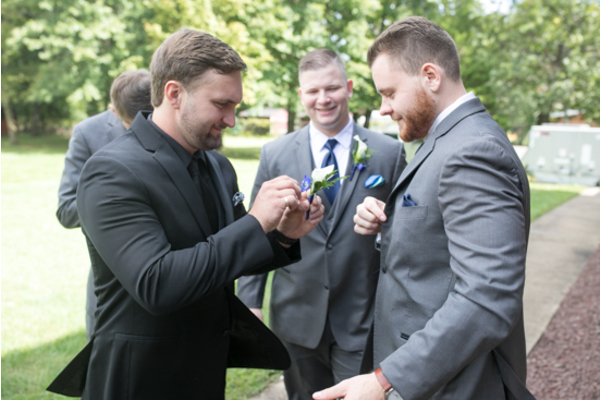 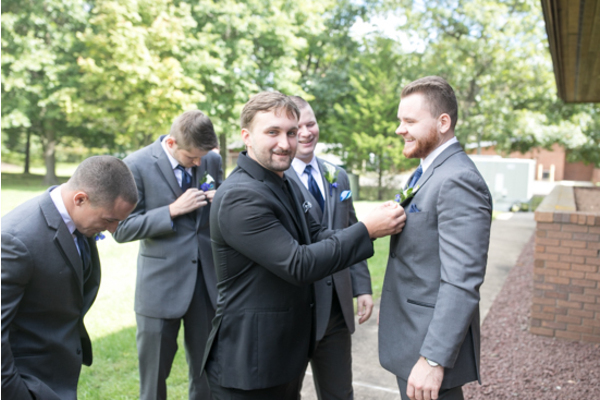 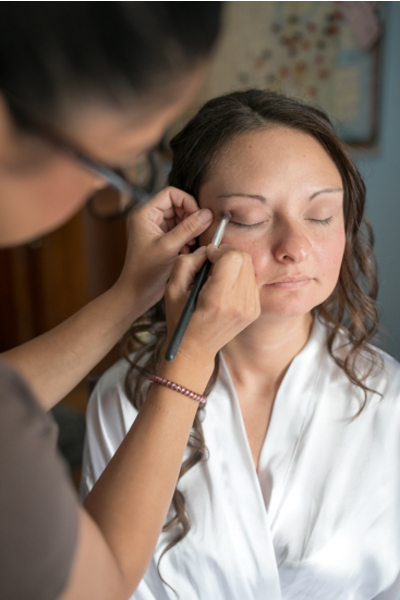 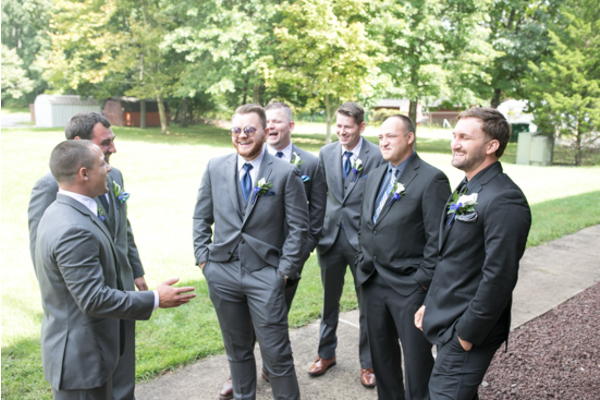 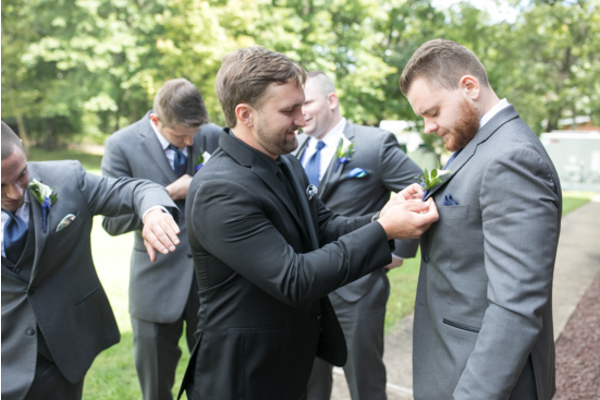 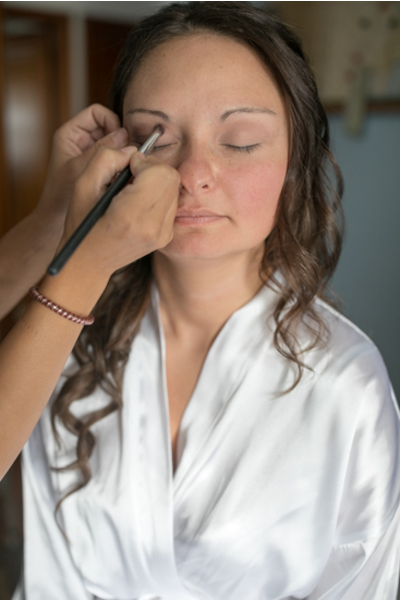 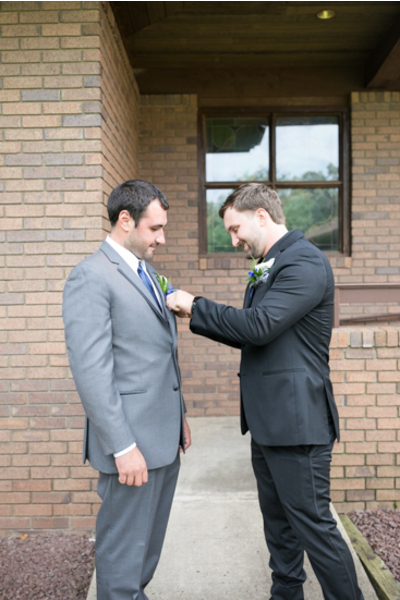 Nearby, Derek was putting the finishing touches on his final look as he shared a few laughs with his groomsmen. 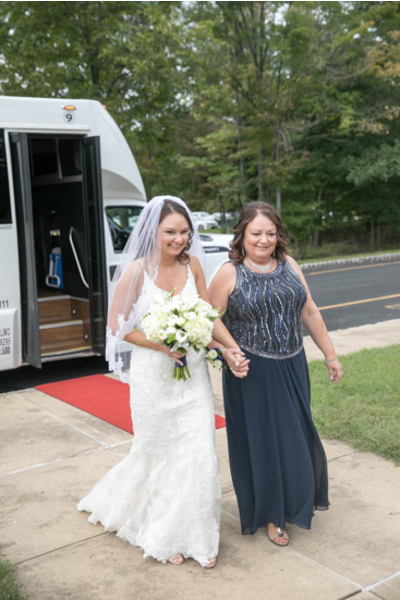 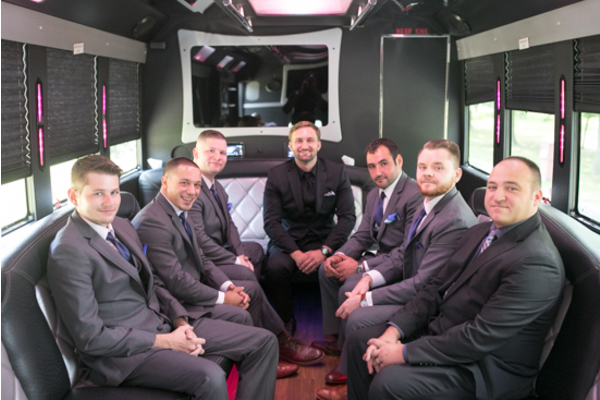 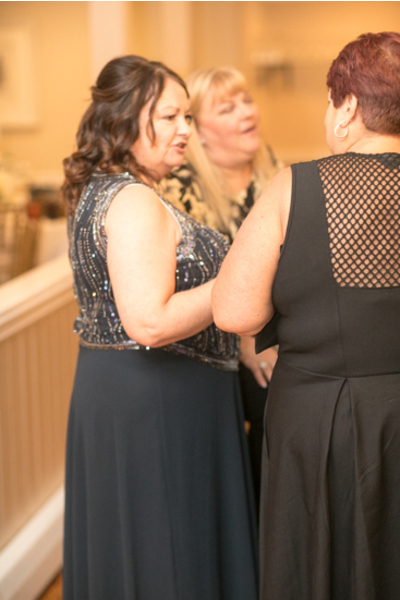 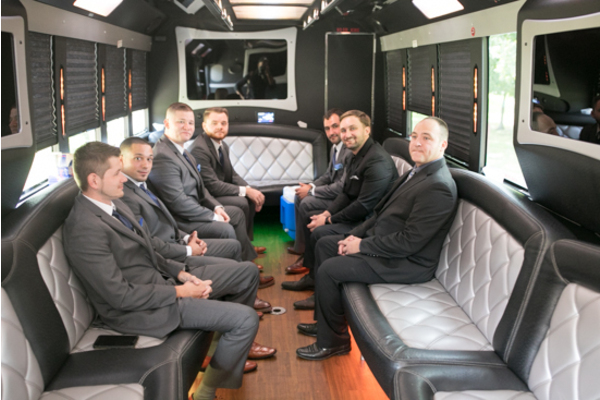 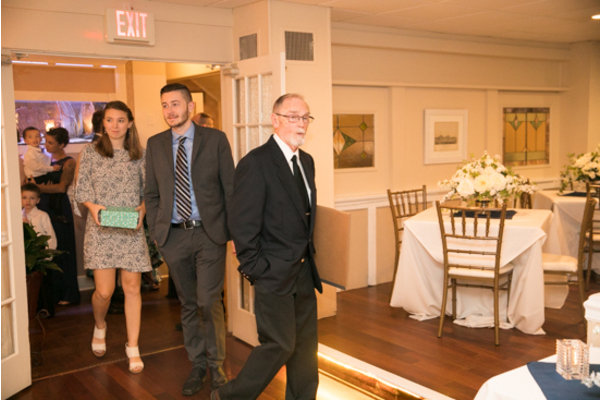 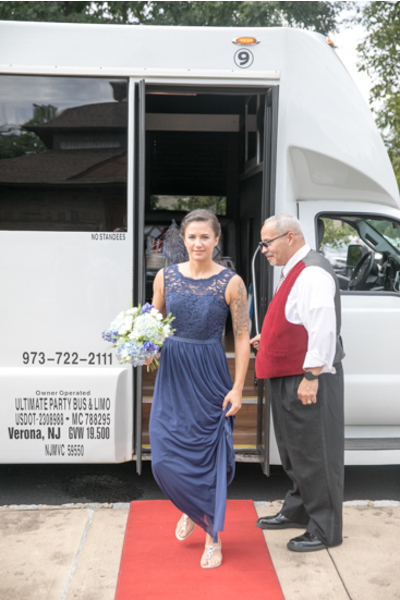 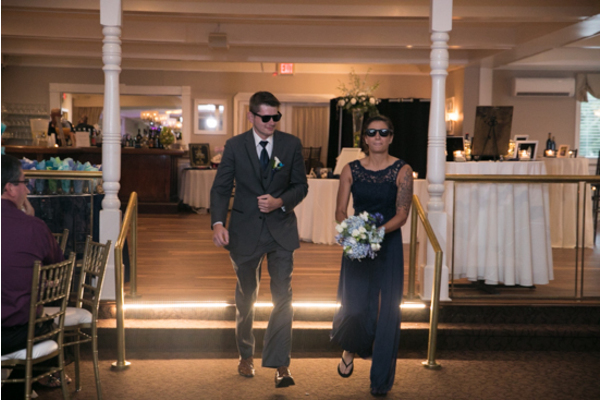 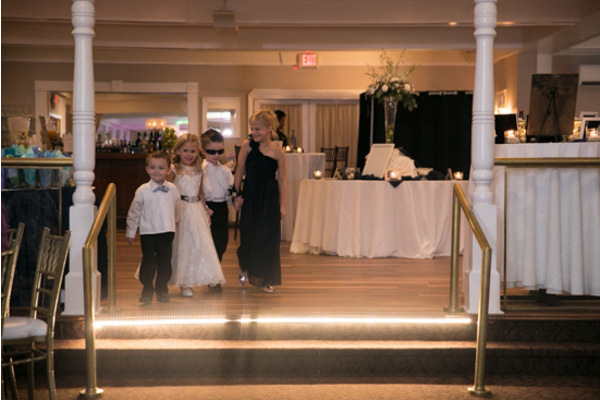 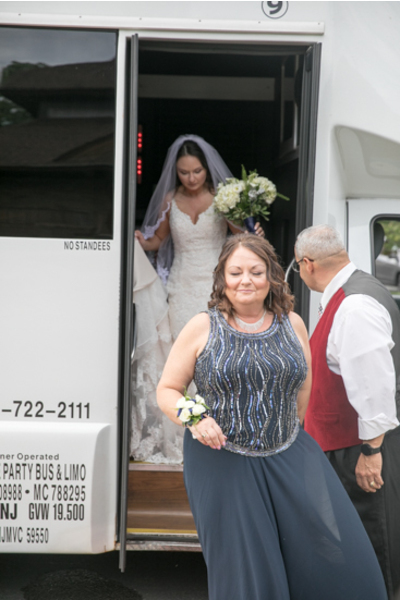 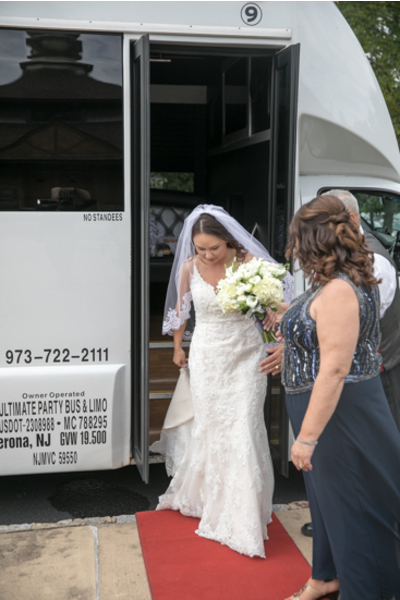 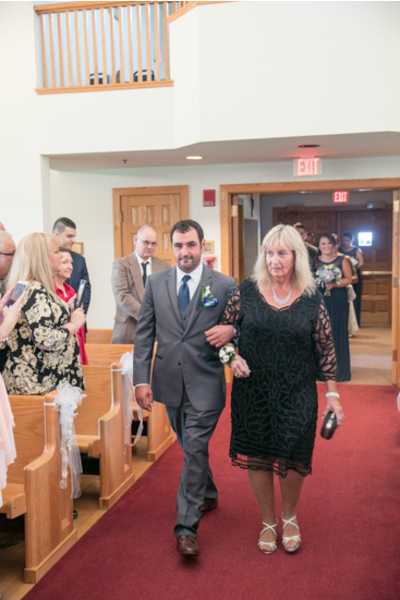 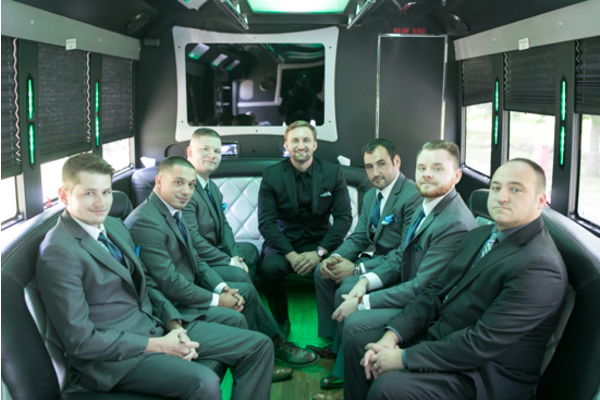 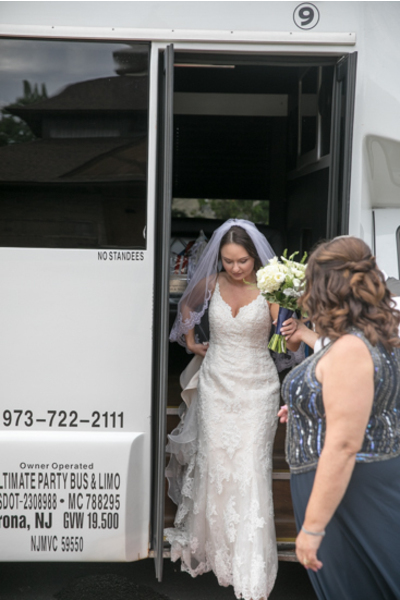 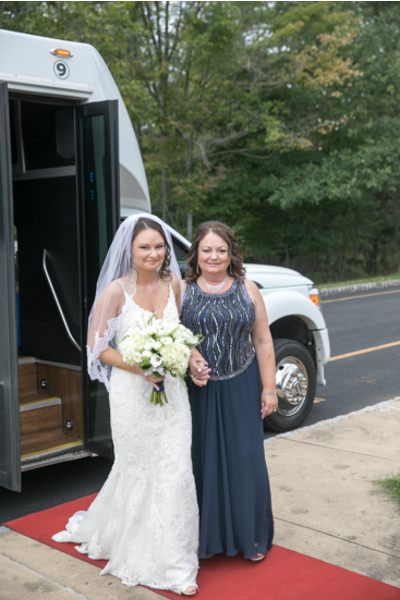 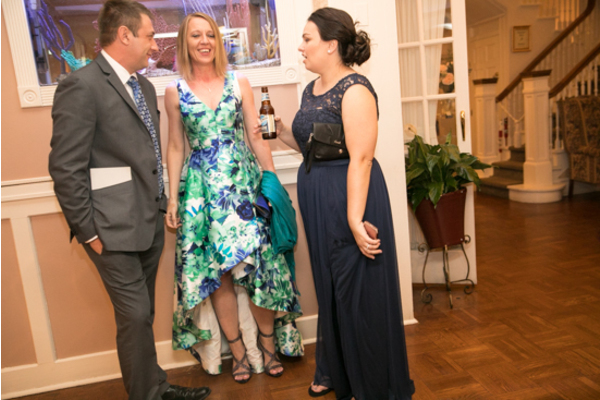 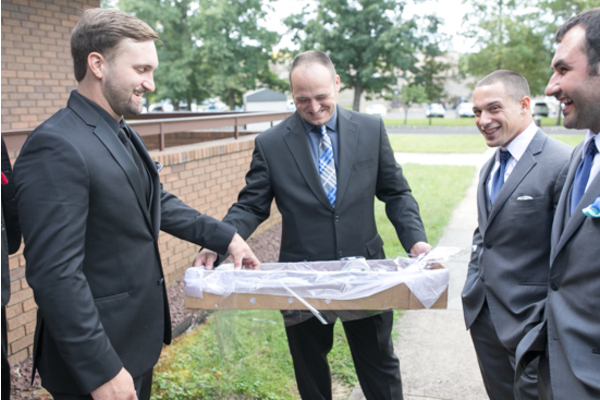 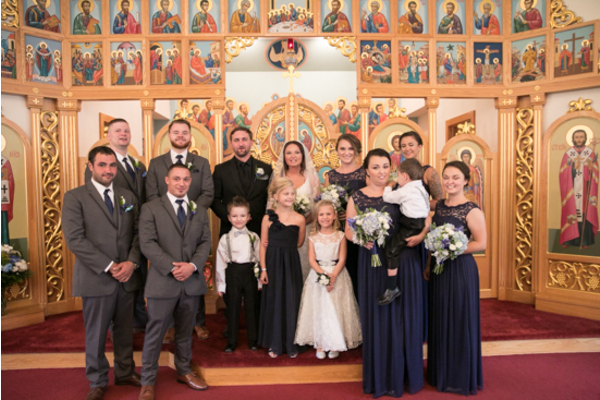 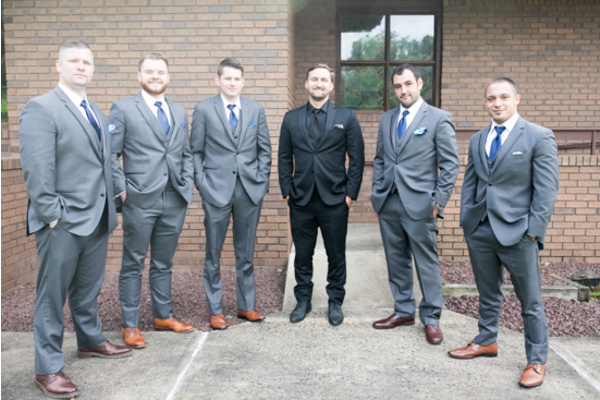 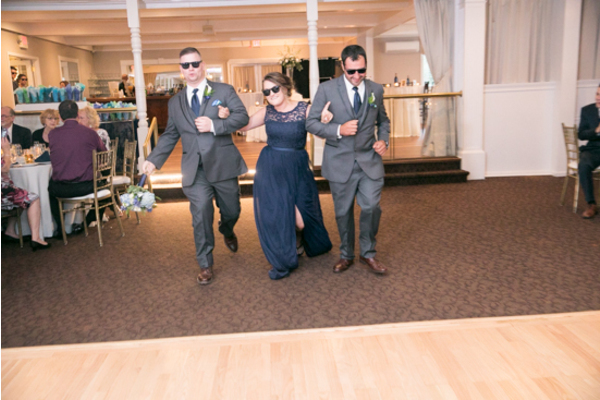 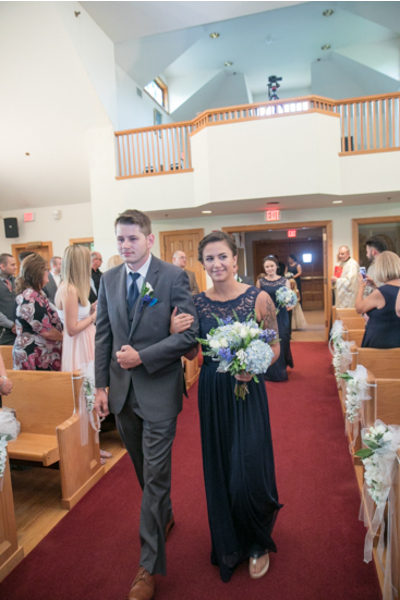 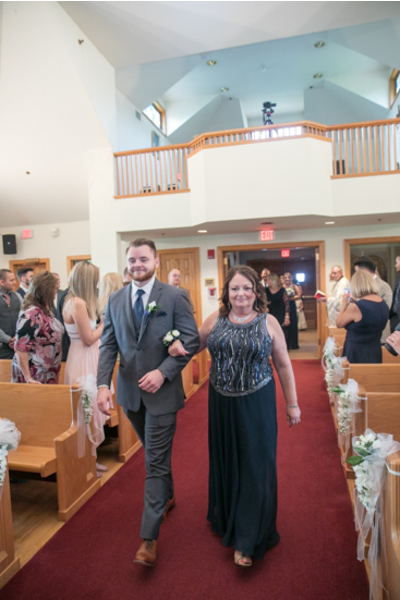 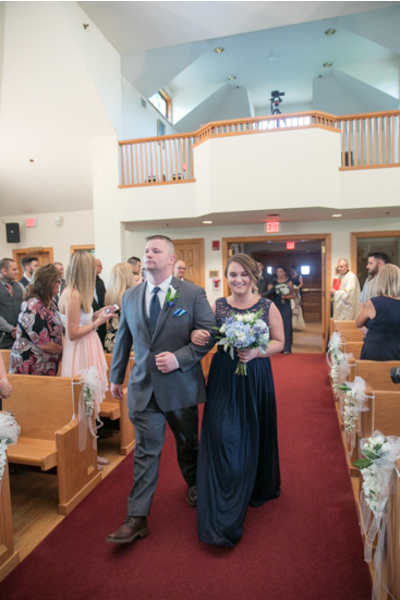 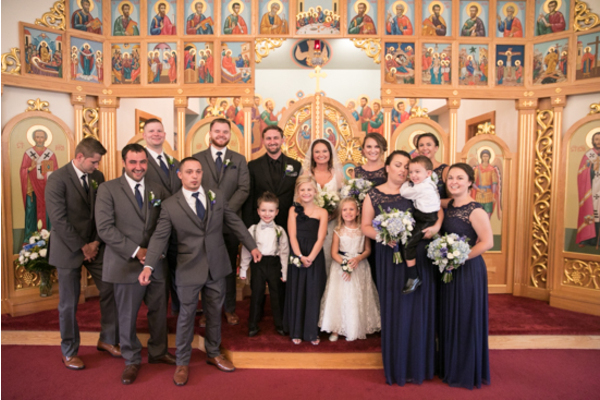 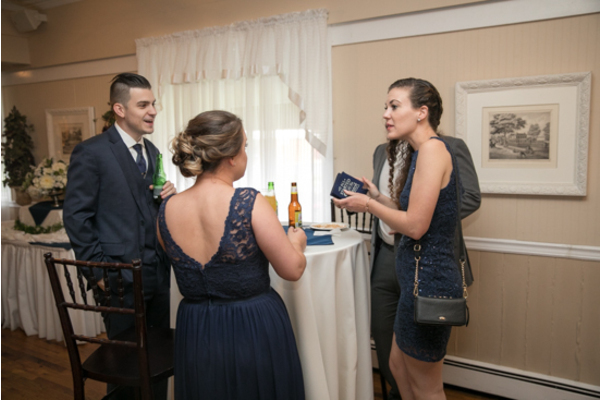 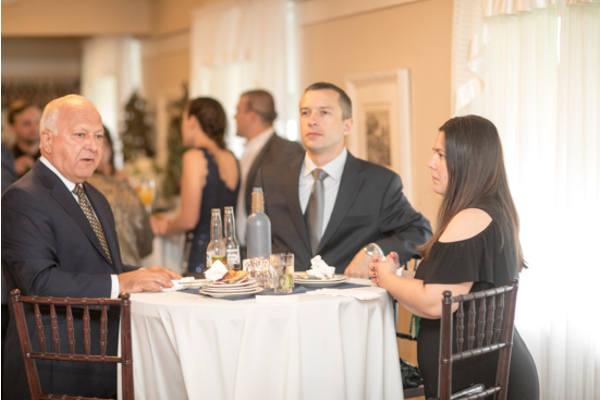 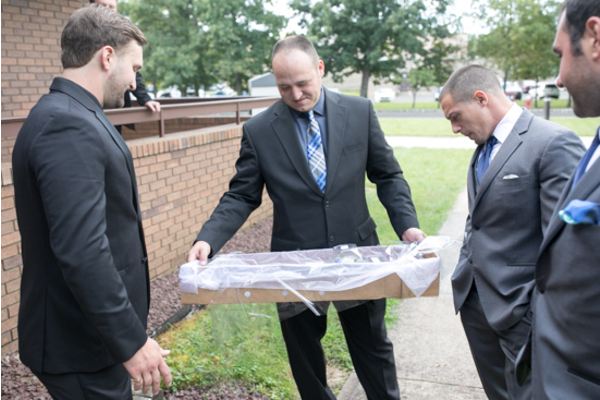 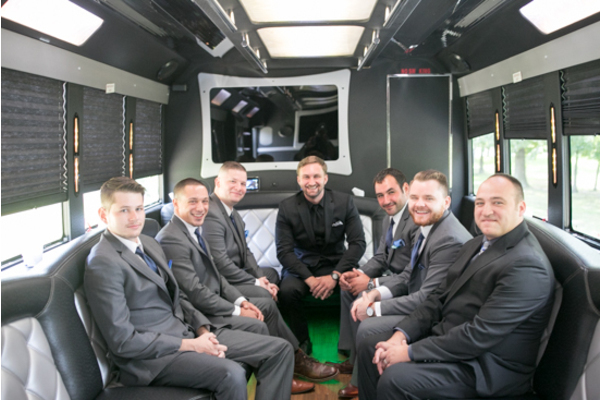 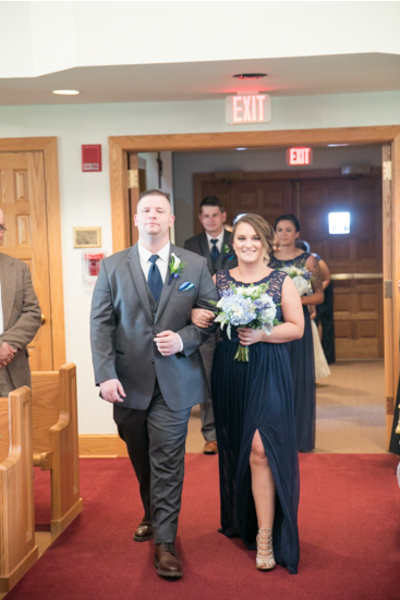 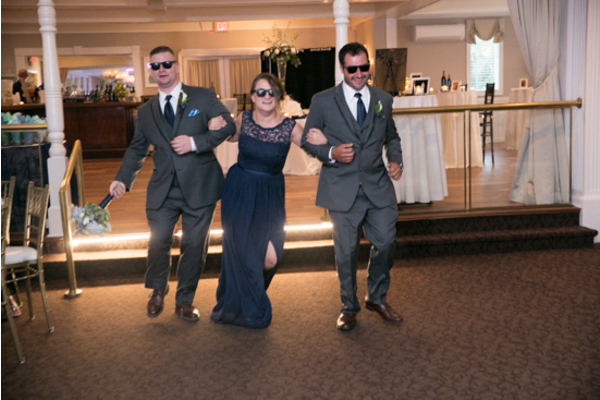 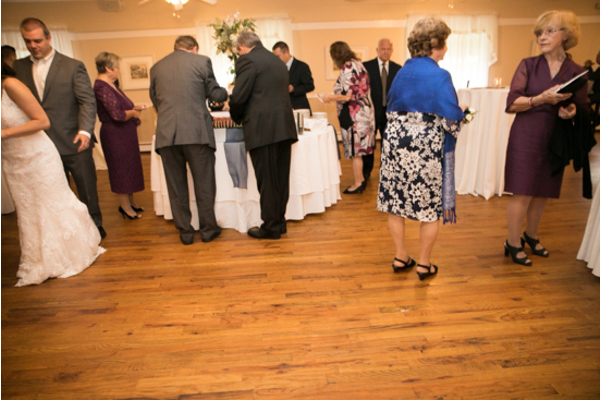 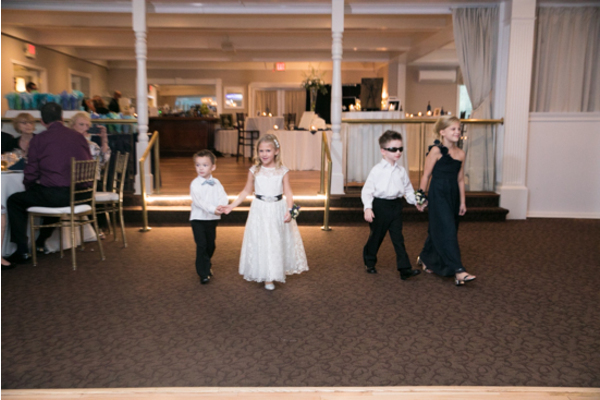 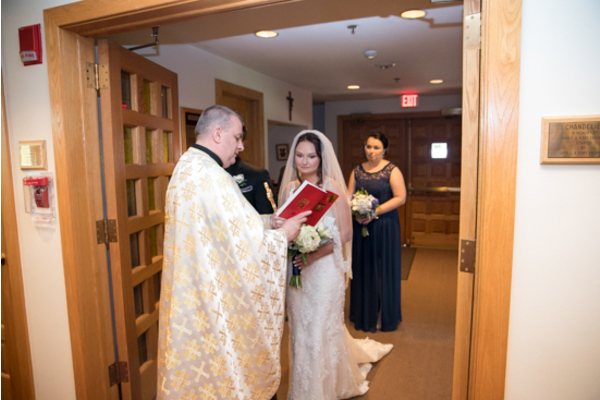 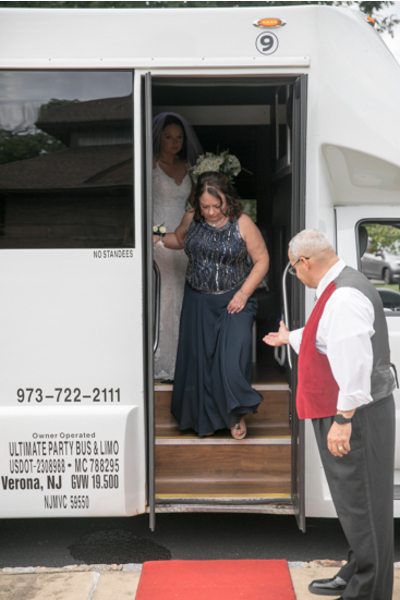 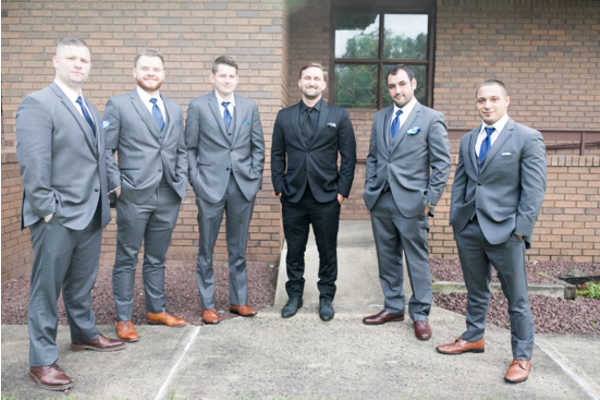 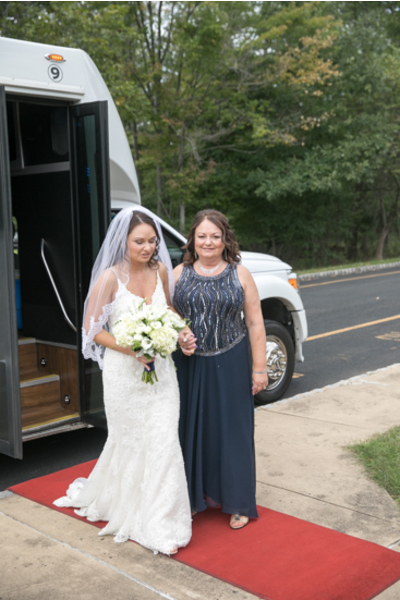 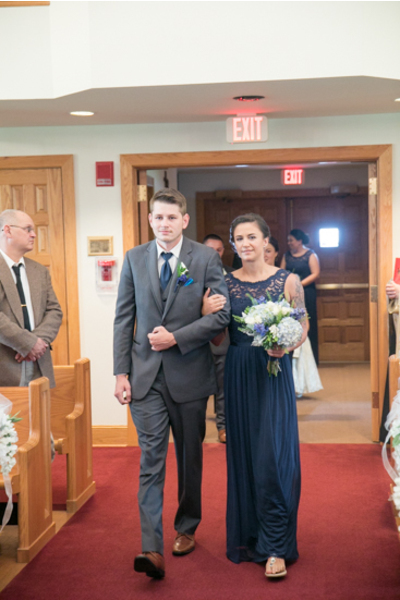 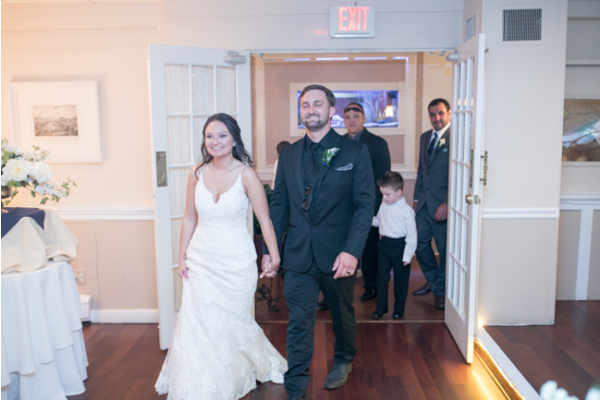 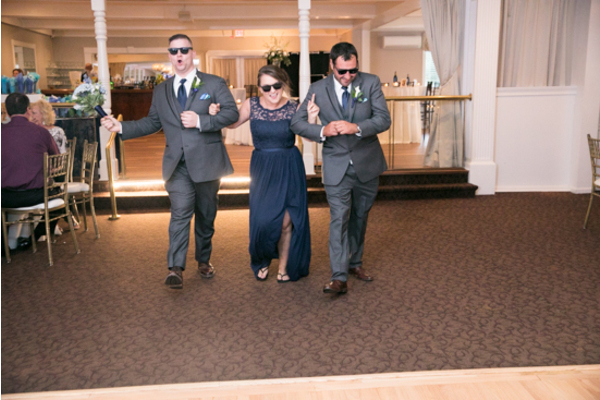 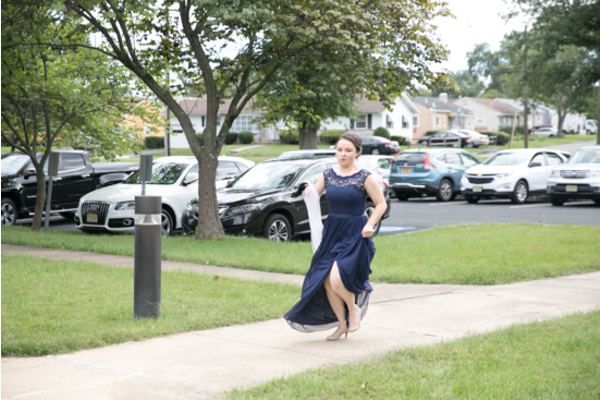 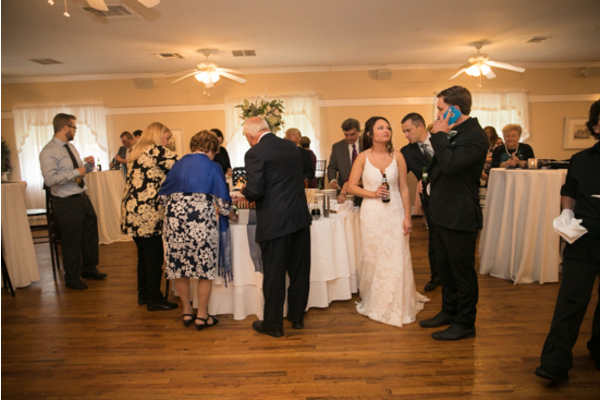 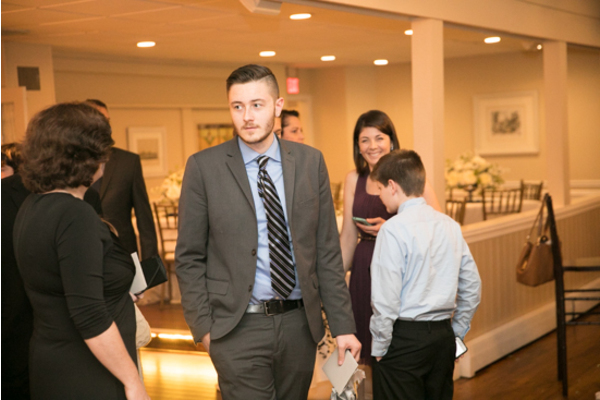 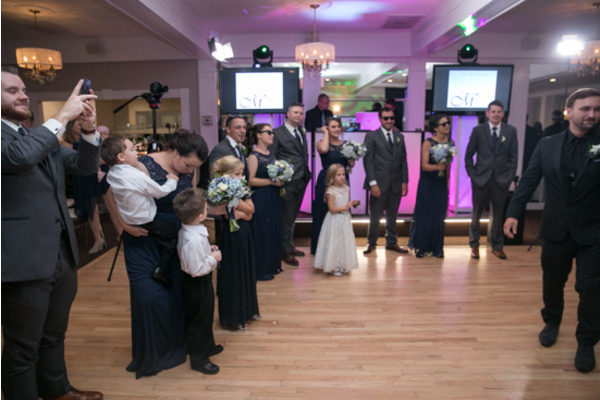 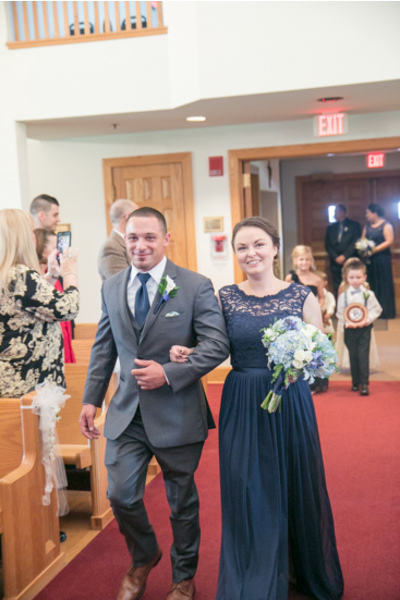 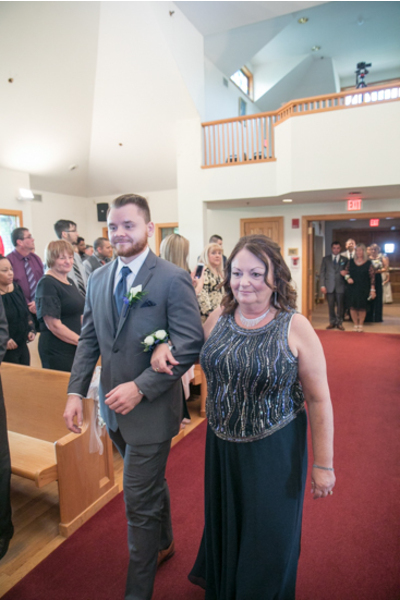 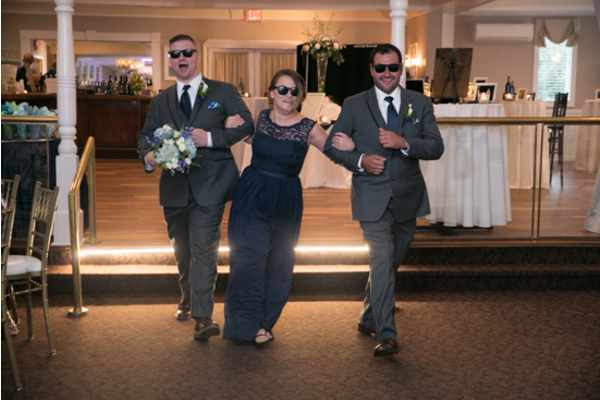 Our NJ Wedding Photographer took the opportunity to photograph the bridal party as they made their way into the ceremony venue. 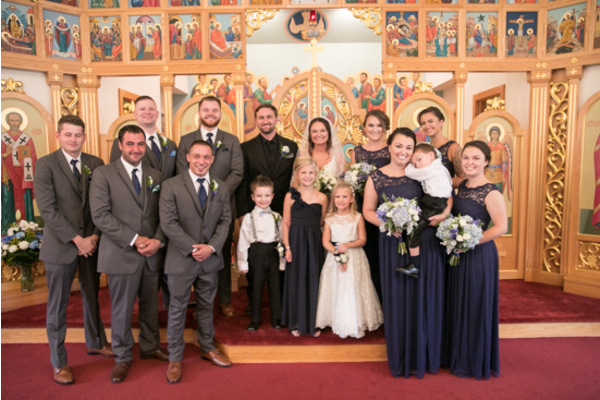 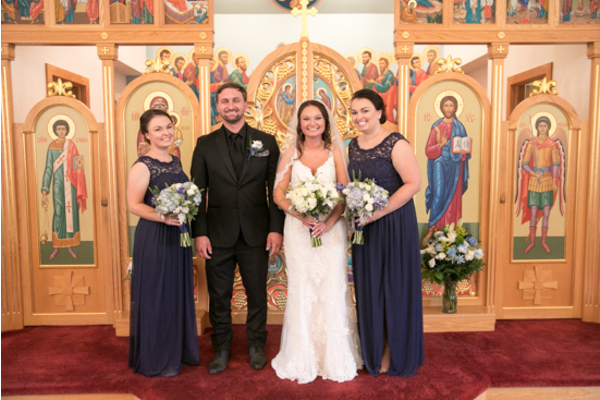 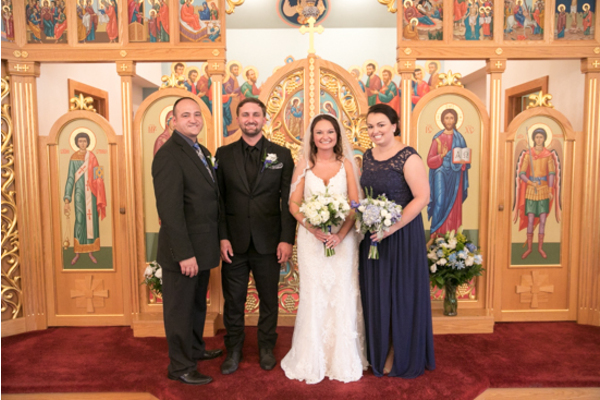 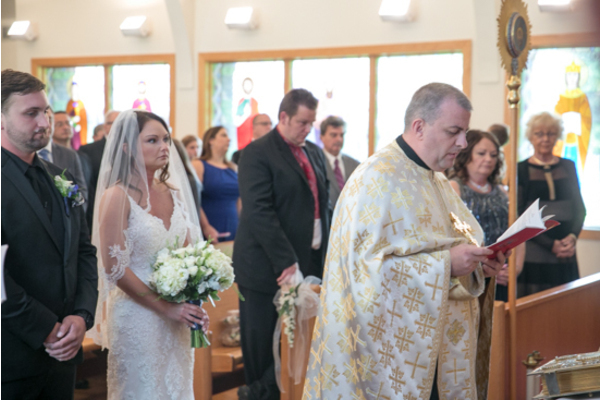 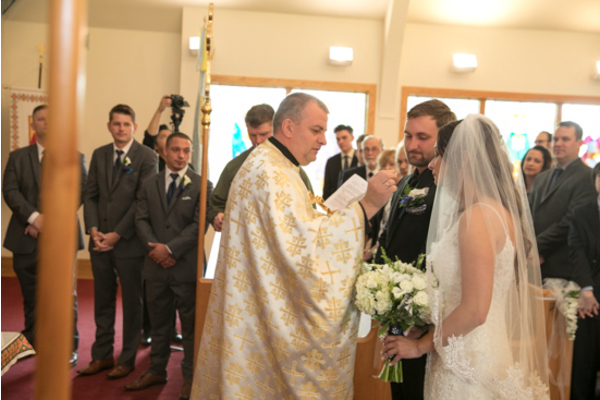 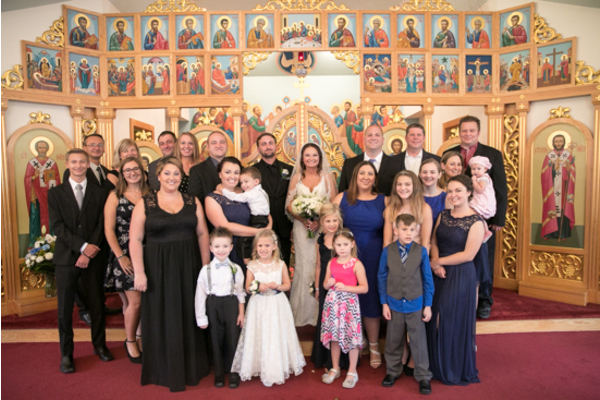 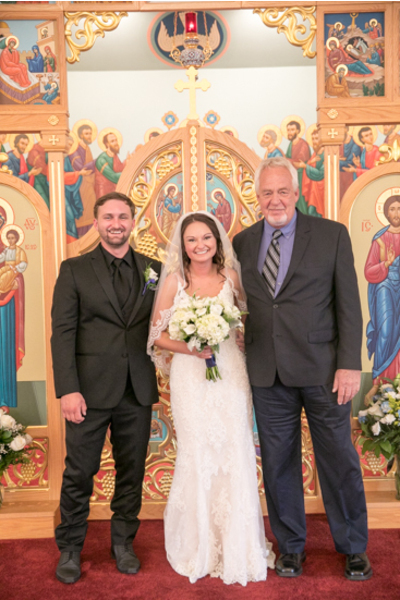 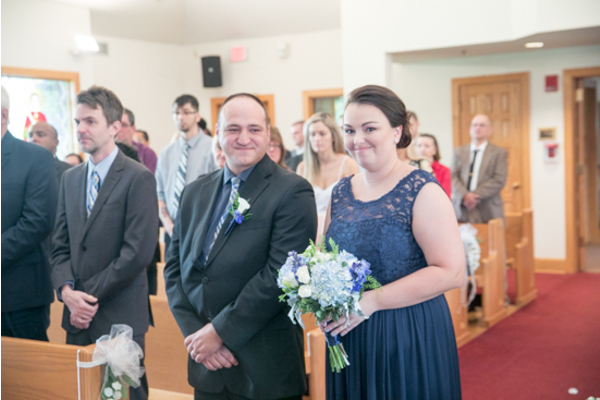 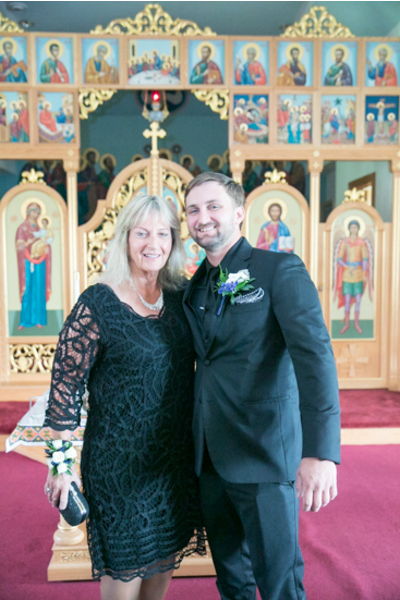 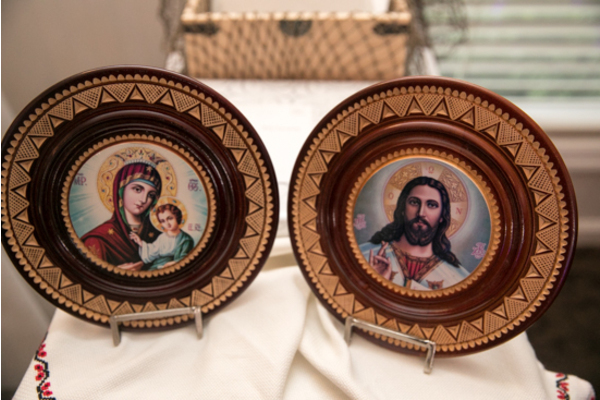 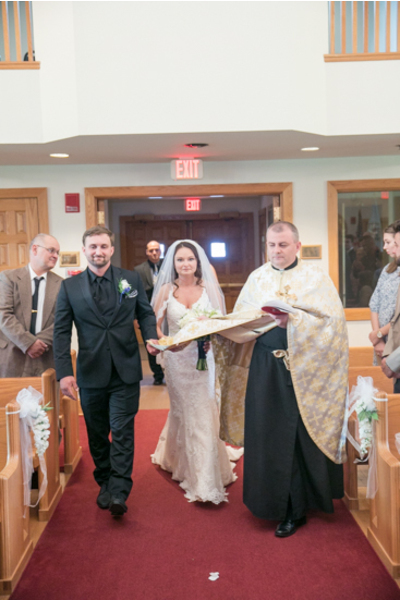 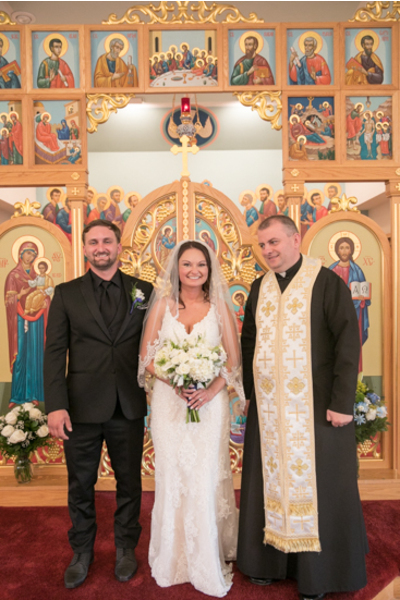 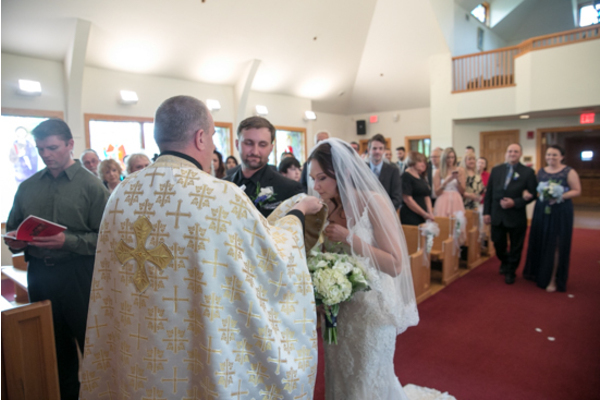 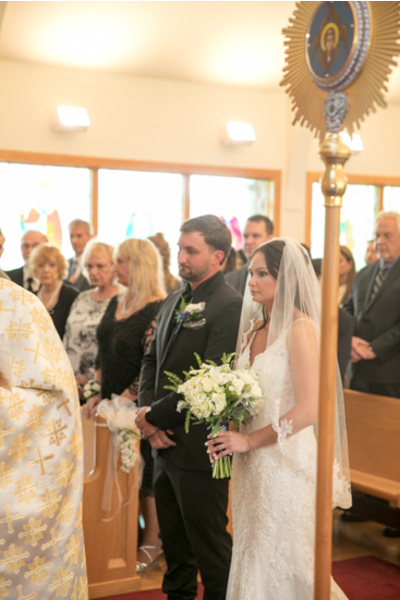 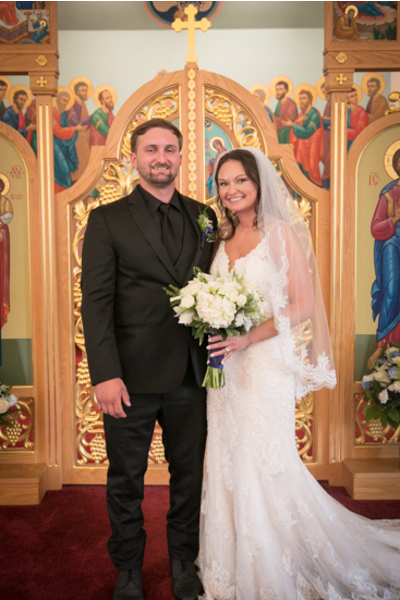 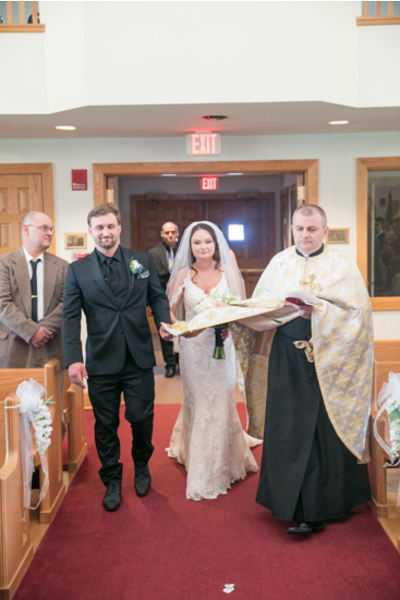 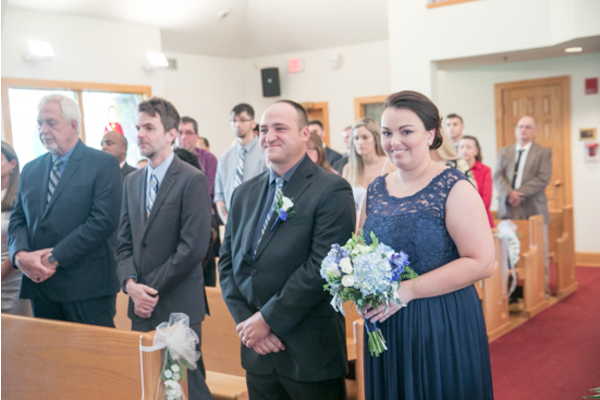 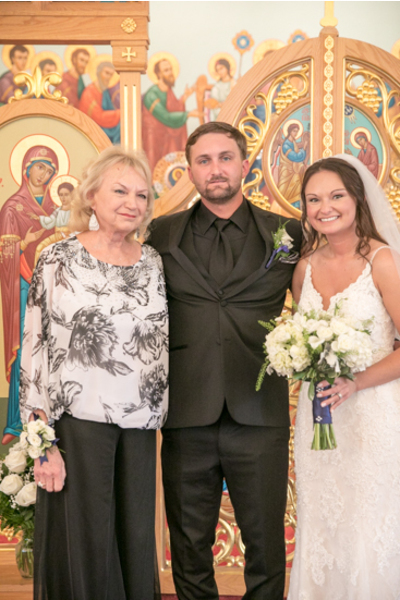 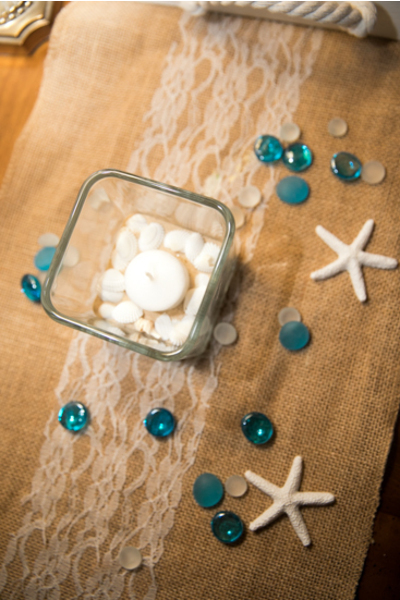 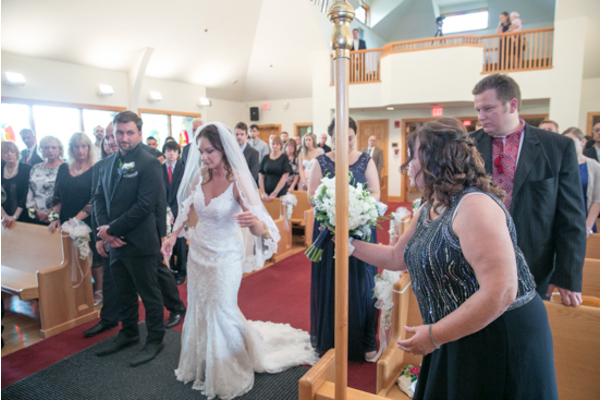 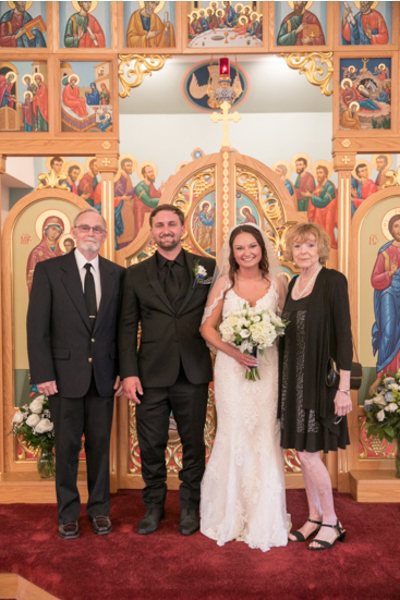 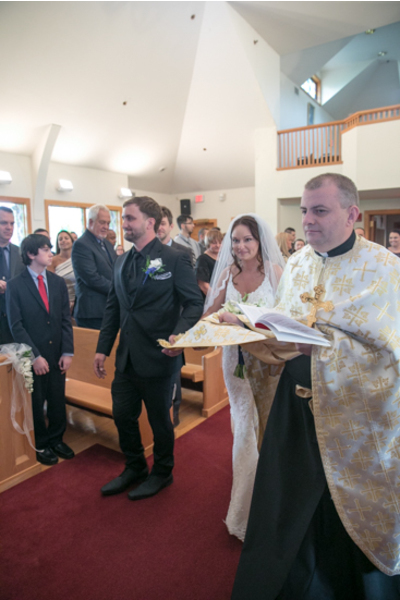 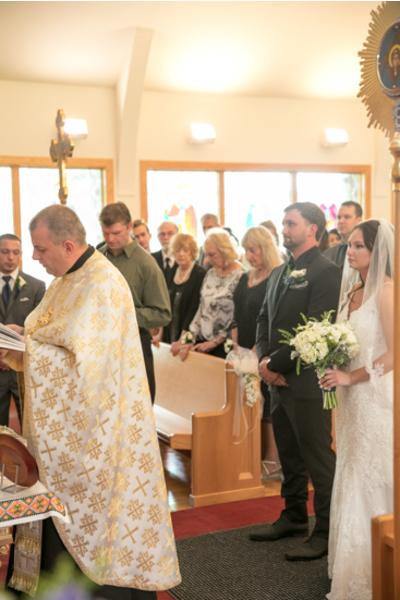 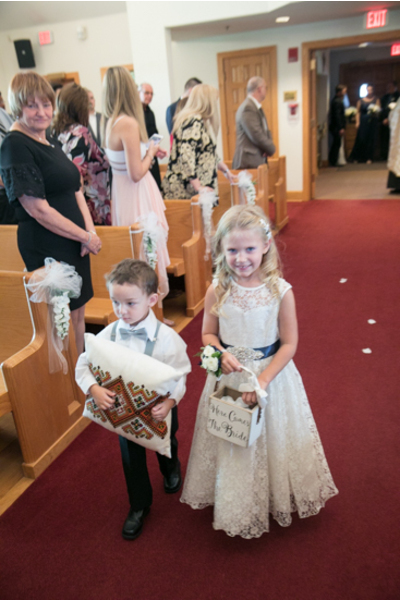 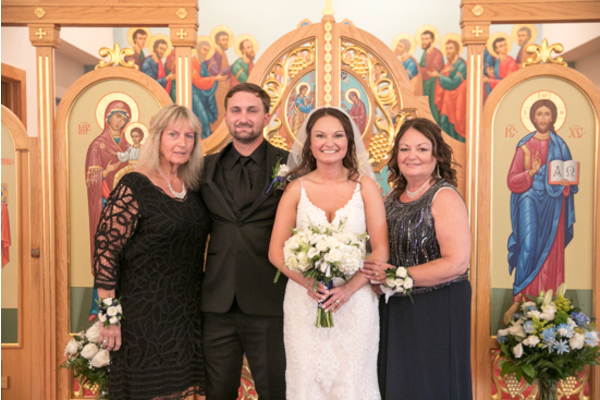 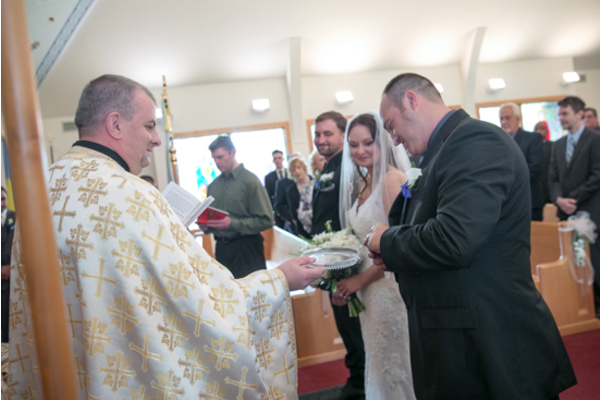 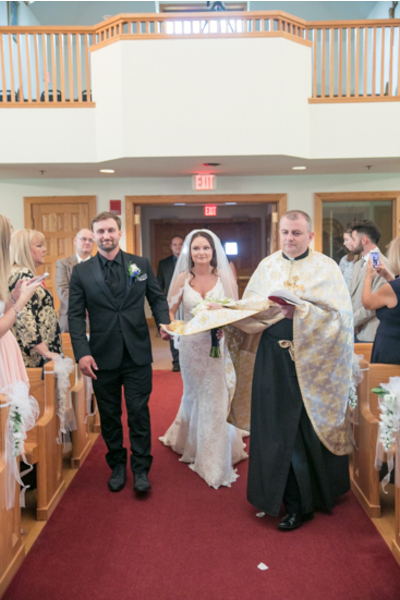 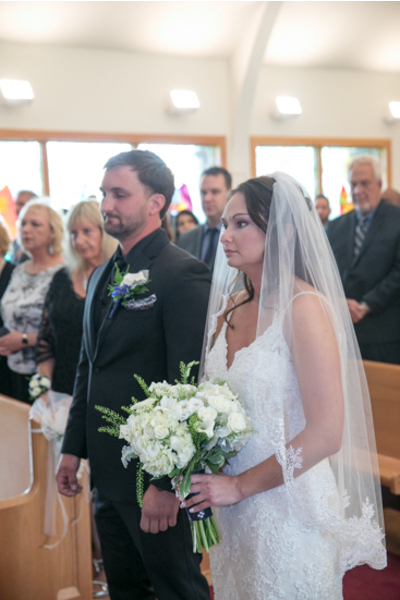 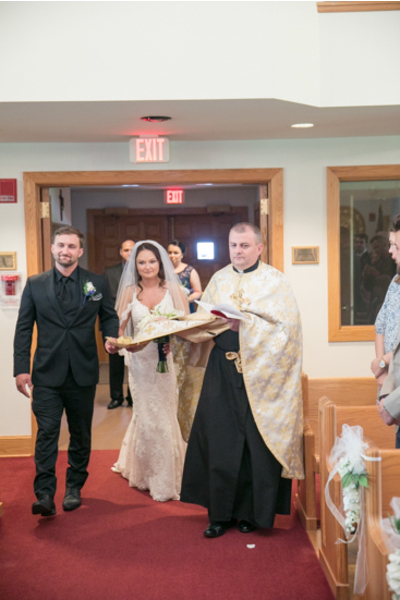 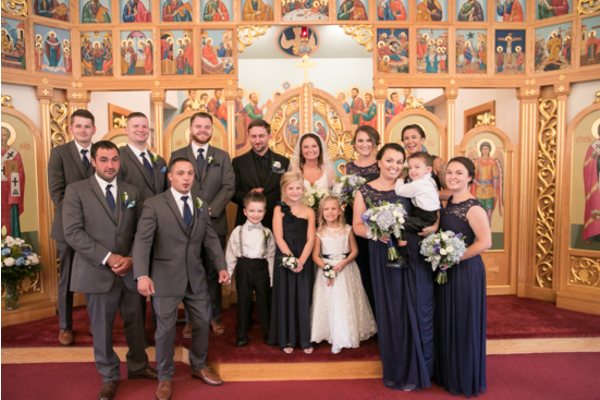 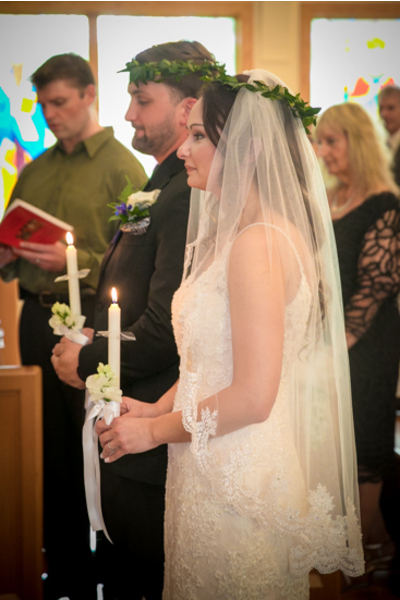 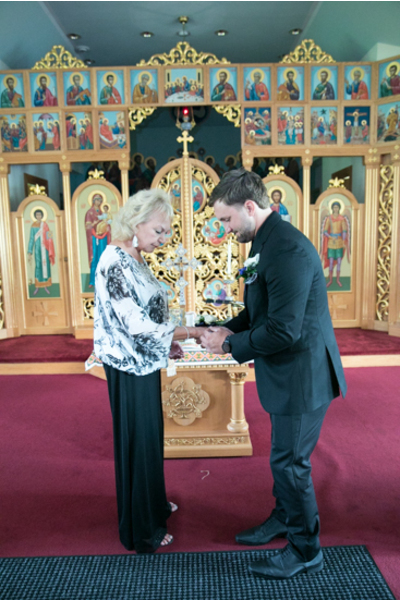 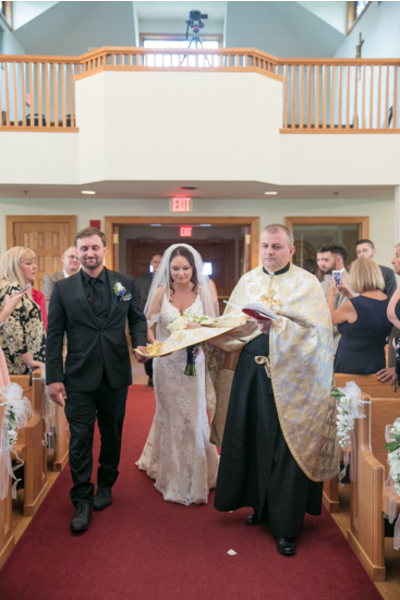 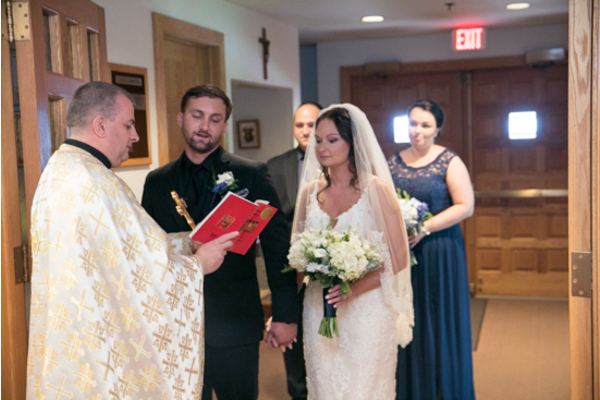 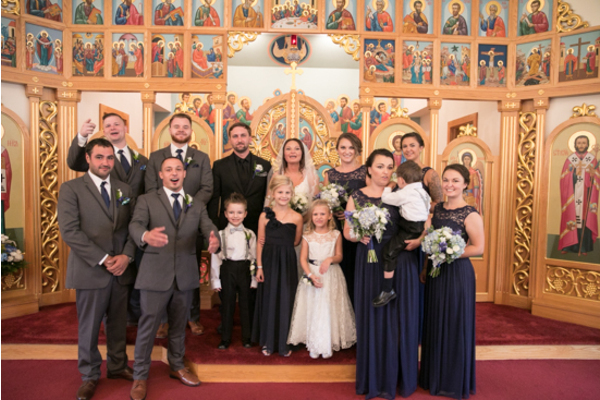 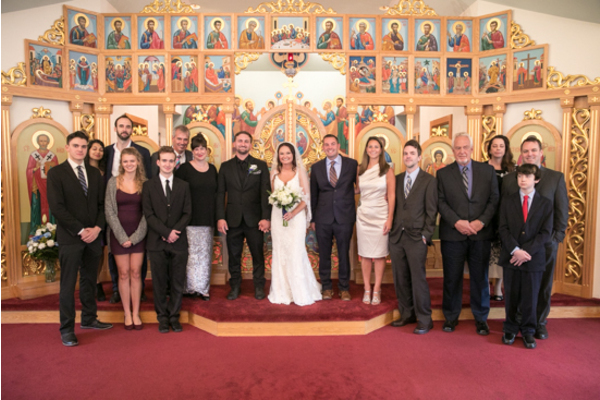 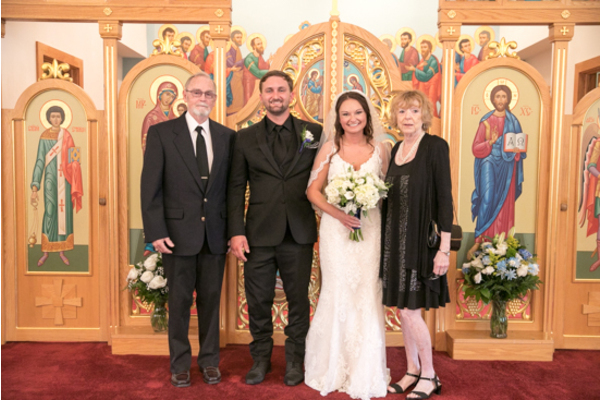 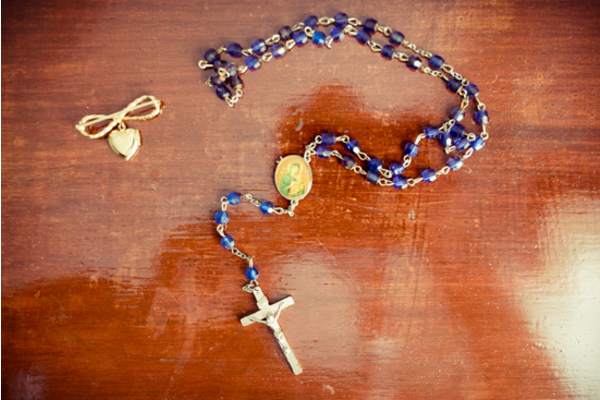 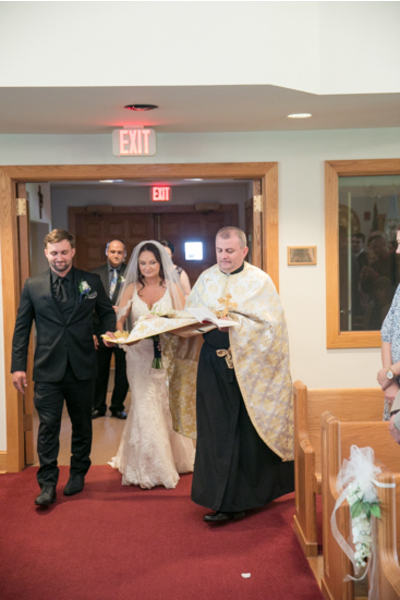 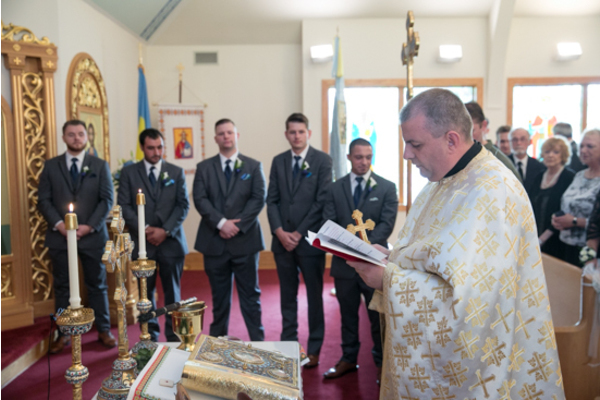 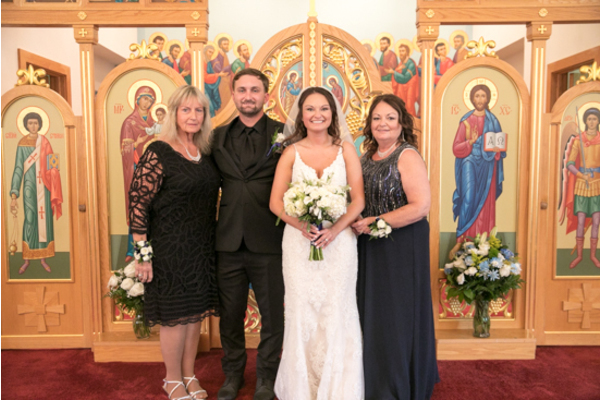 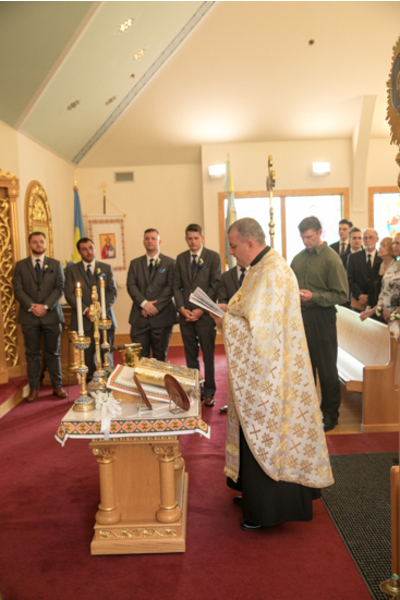 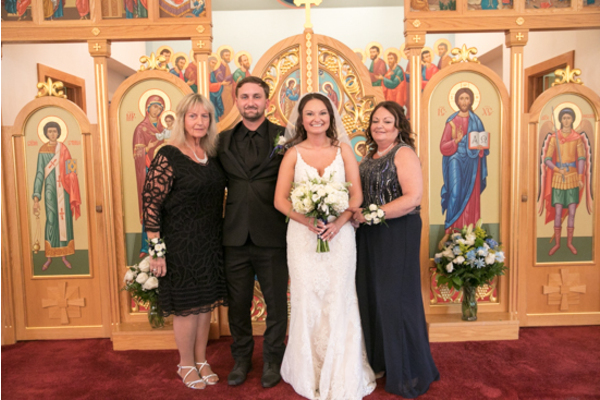 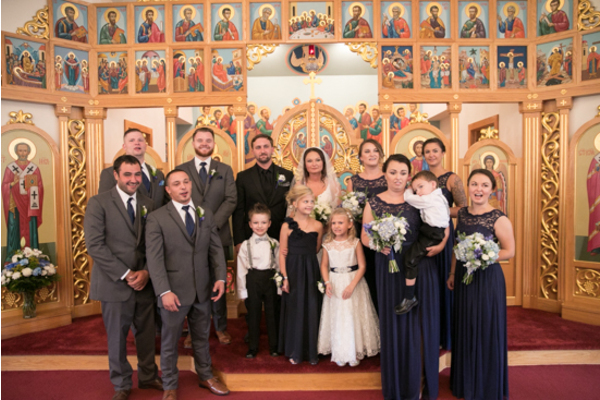 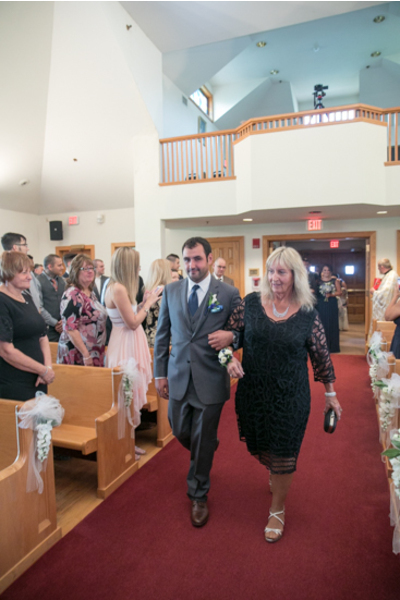 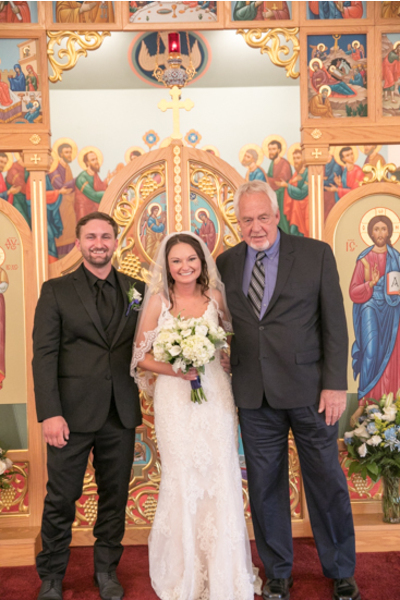 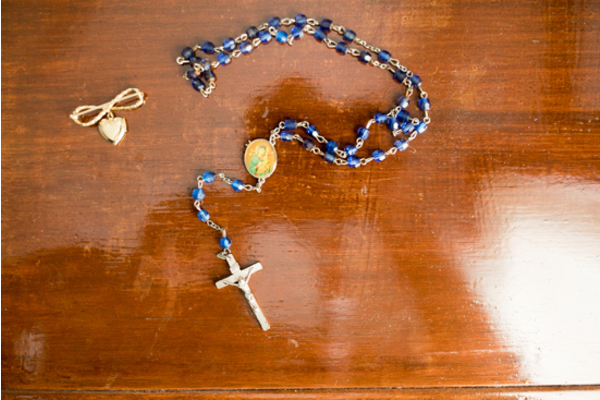 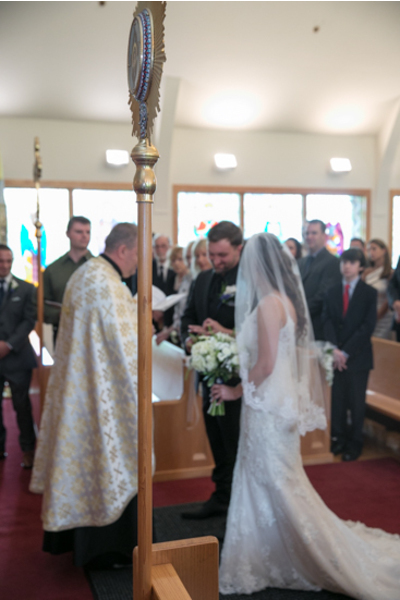 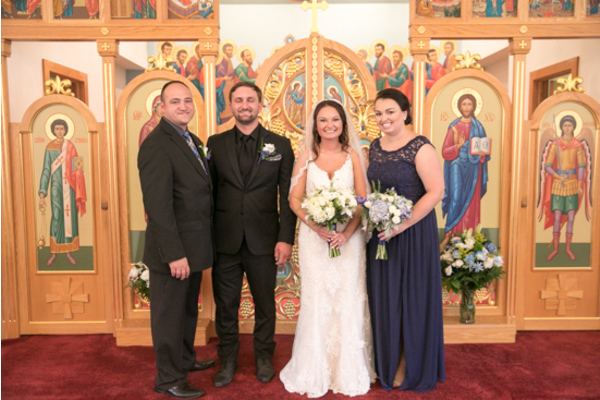 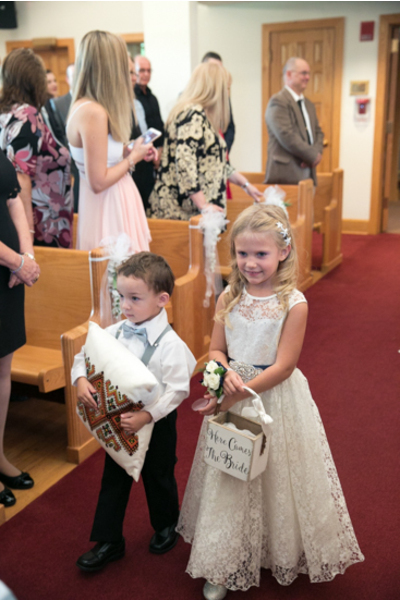 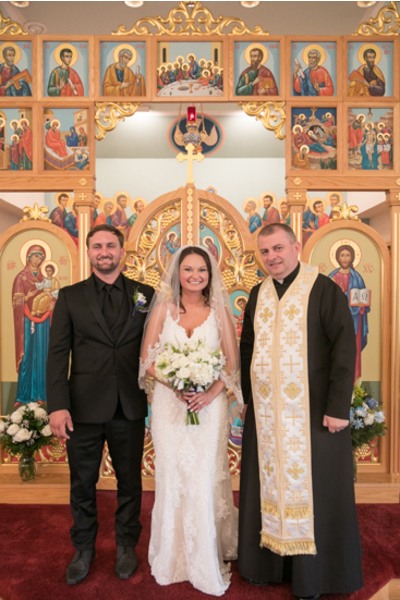 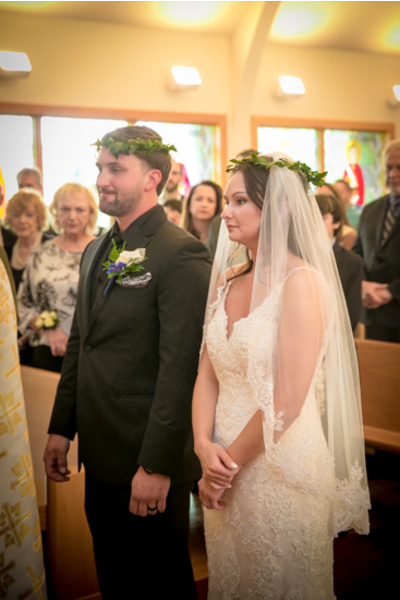 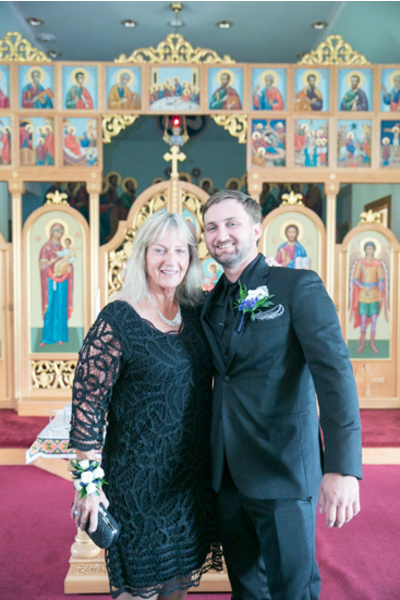 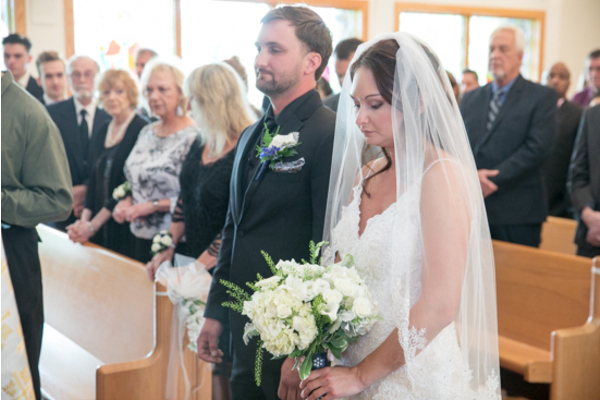 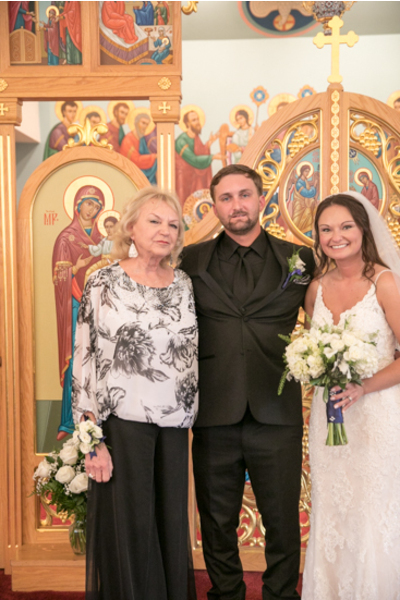 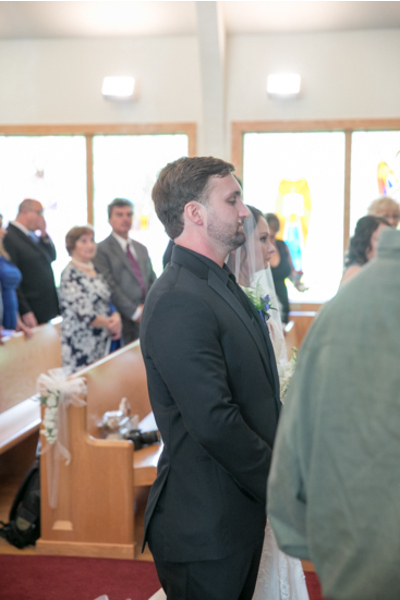 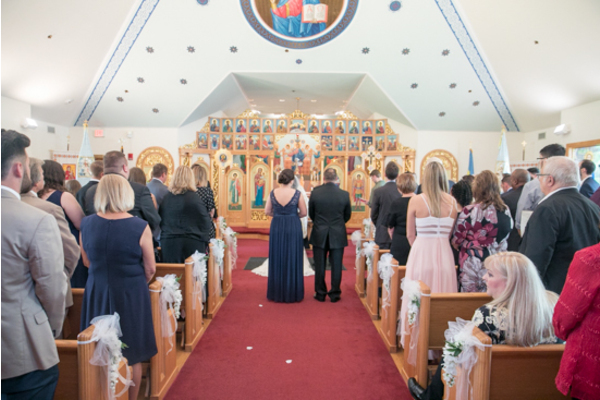 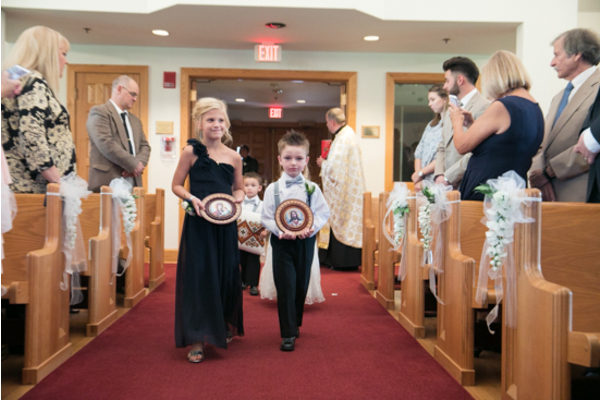 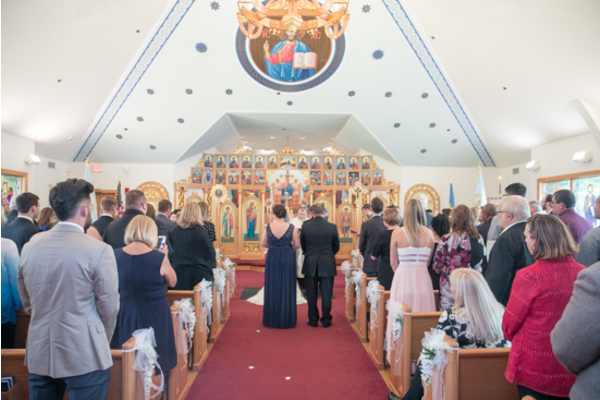 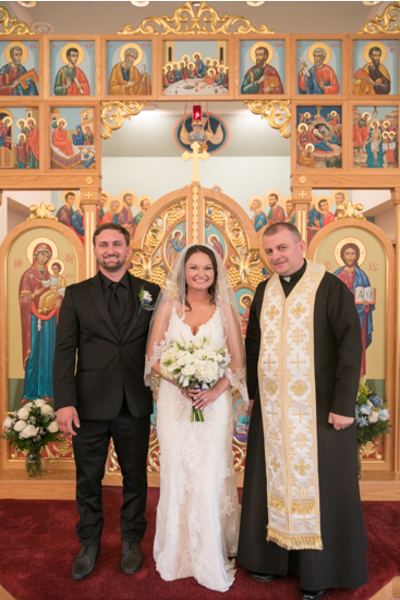 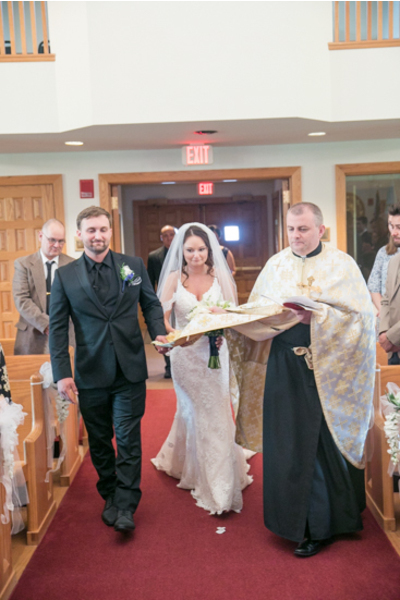 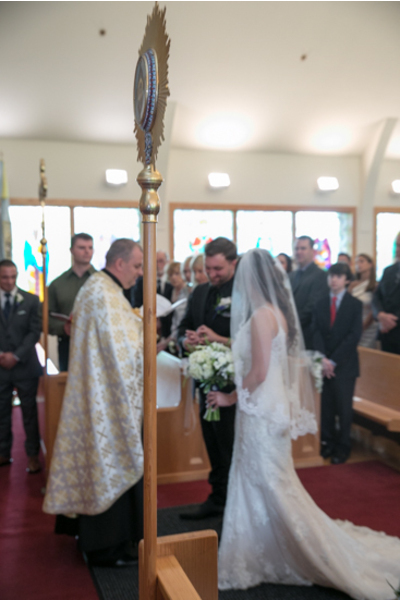 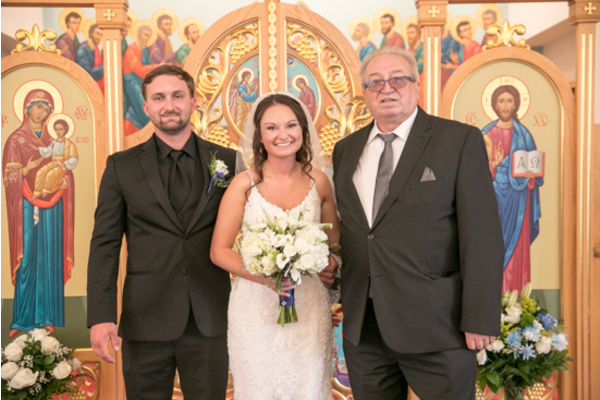 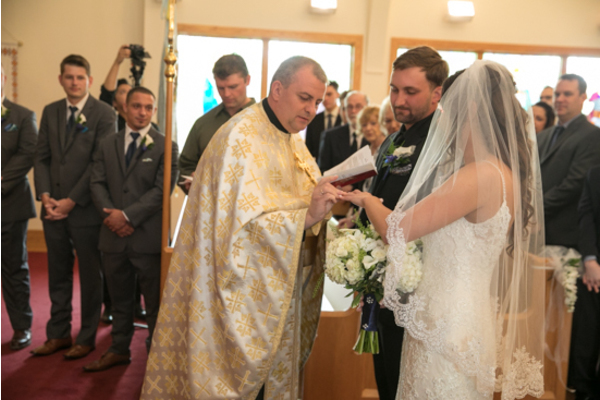 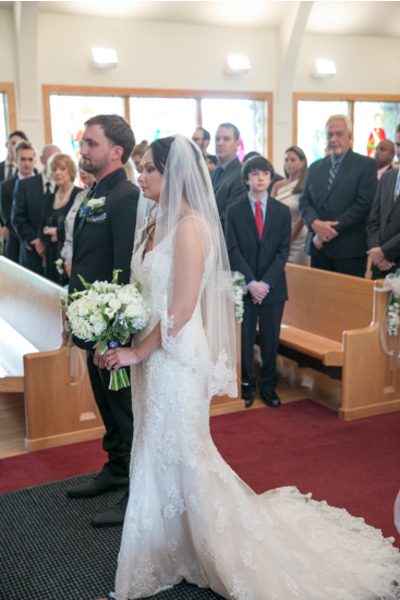 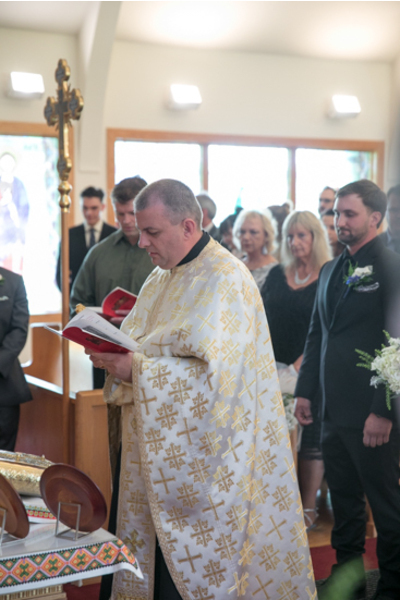 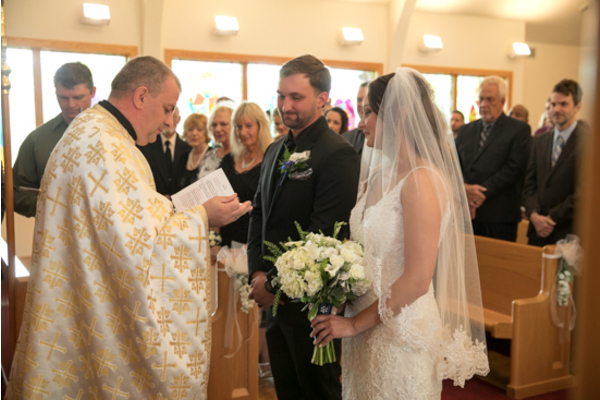 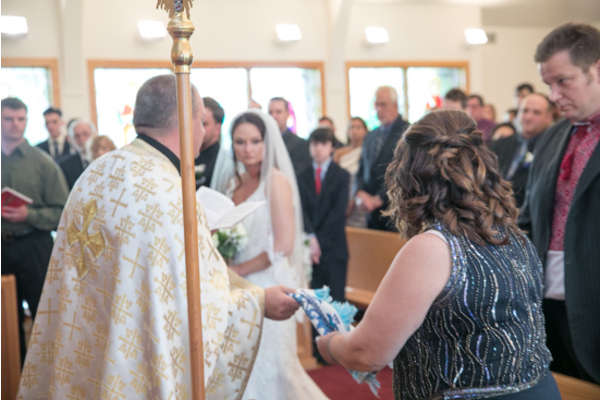 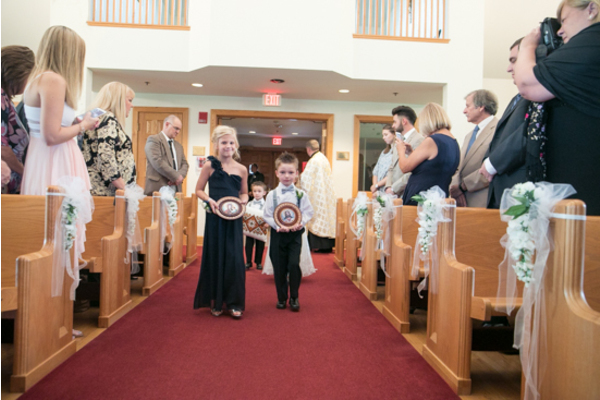 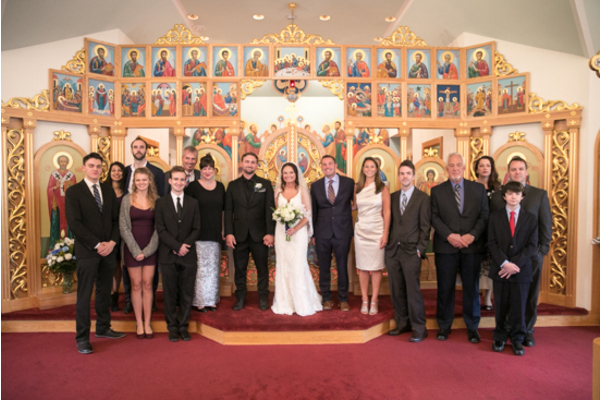 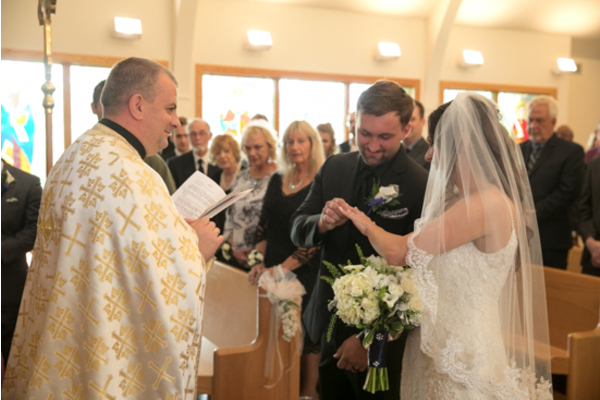 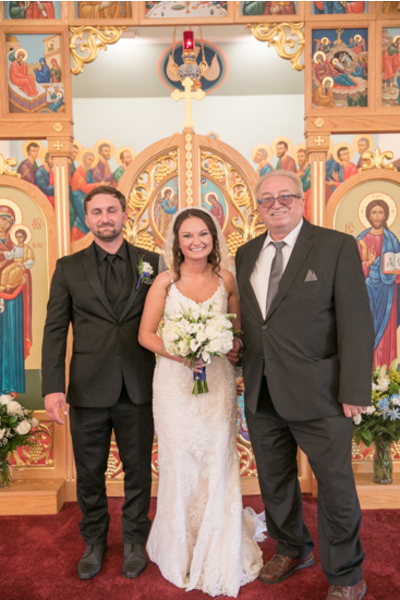 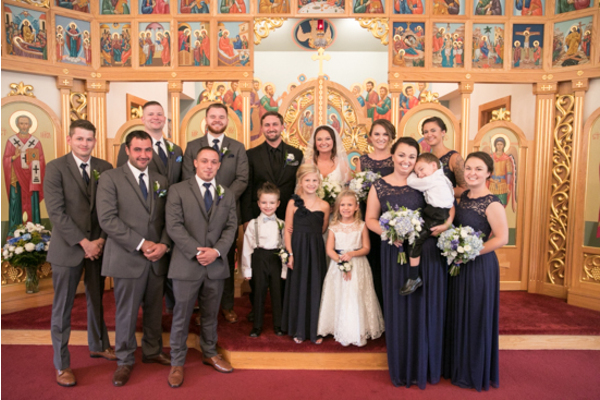 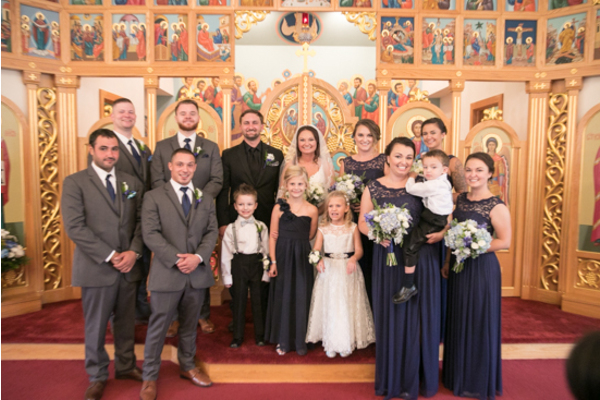 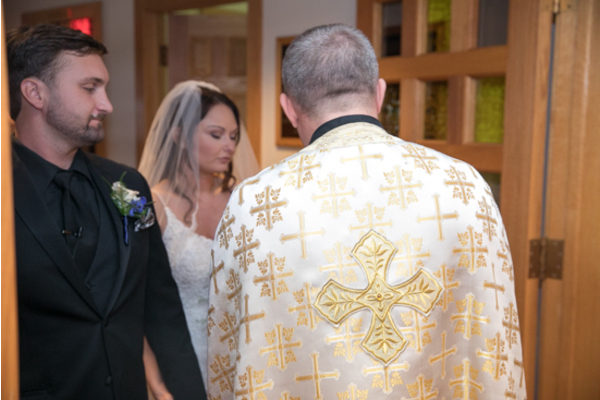 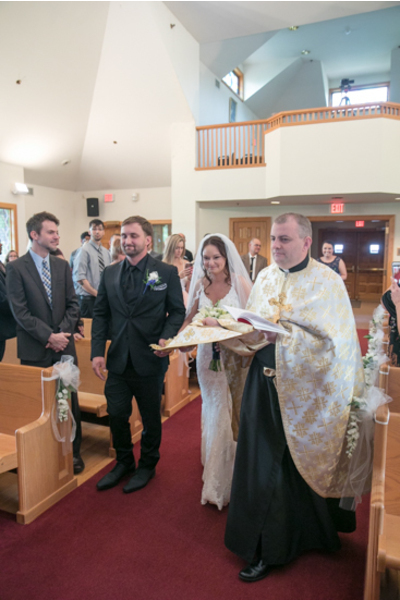 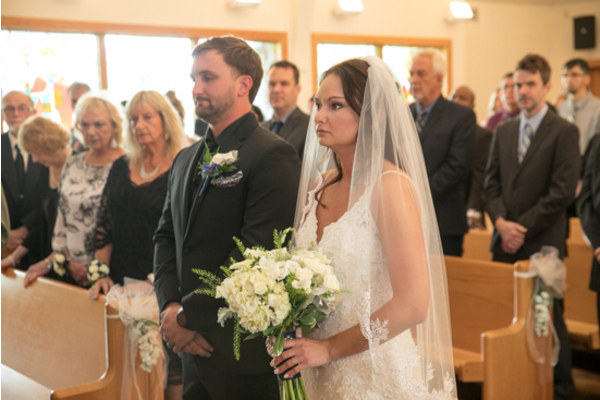 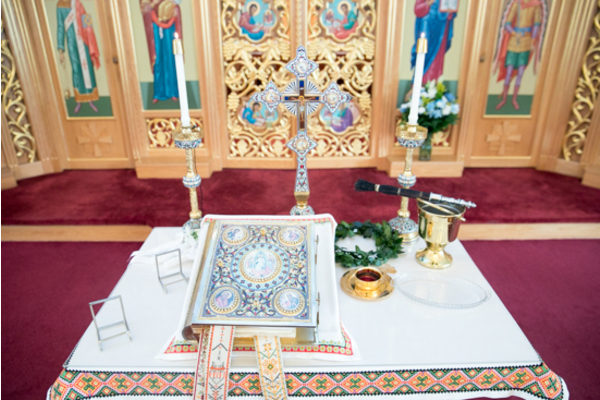 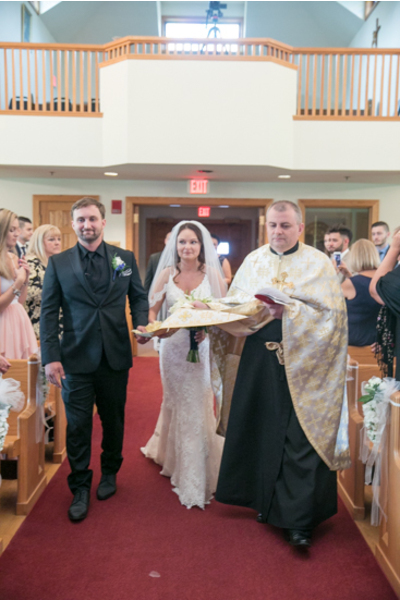 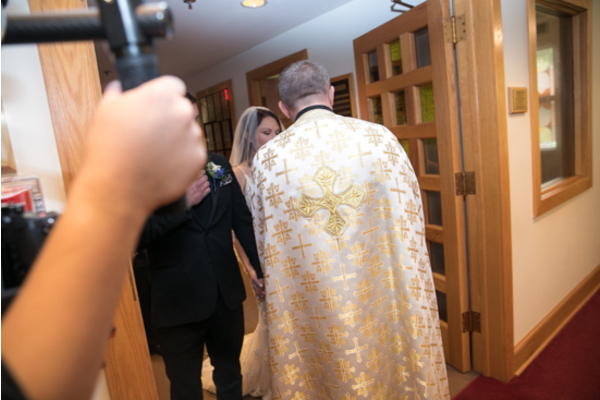 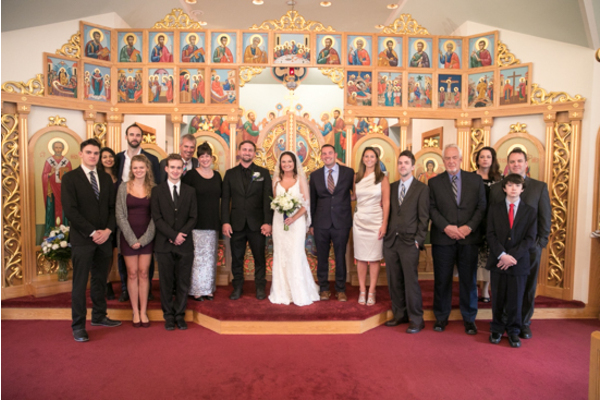 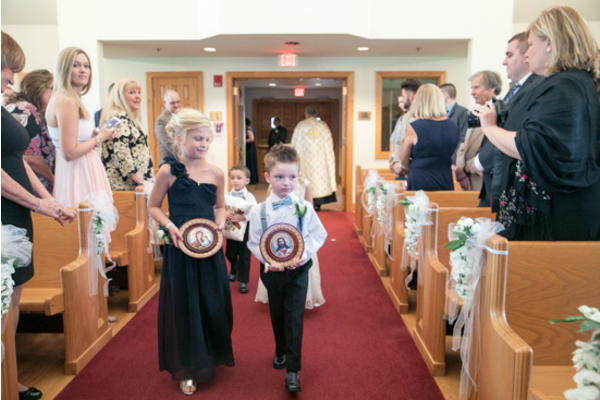 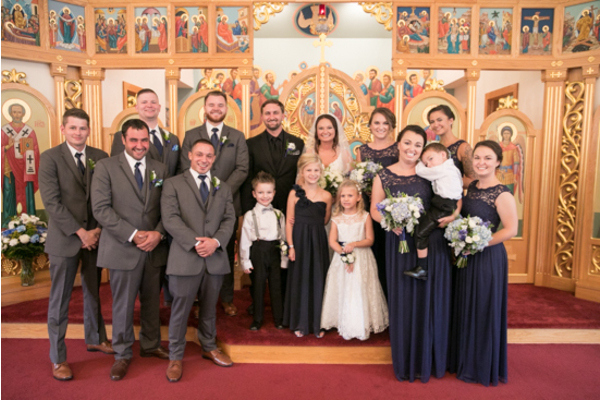 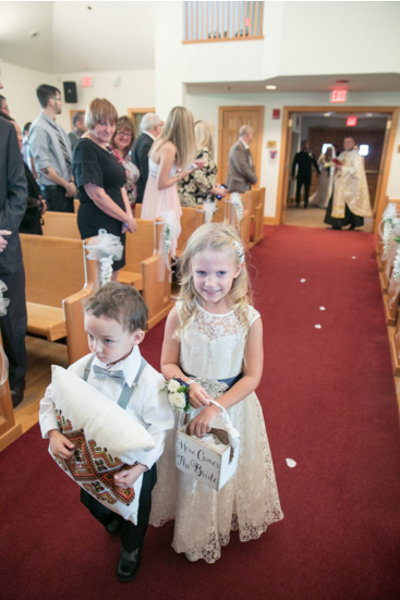 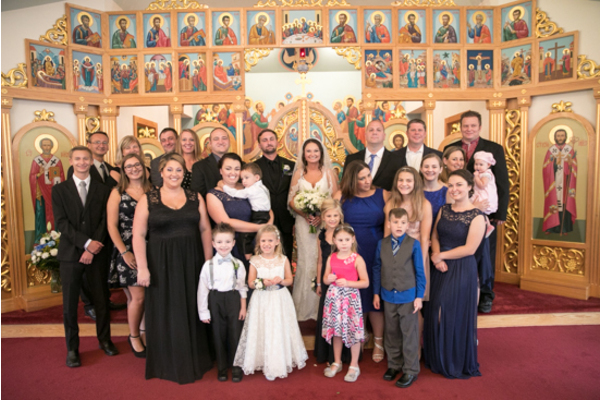 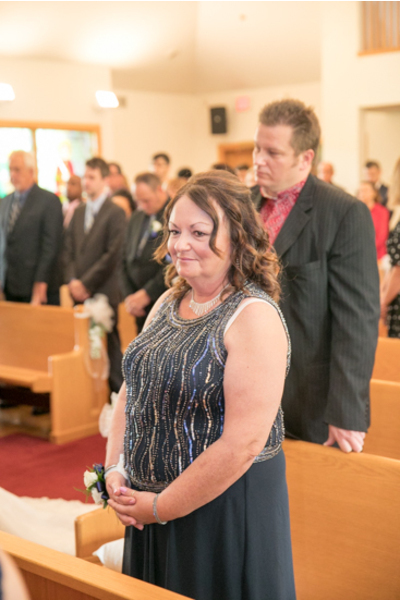 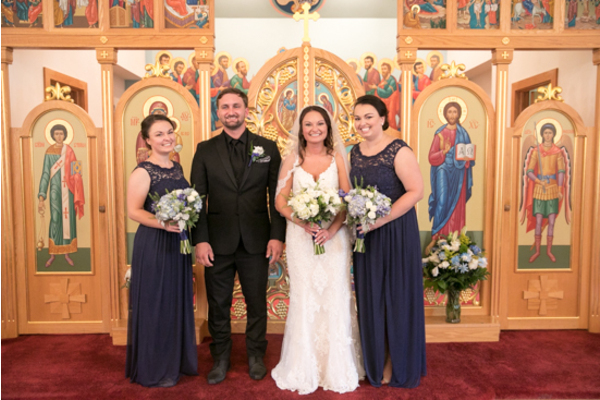 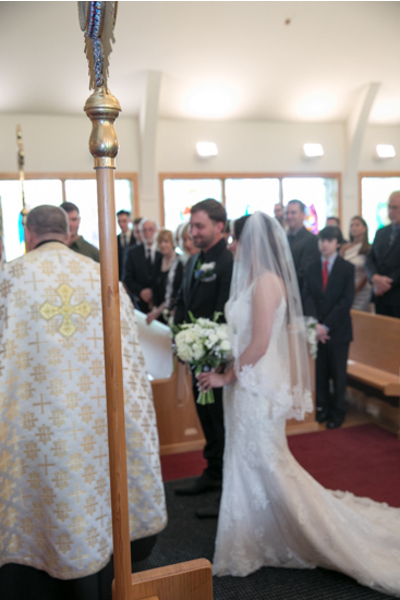 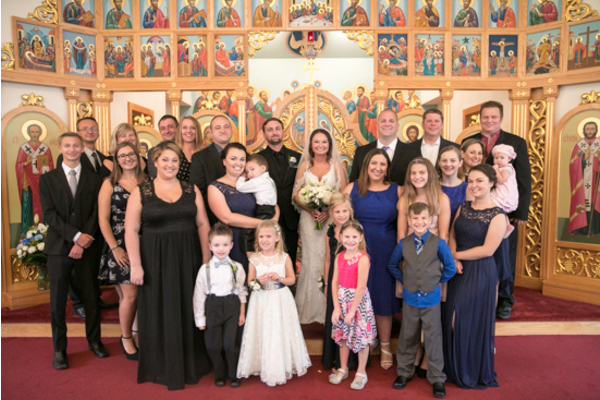 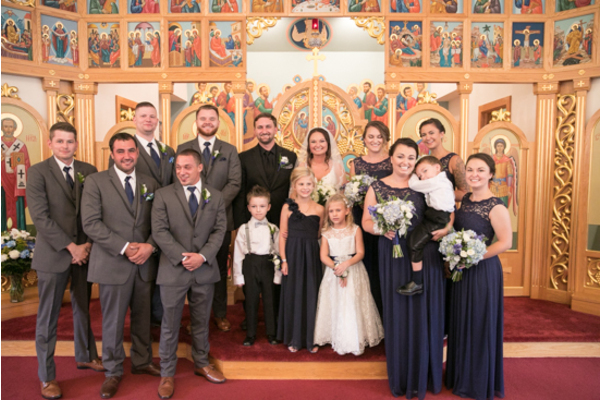 This beautiful ceremony was held indoors in a spacious traditional church. 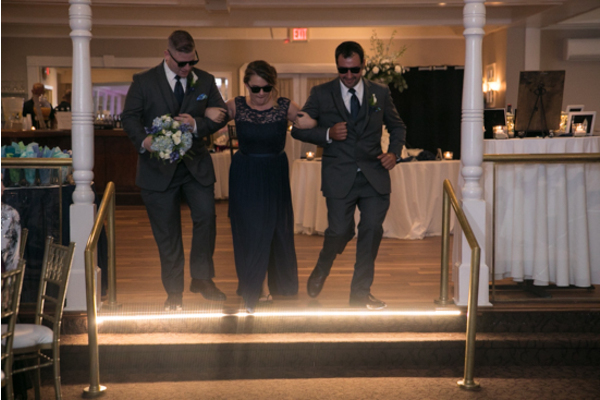 Nina made her grand entrance greeted by pure joy from her friends and family. 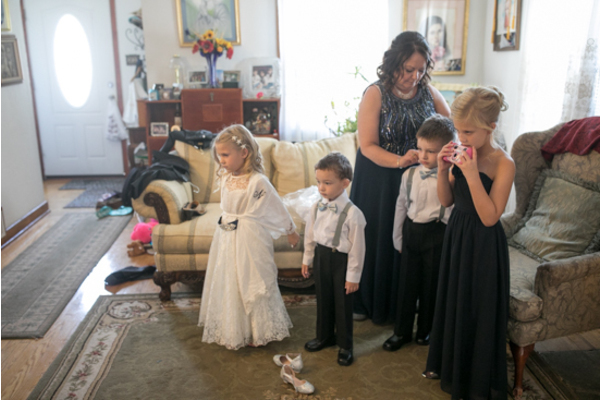 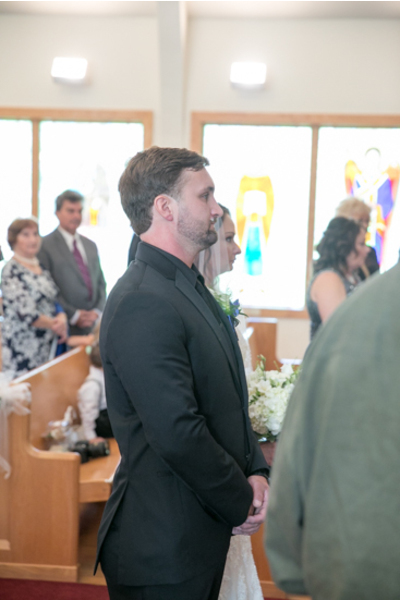 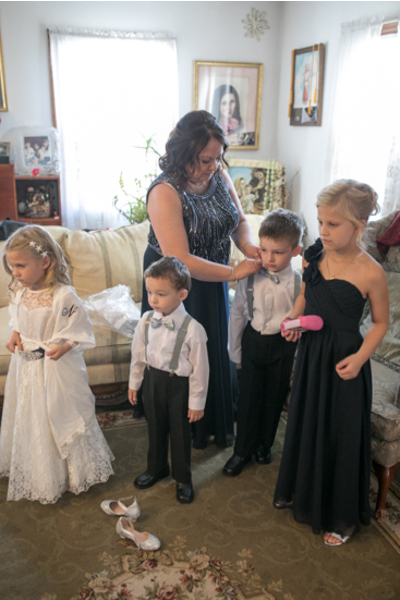 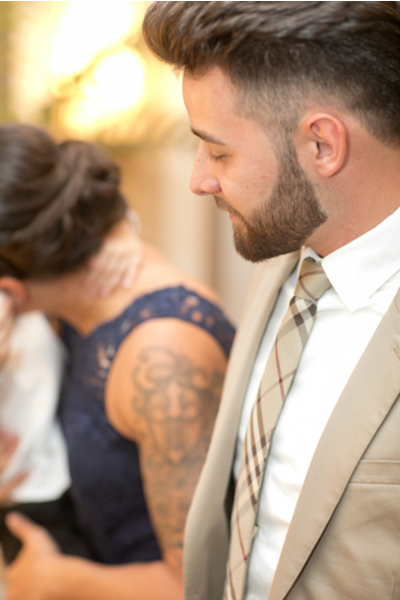 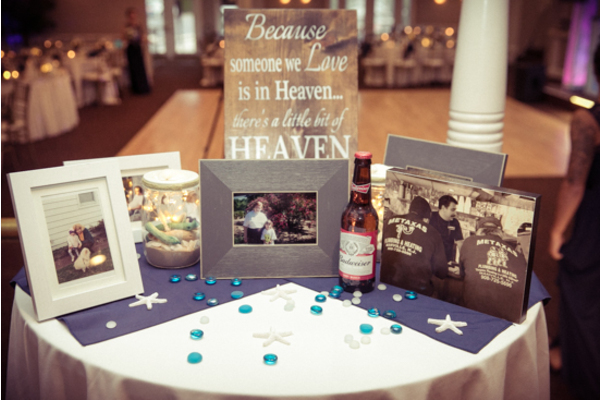 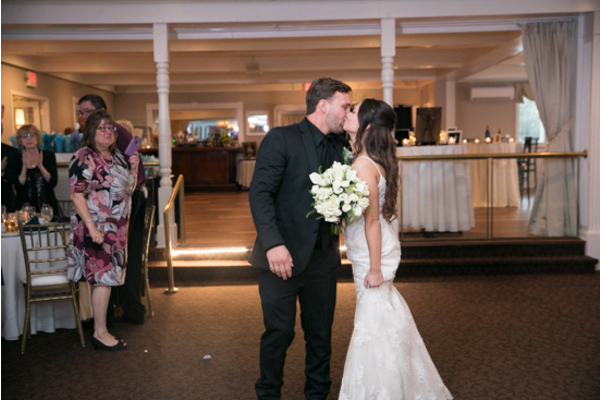 The couple exchanged vows to one another and sealed them with a kiss. 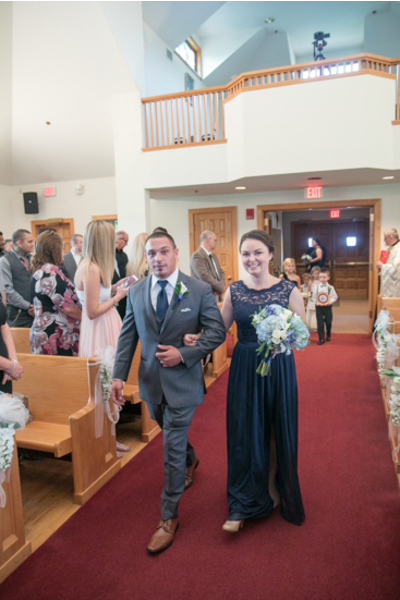 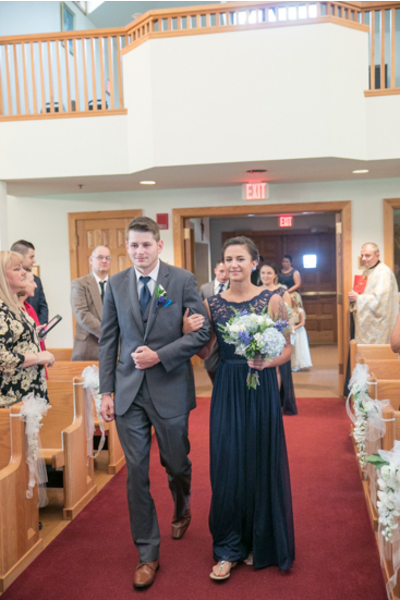 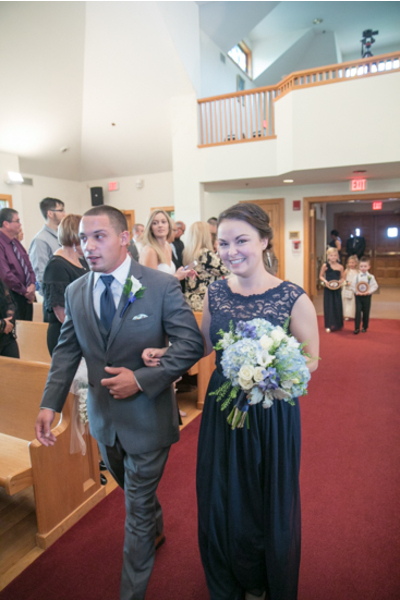 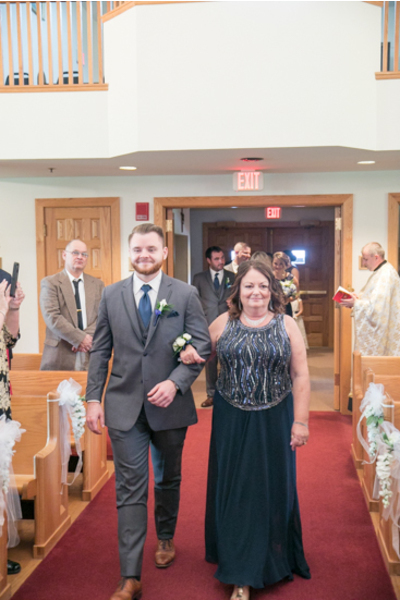 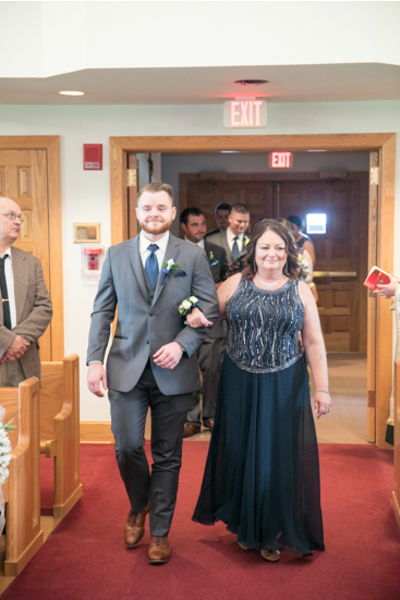 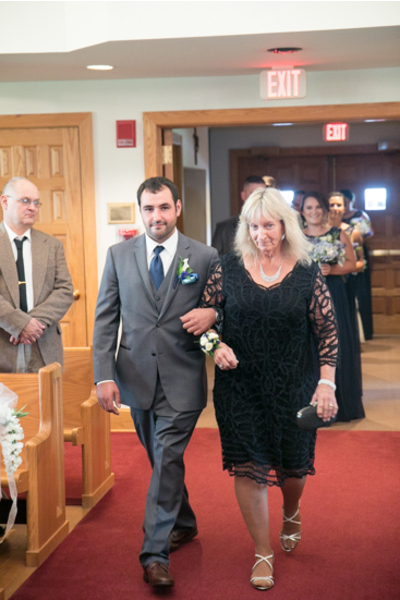 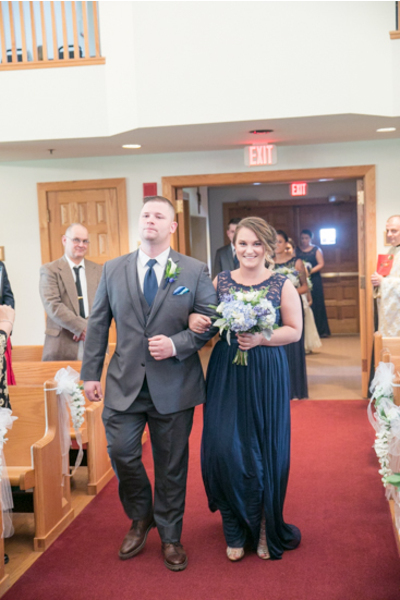 Officially Mr. and Mrs., they made their way down the aisle hand in hand. 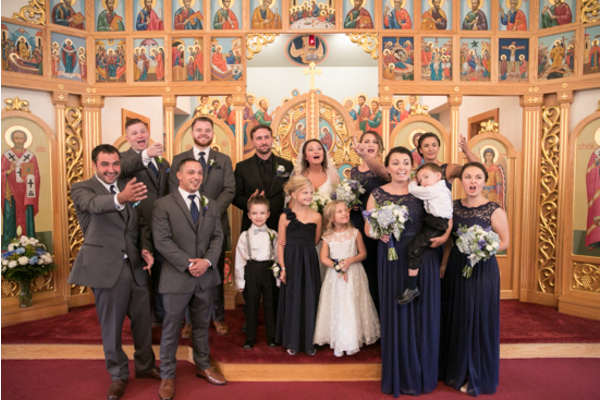 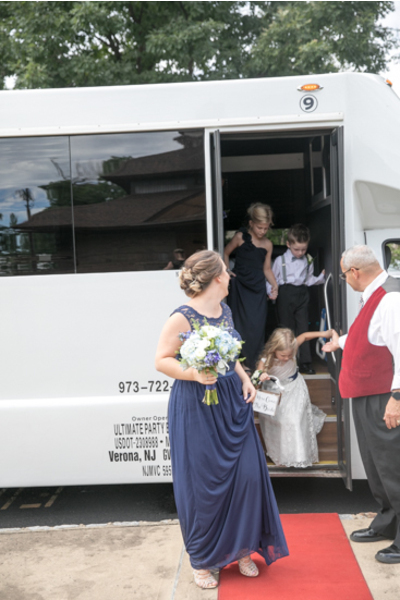 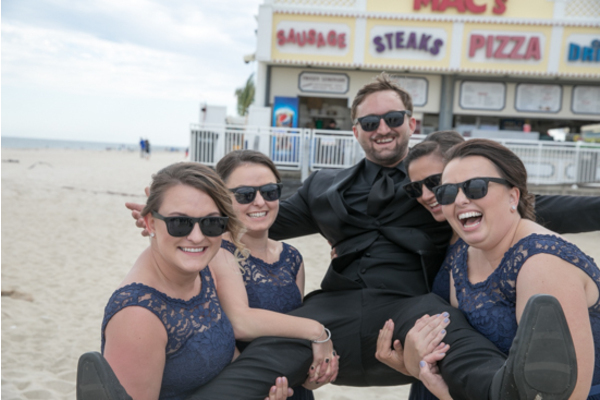 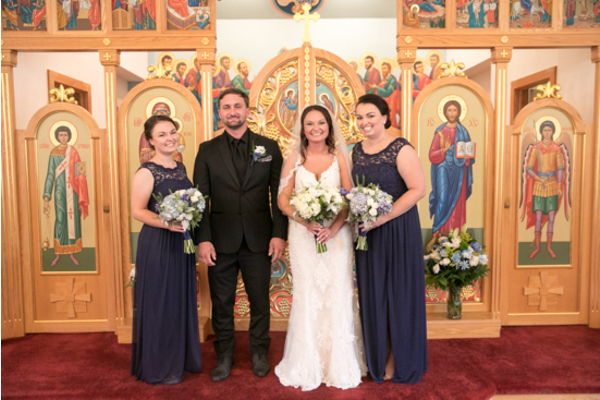 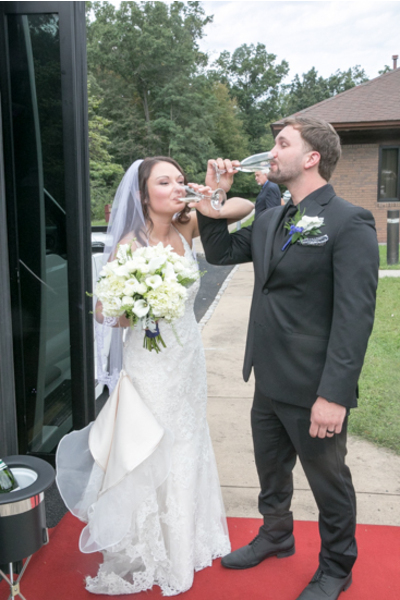 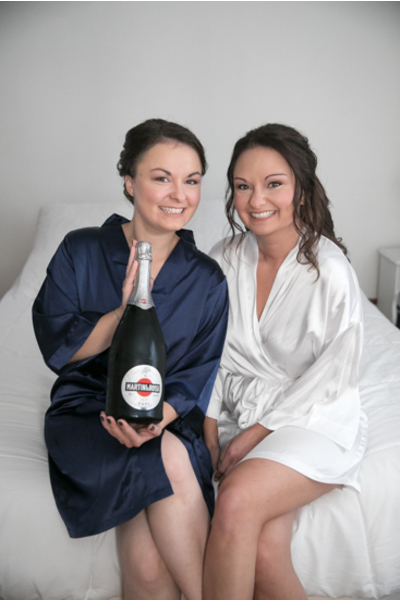 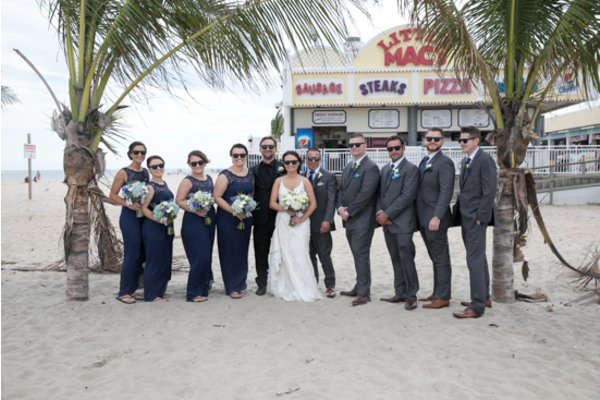 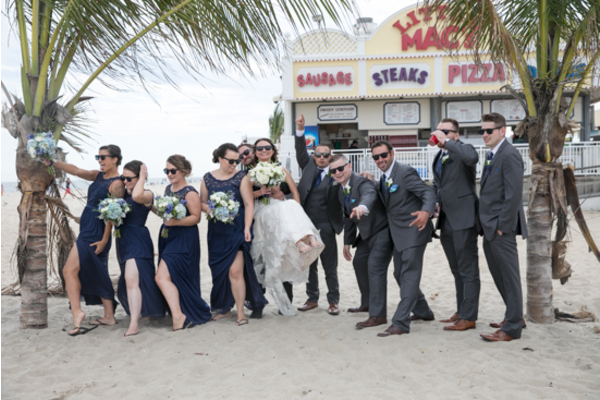 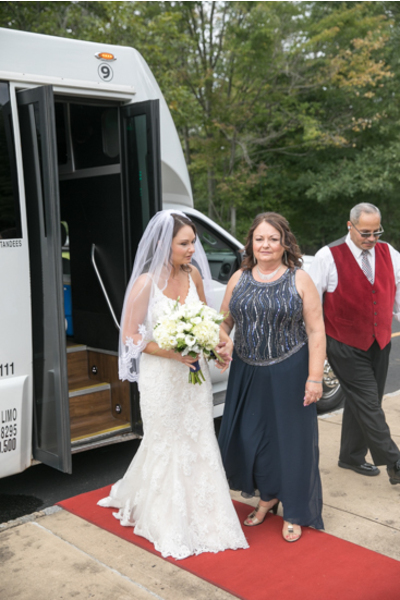 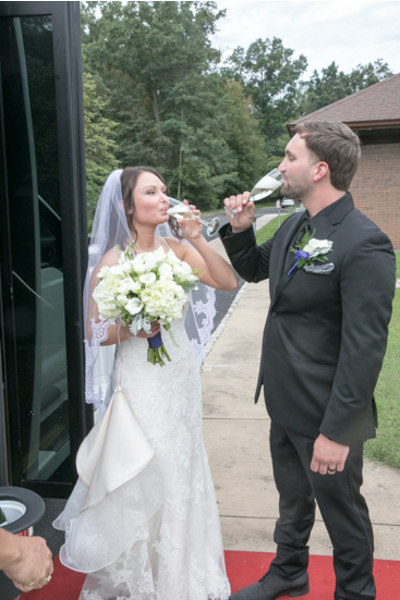 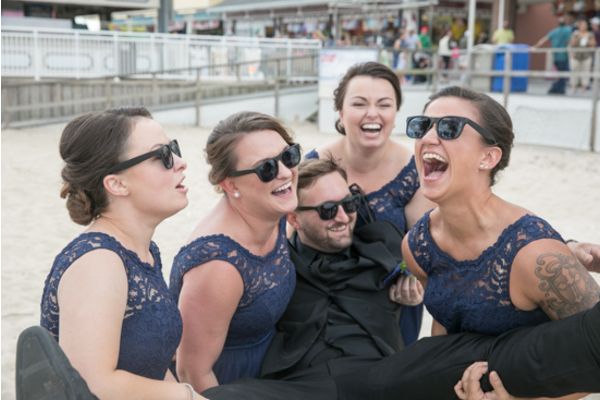 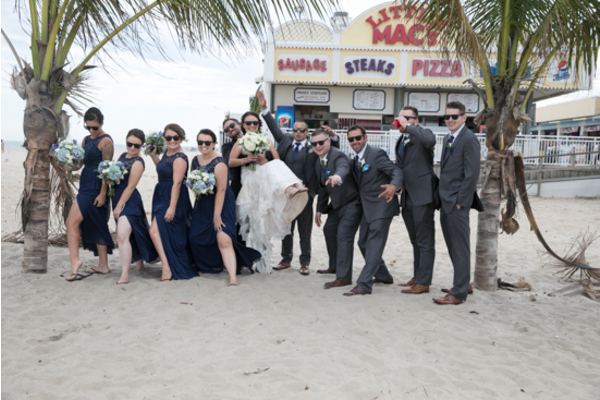 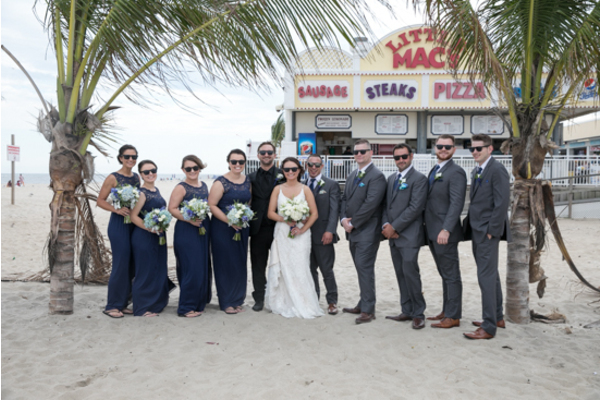 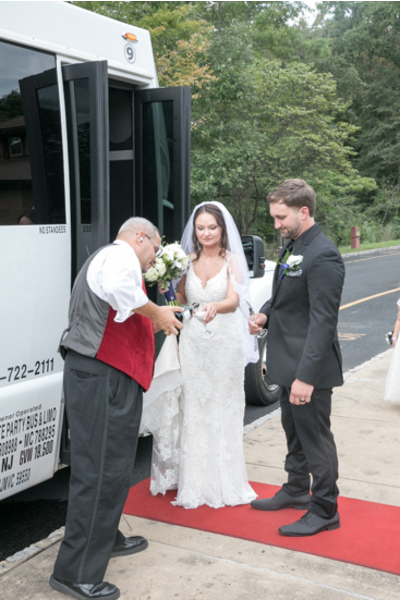 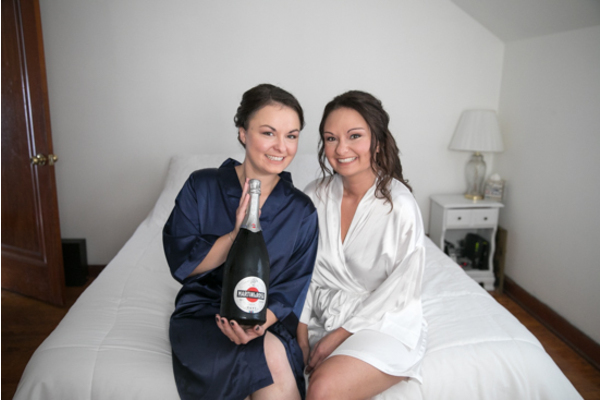 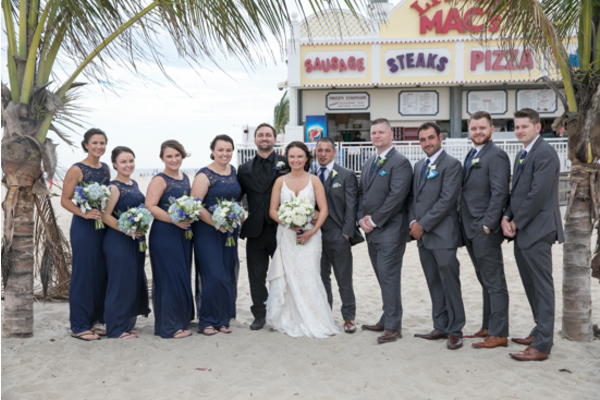 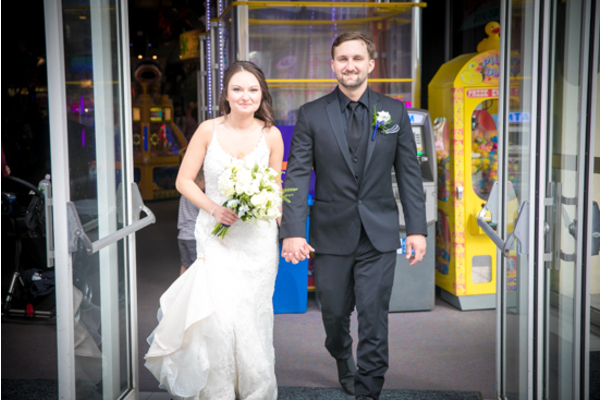 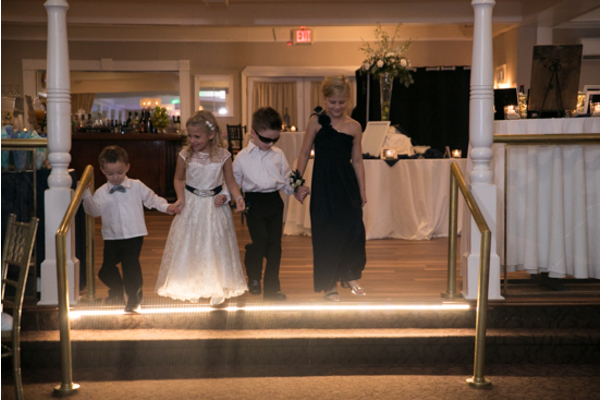 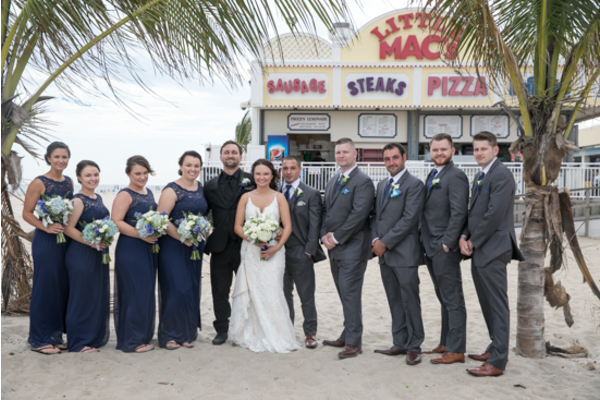 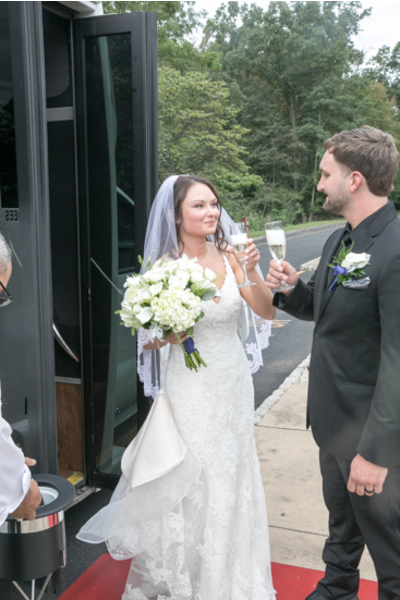 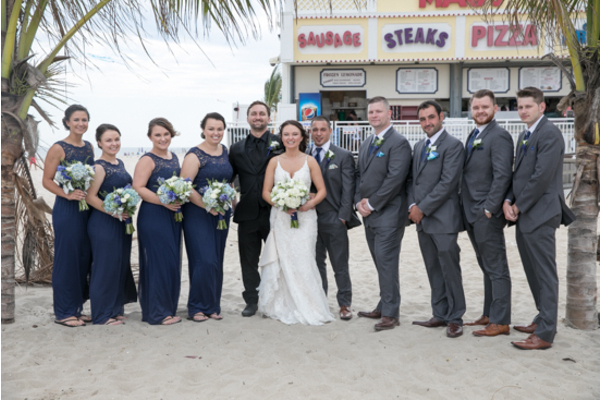 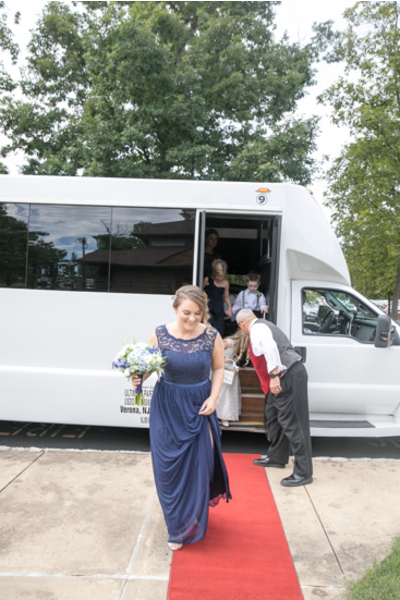 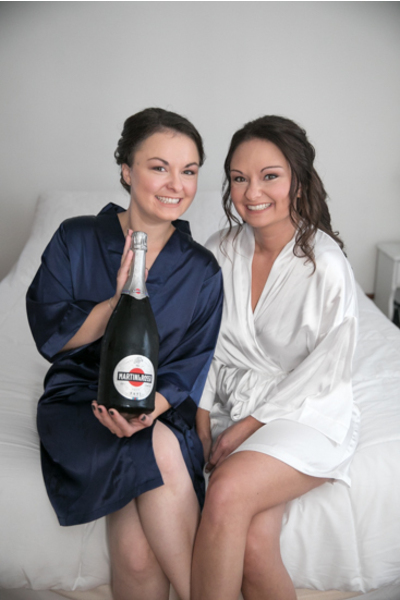 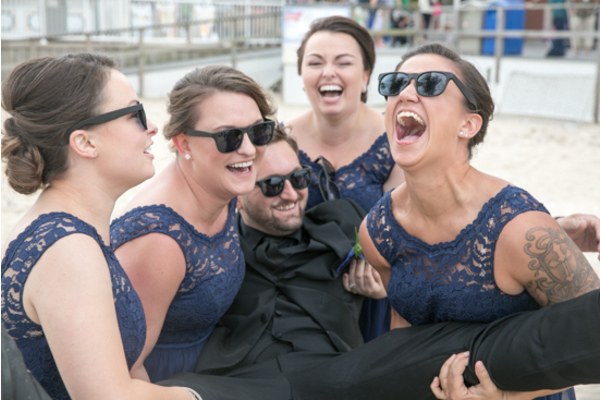 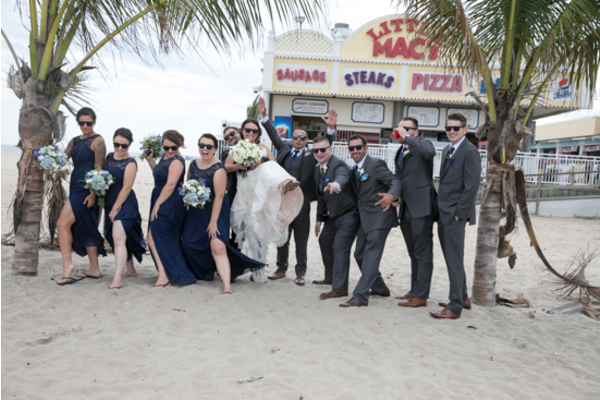 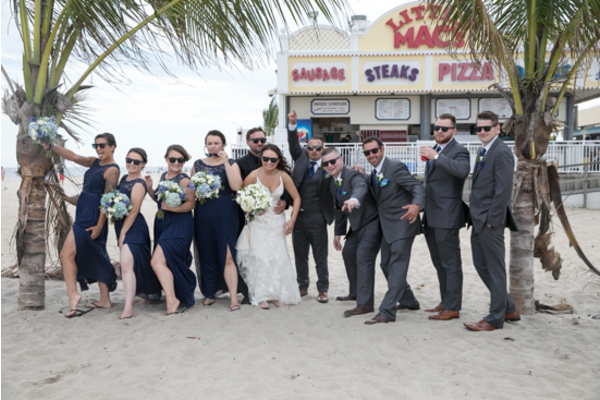 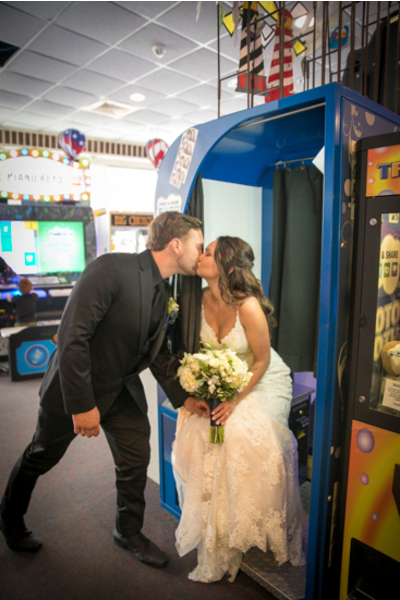 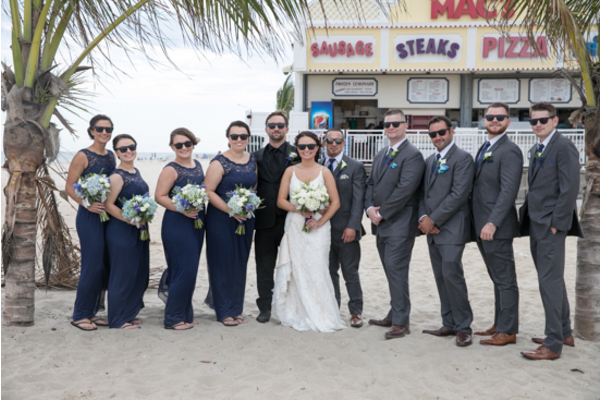 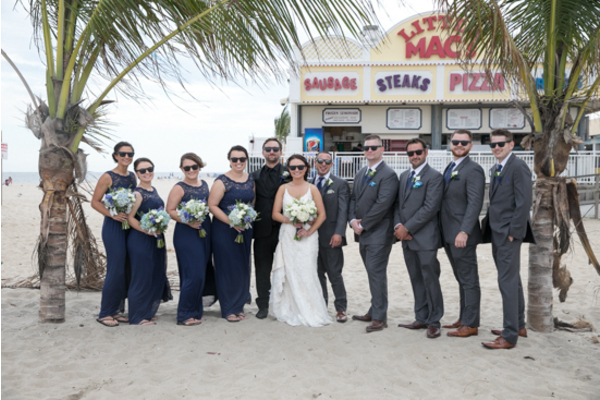 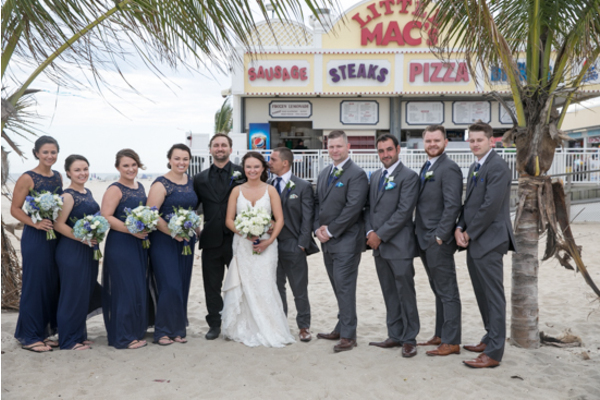 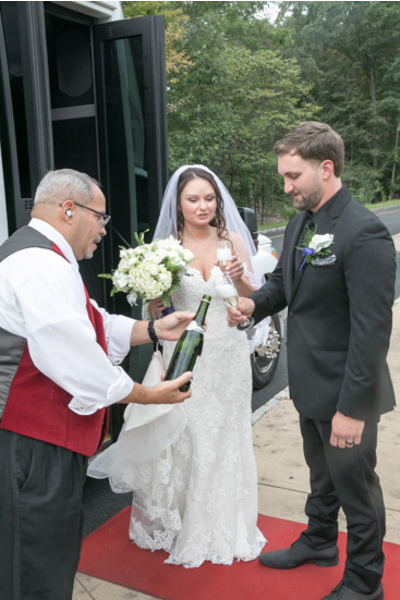 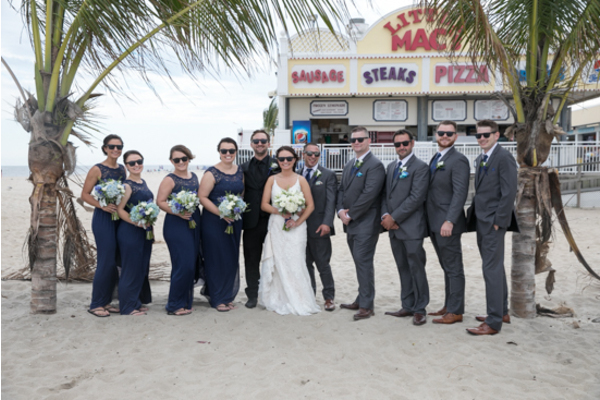 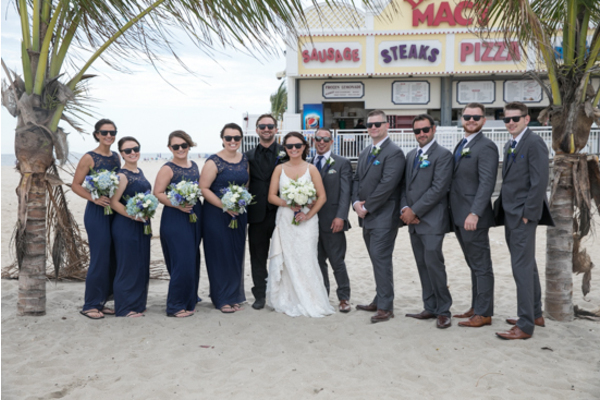 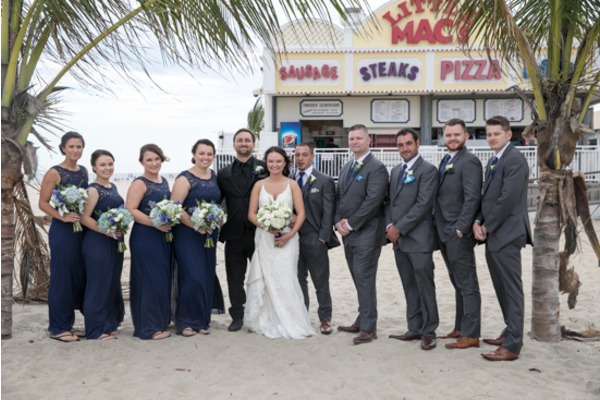 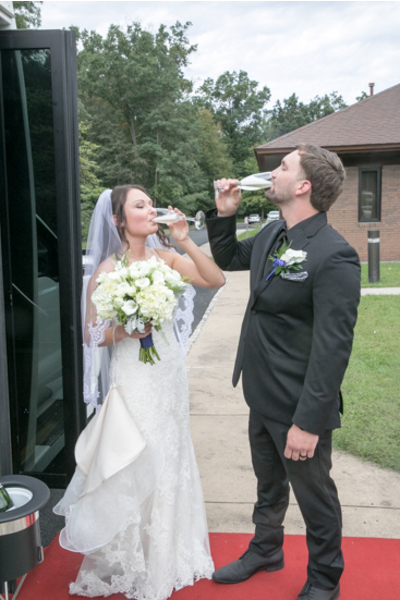 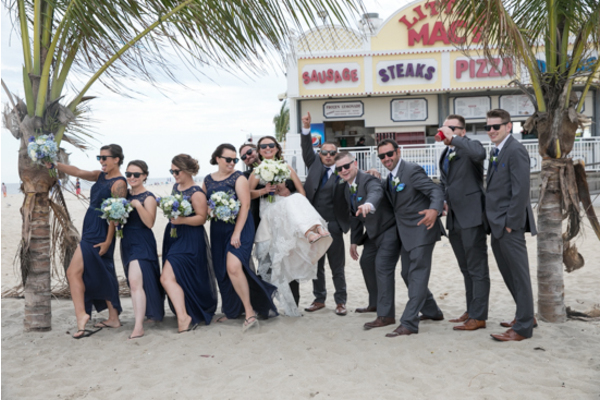 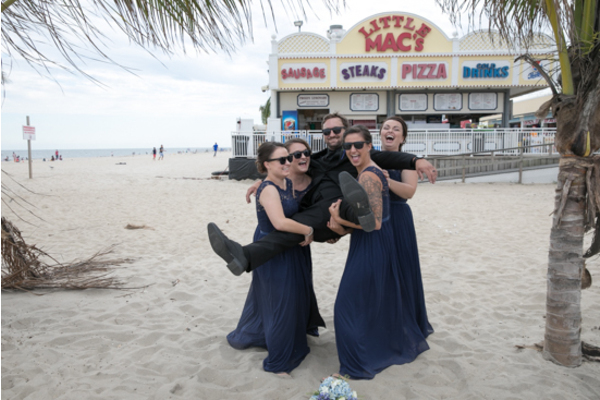 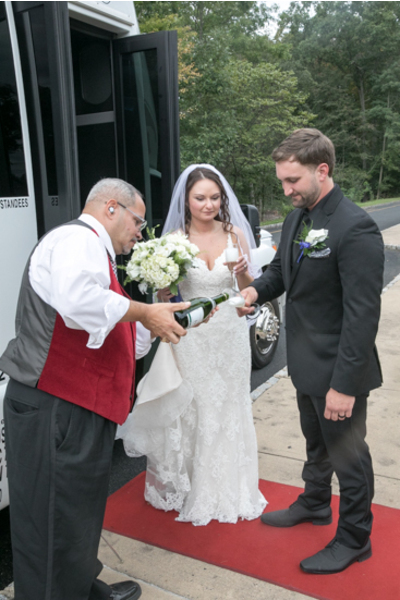 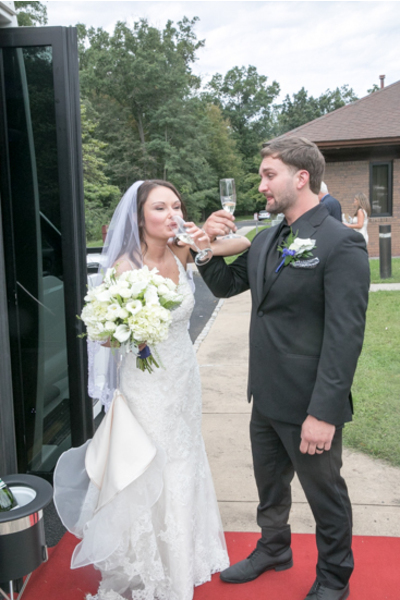 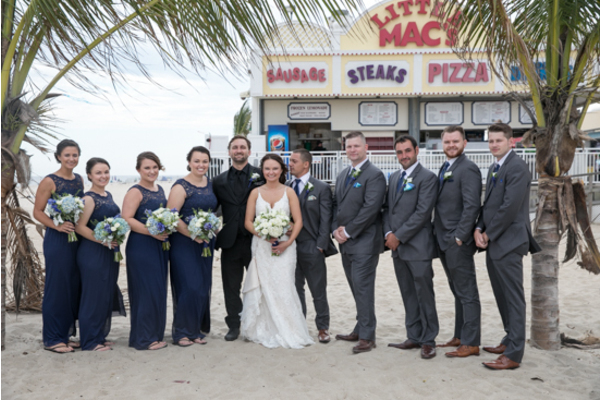 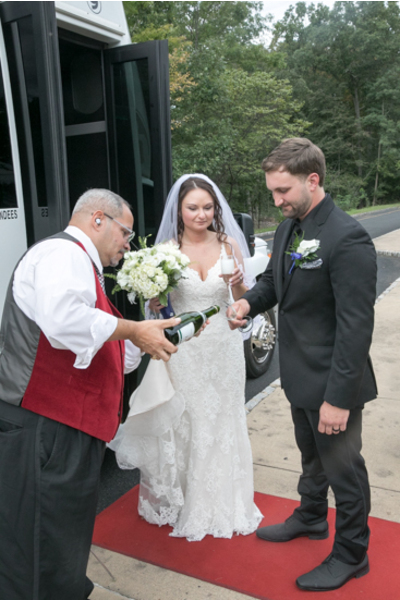 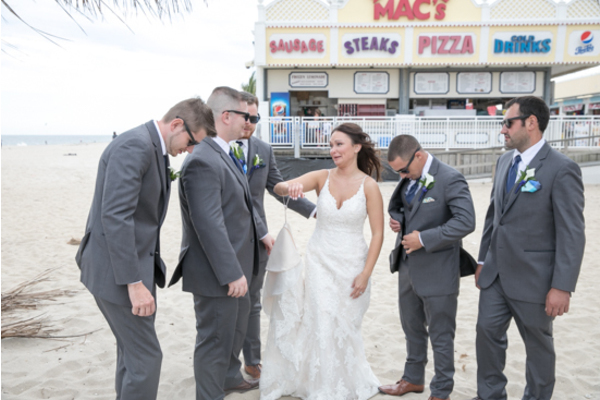 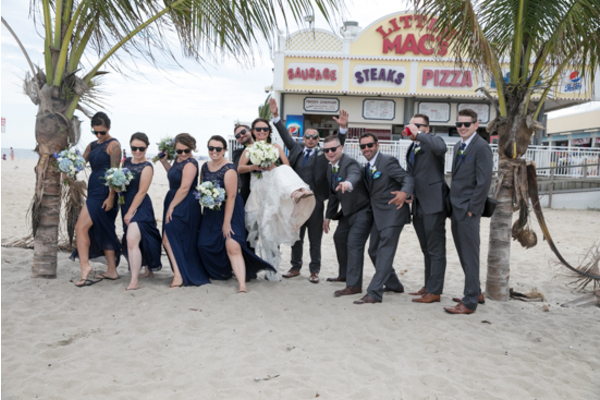 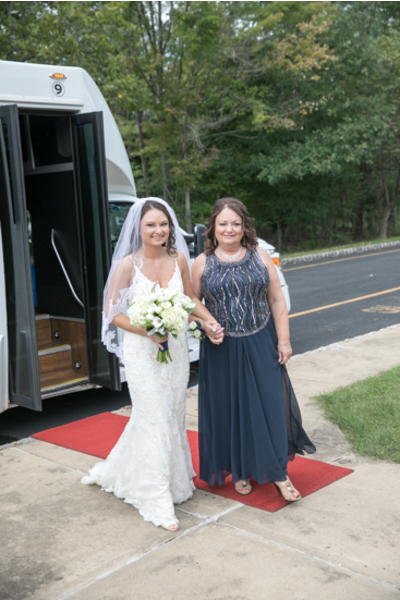 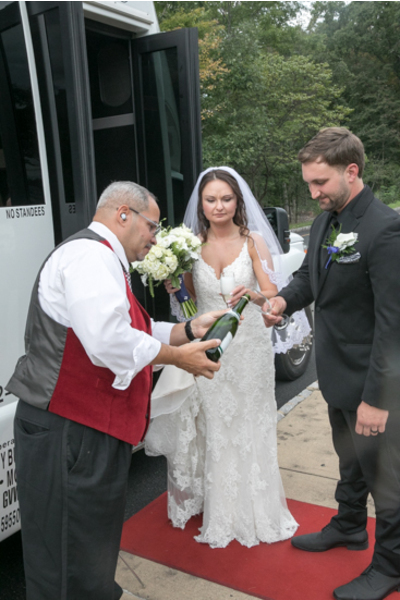 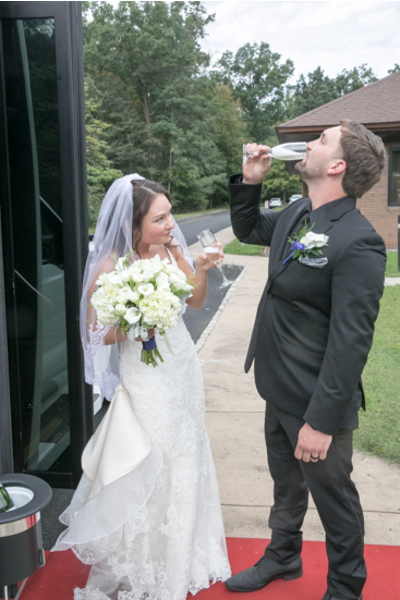 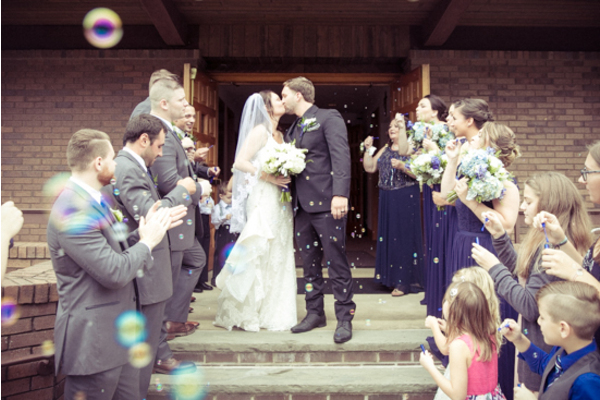 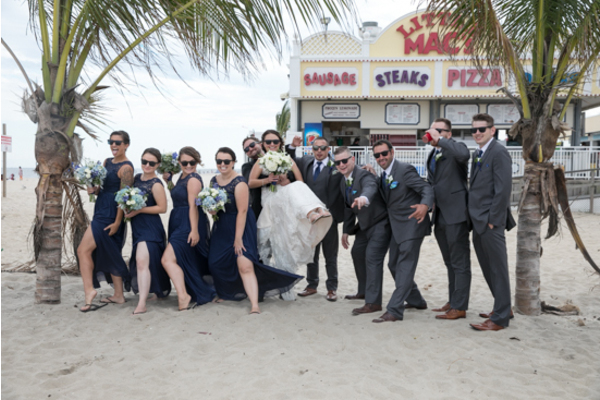 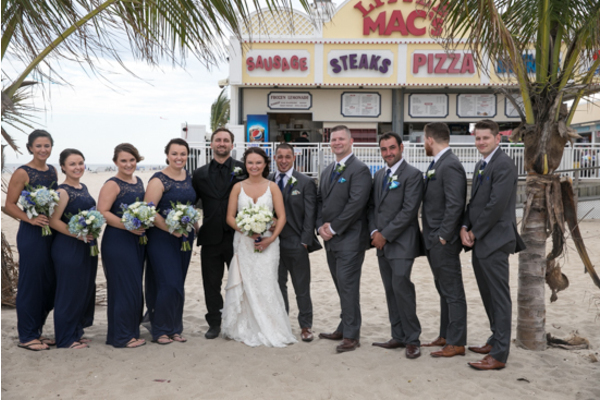 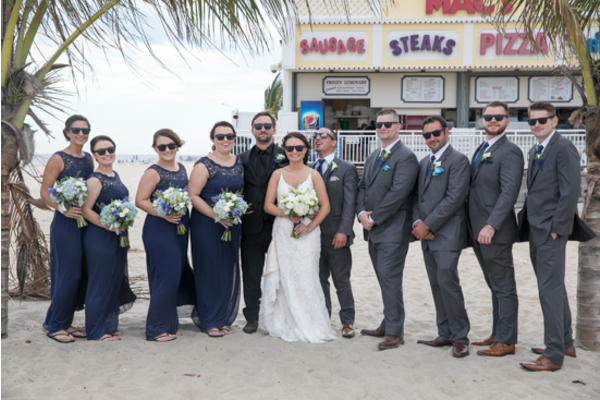 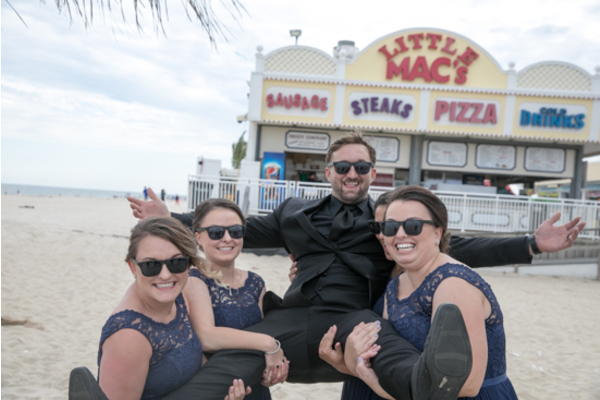 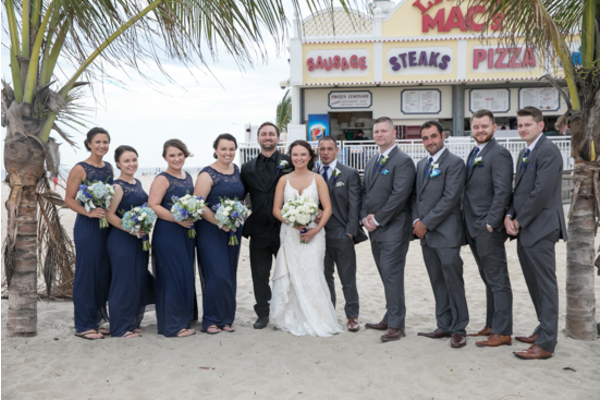 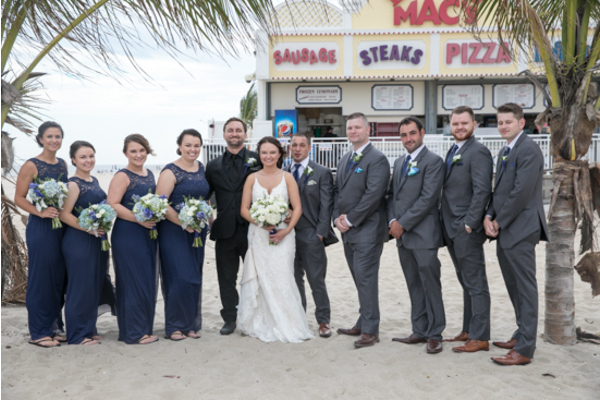 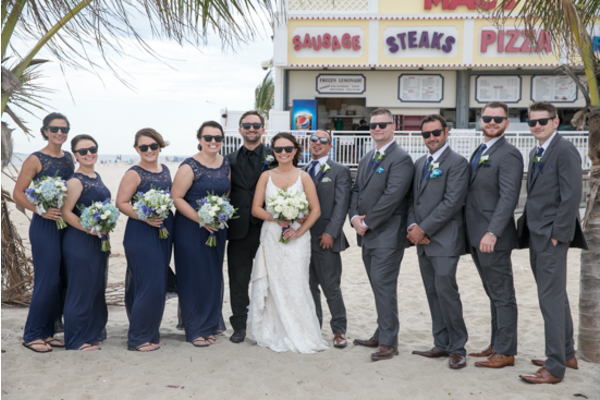 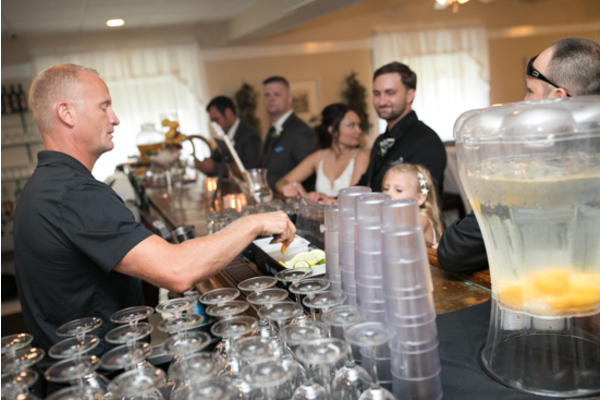 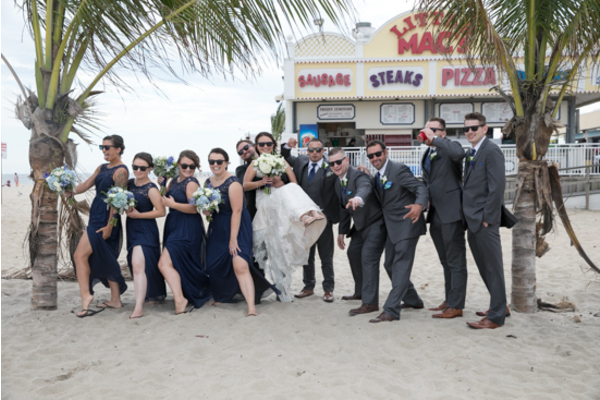 Met at the entrance by bubbles and their bridal party, their first debut as newlyweds was one to remember! 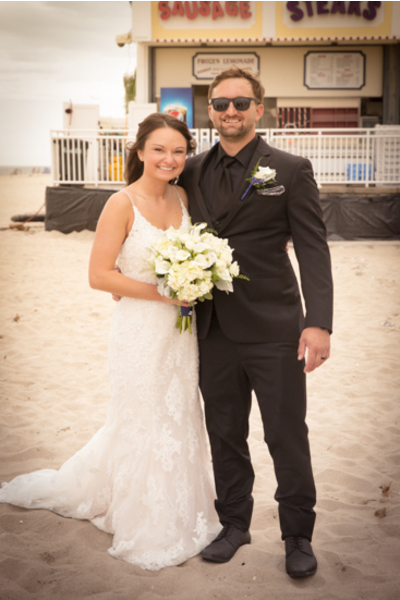 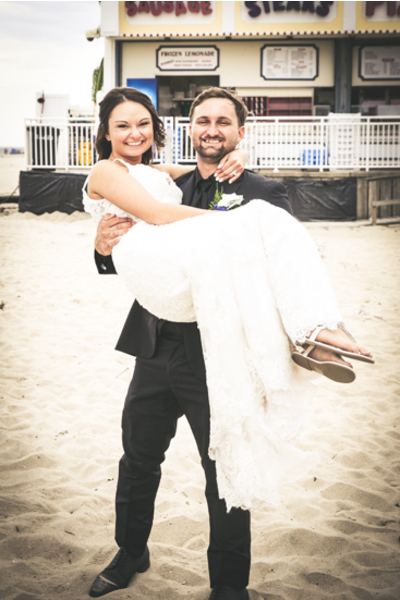 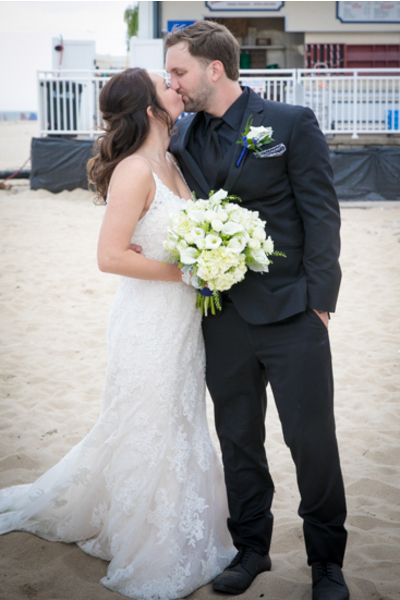 Before making their way to the reception, Nina and Derek had fun taking portraits on the beach. 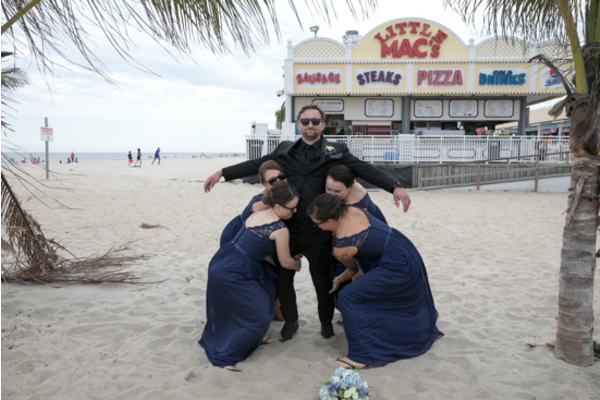 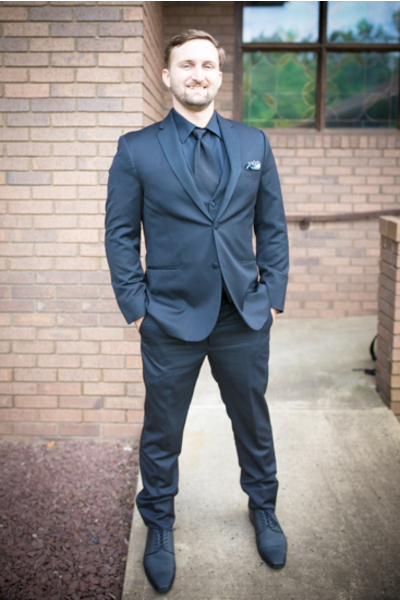 The weather could not have been better for this outdoor photo shoot with our NJ Wedding Photographer. 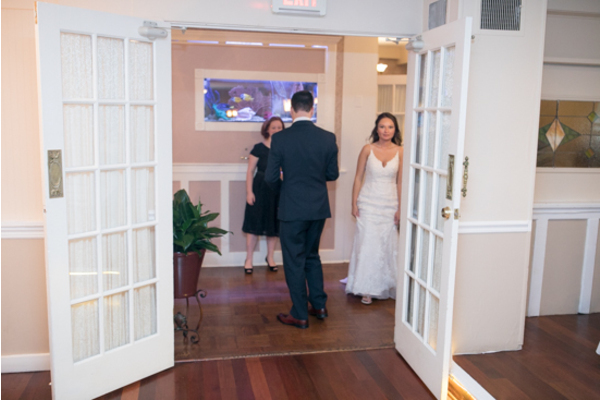 Moving the party indoors, the newlyweds held their reception in a beautiful ballroom. 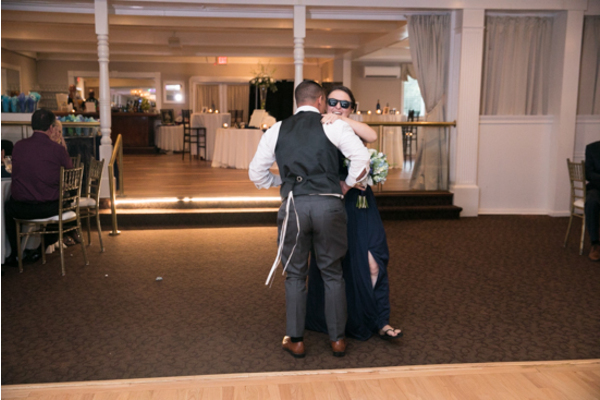 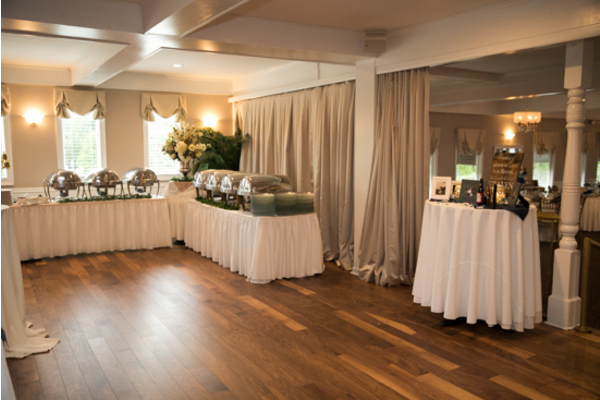 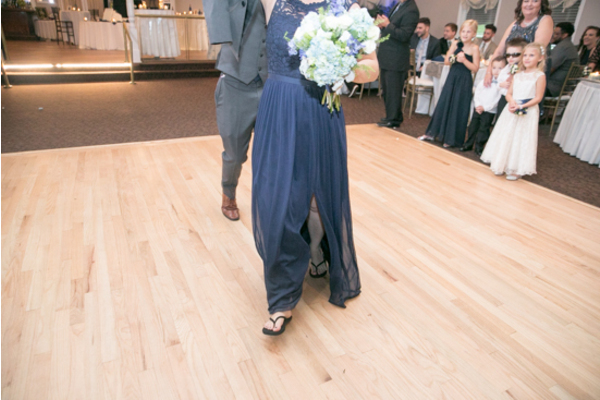 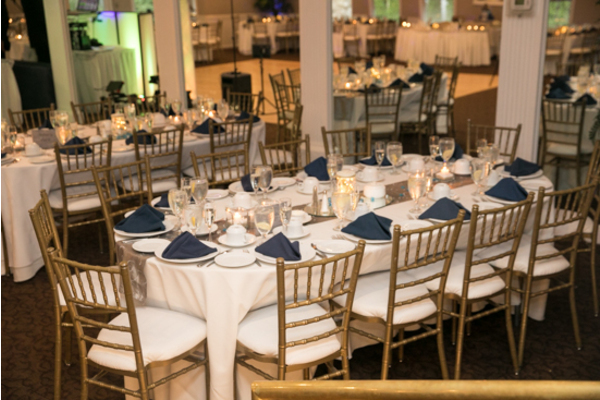 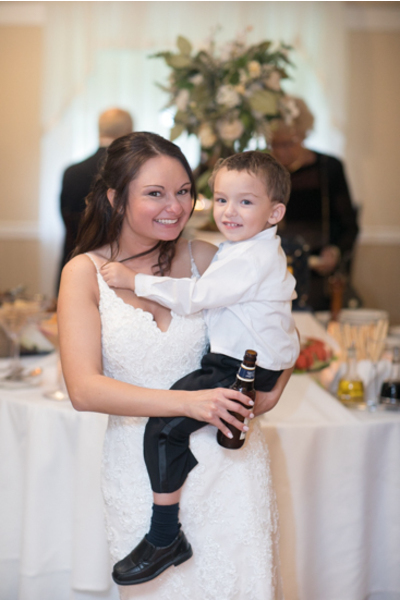 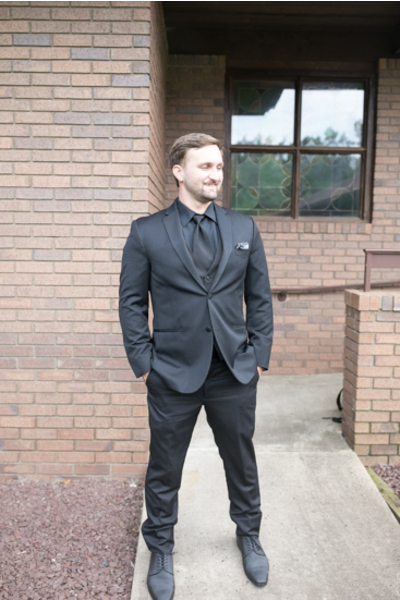 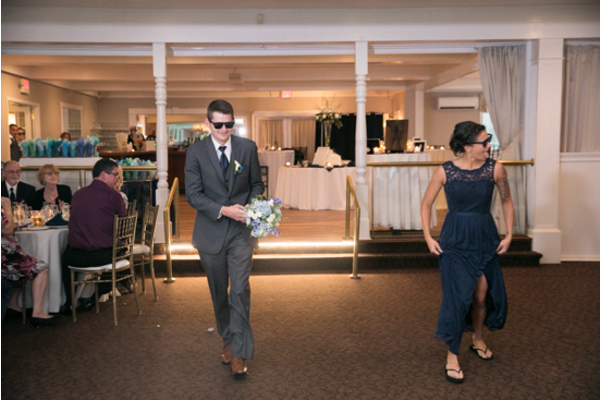 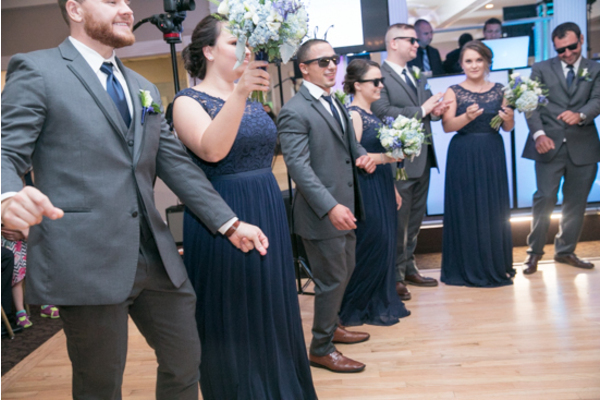 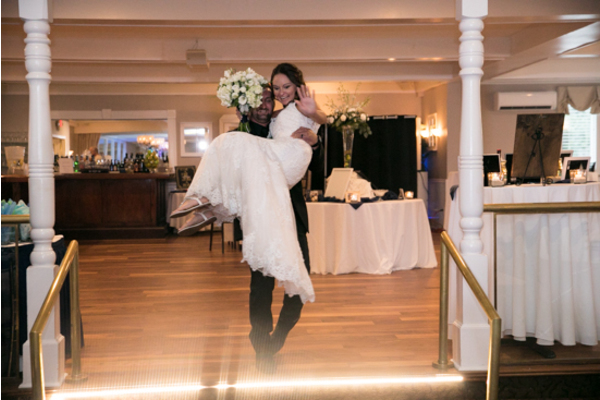 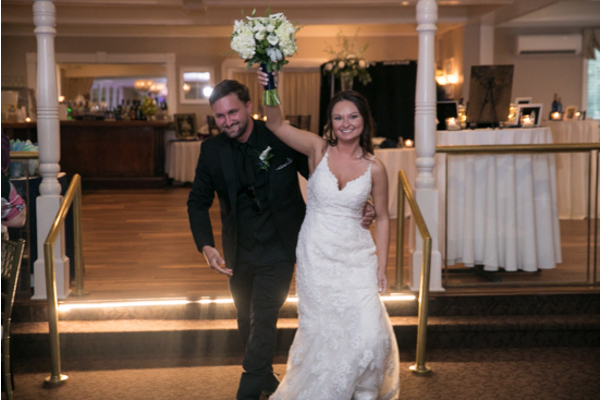 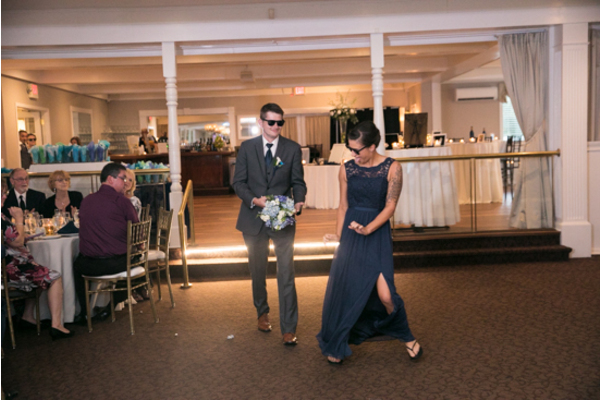 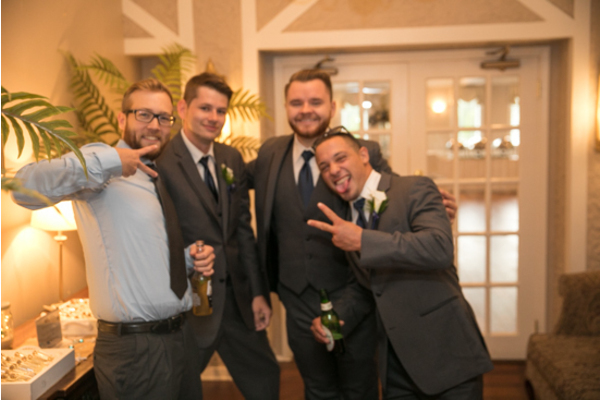 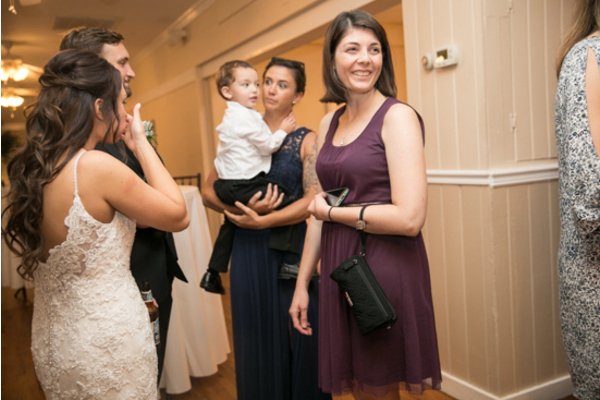 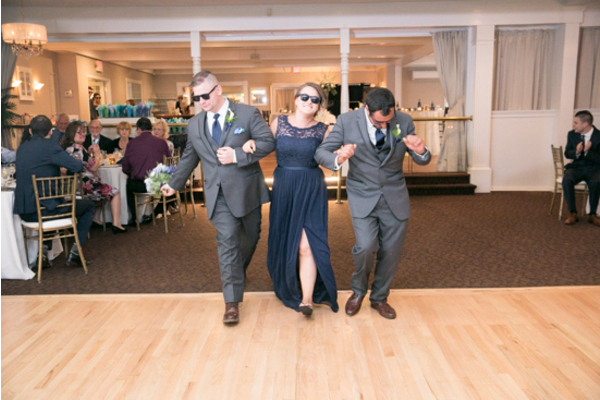 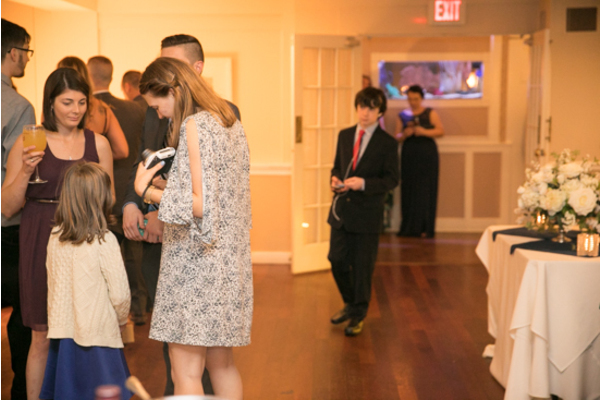 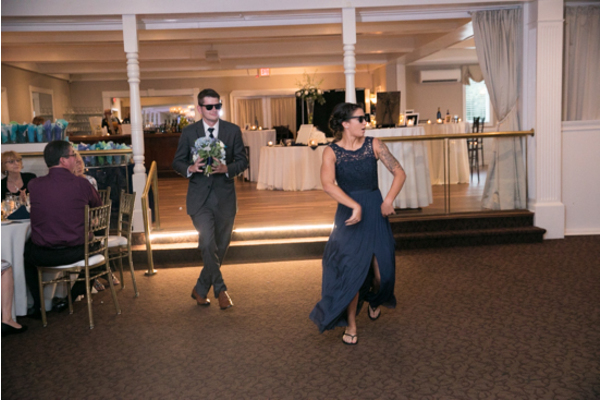 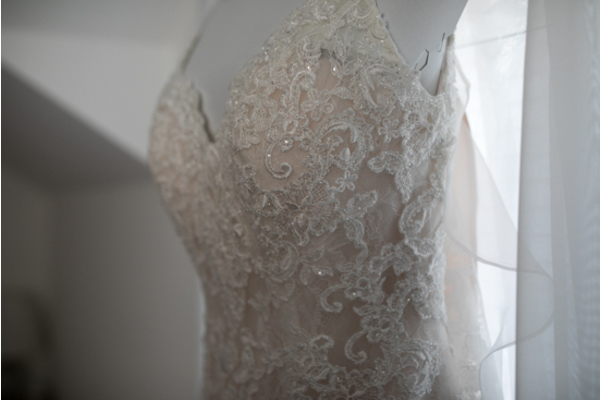 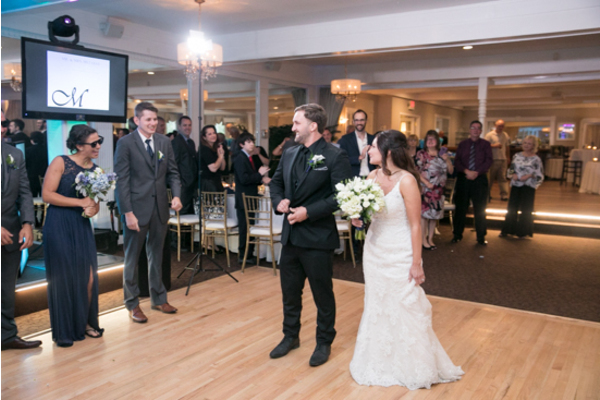 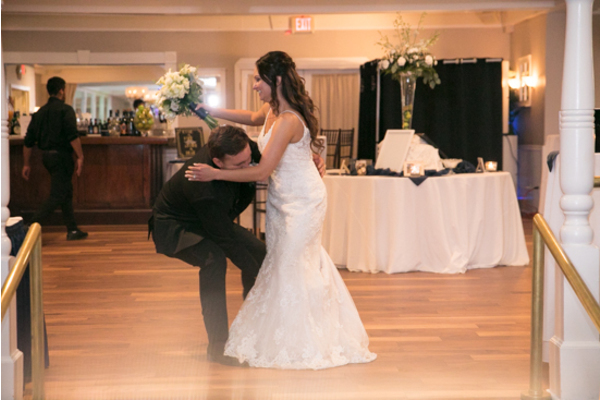 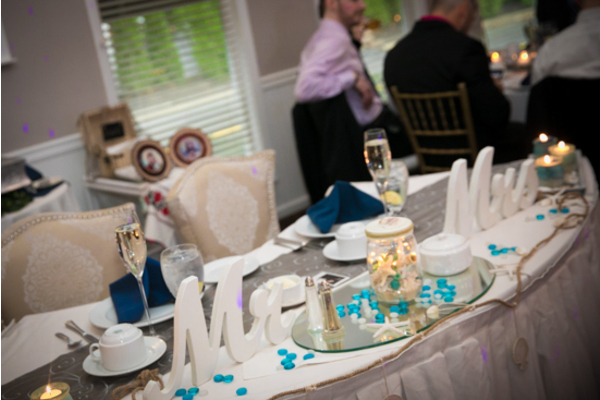 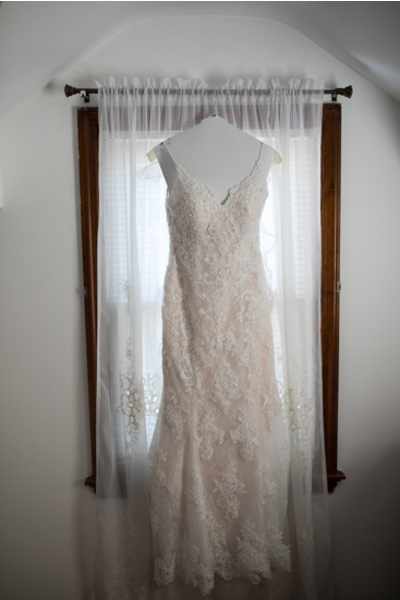 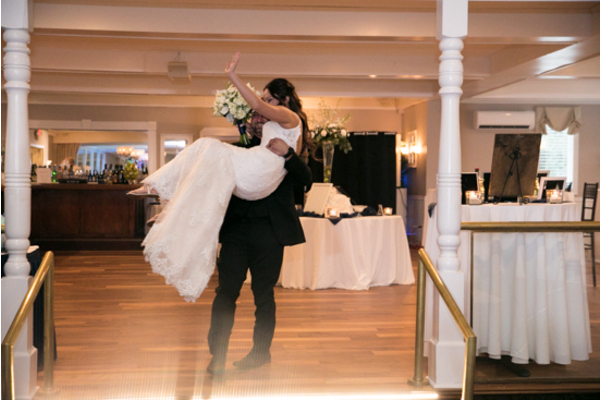 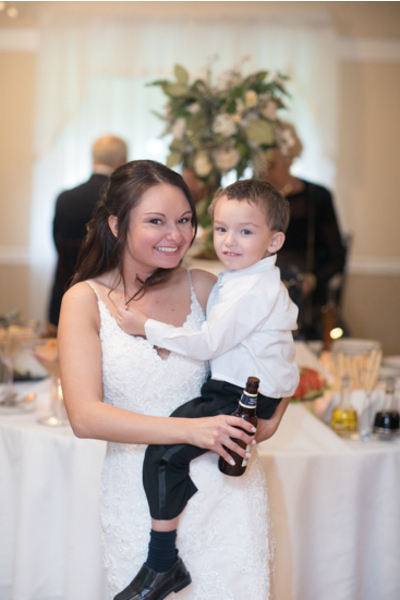 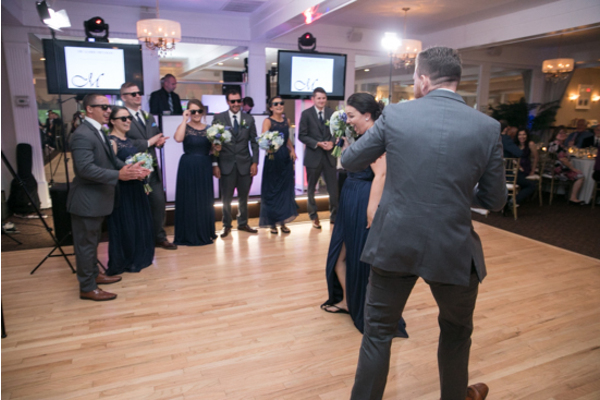 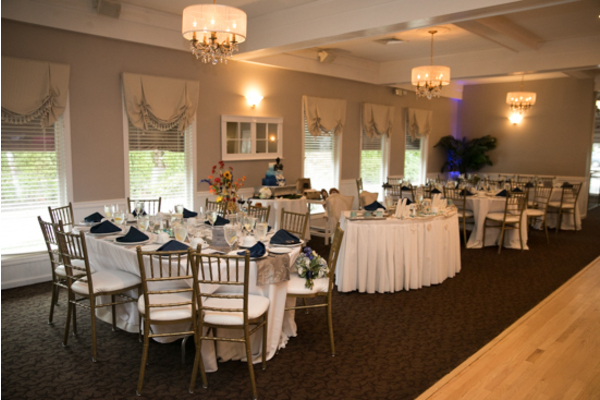 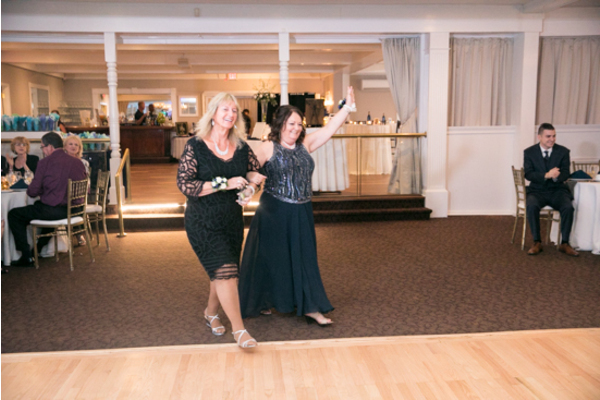 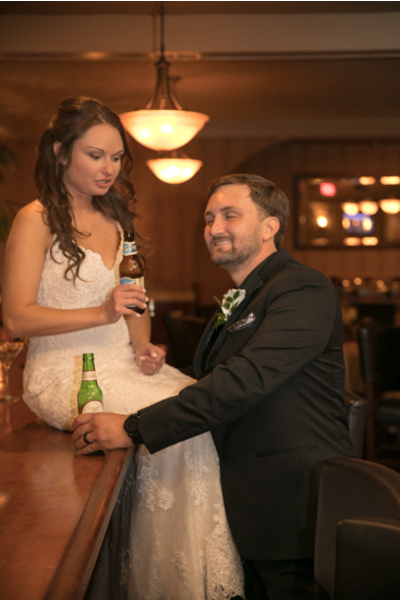 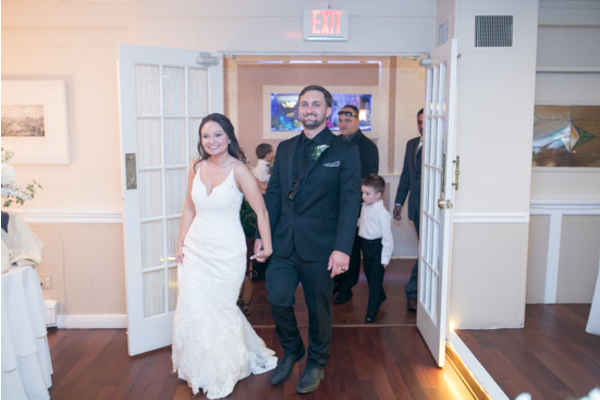 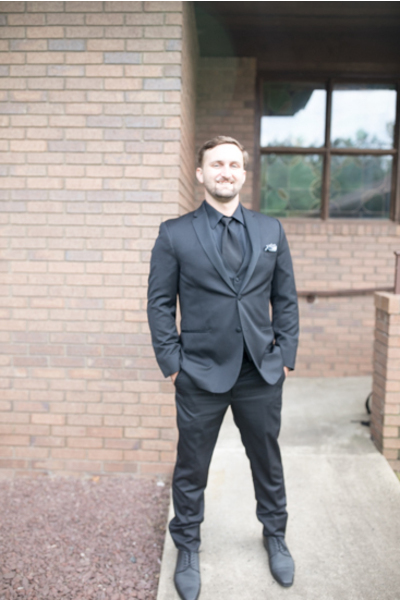 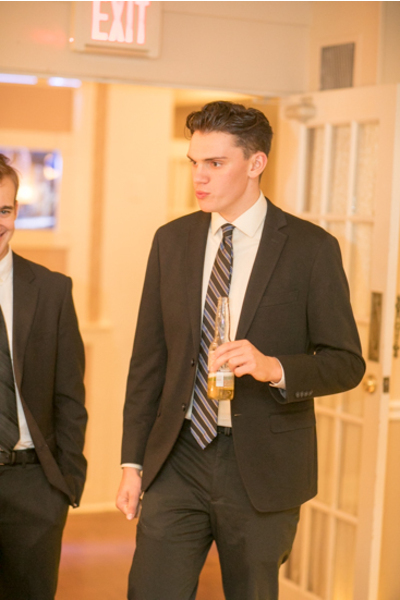 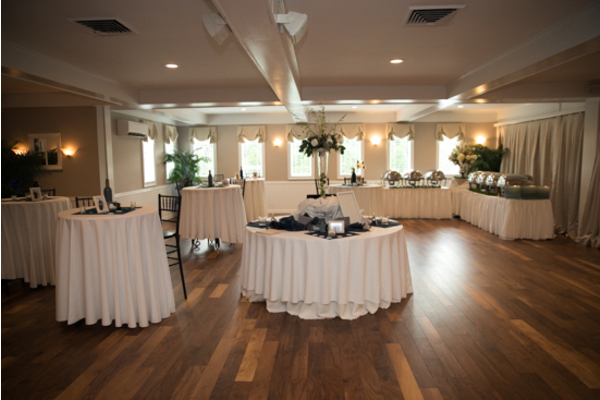 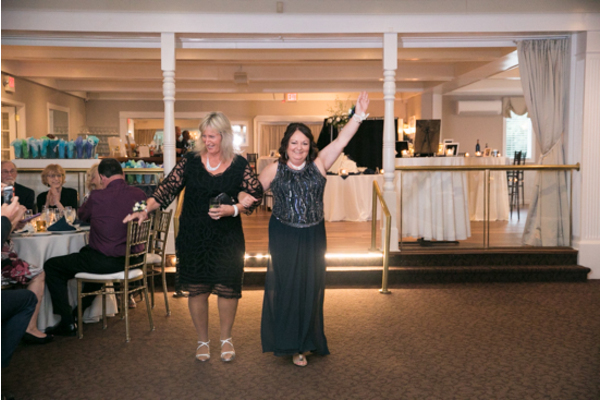 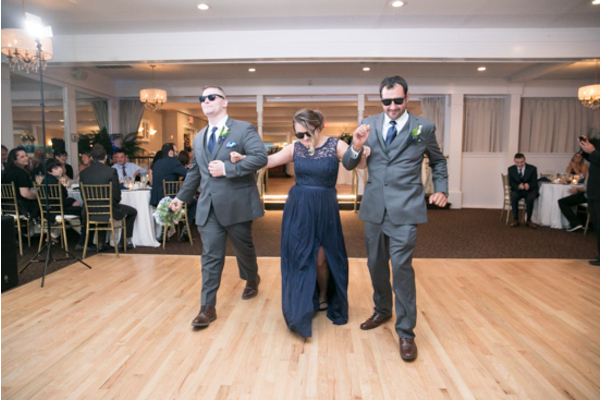 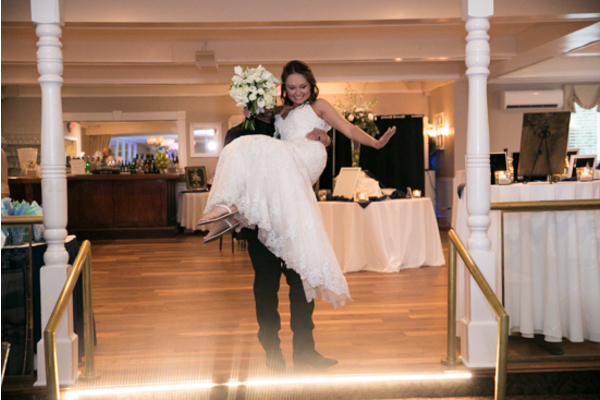 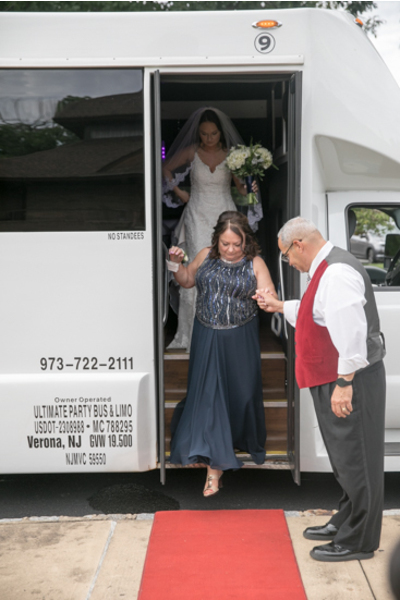 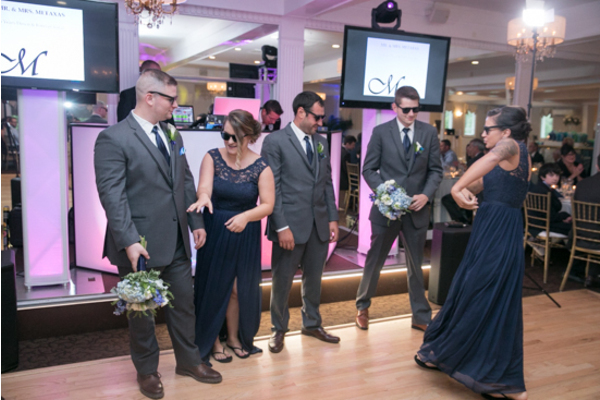 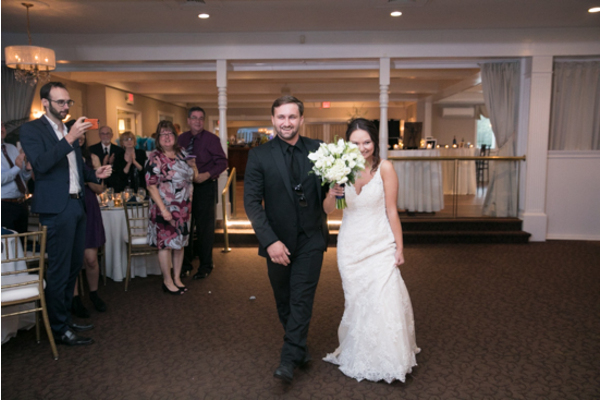 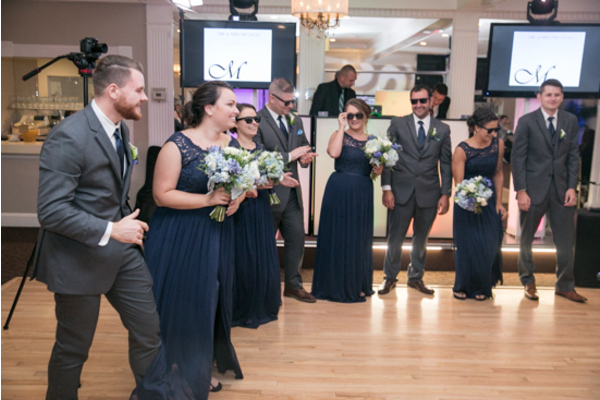 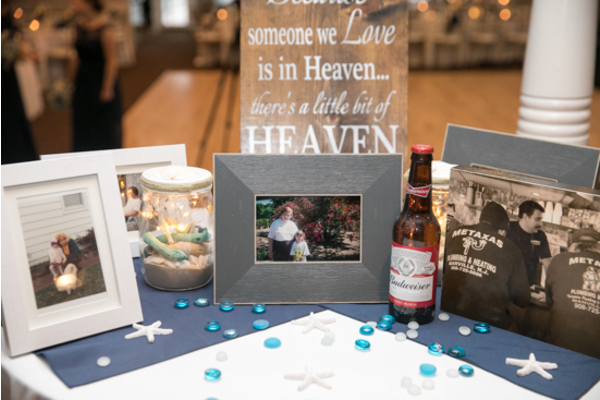 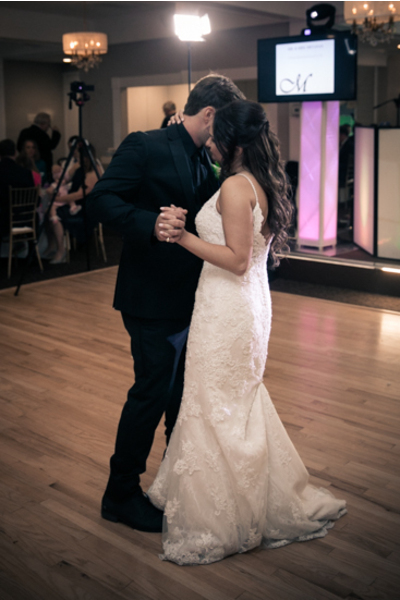 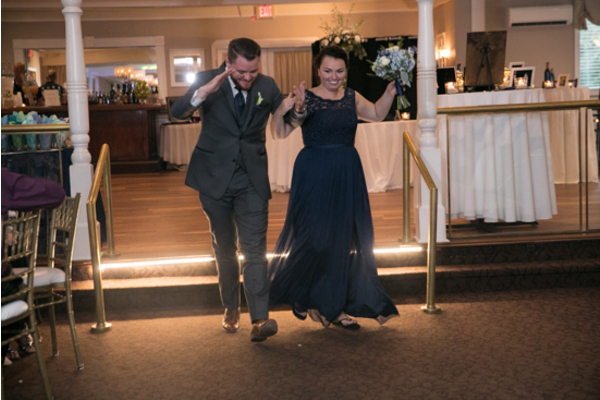 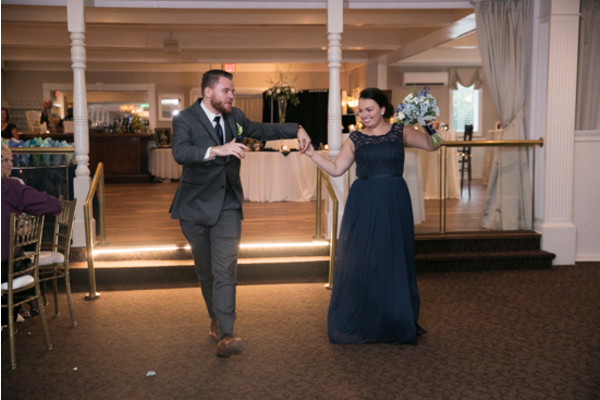 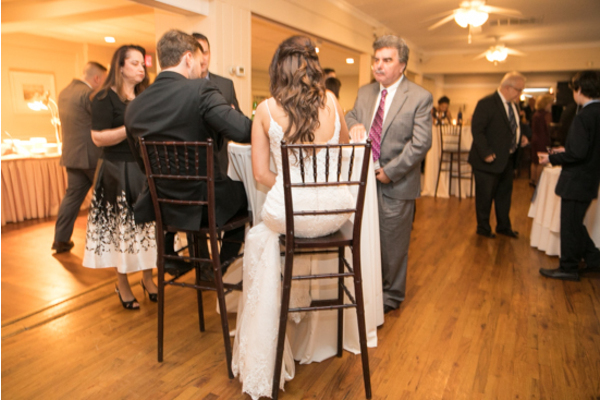 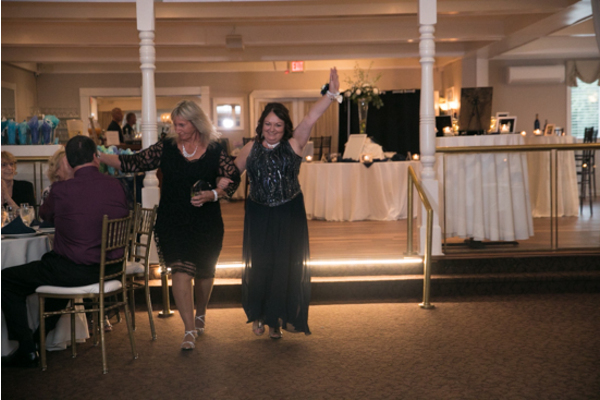 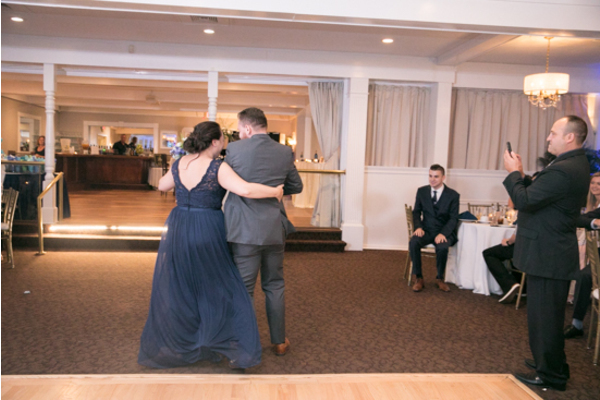 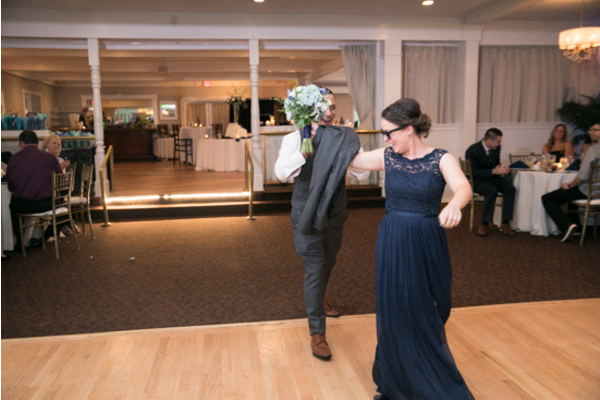 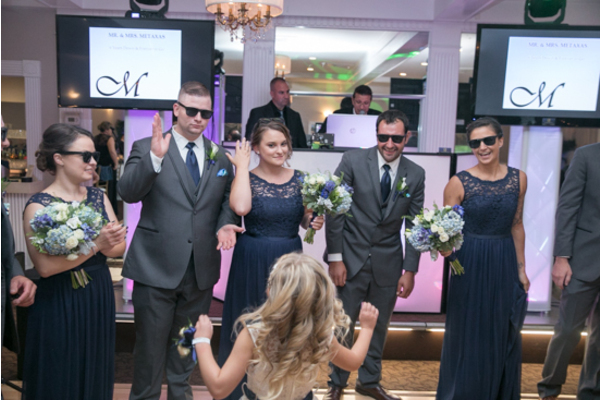 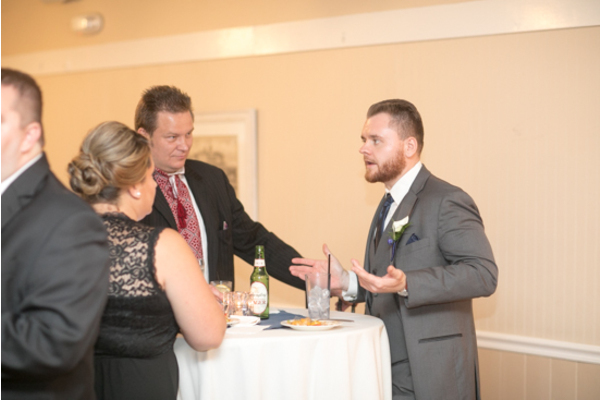 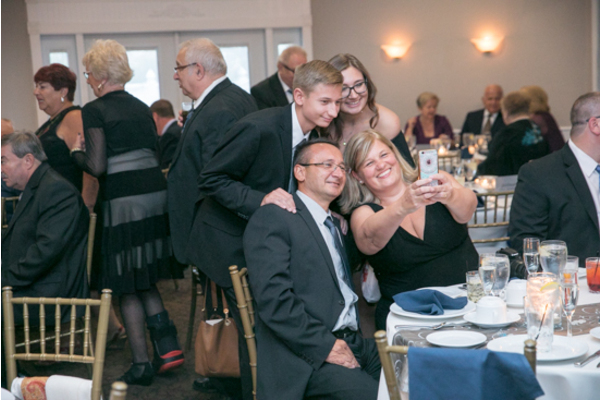 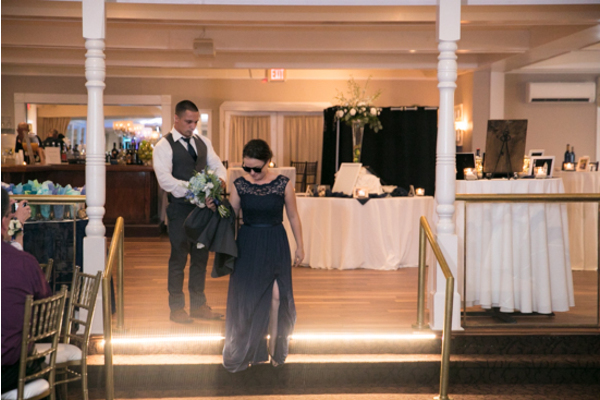 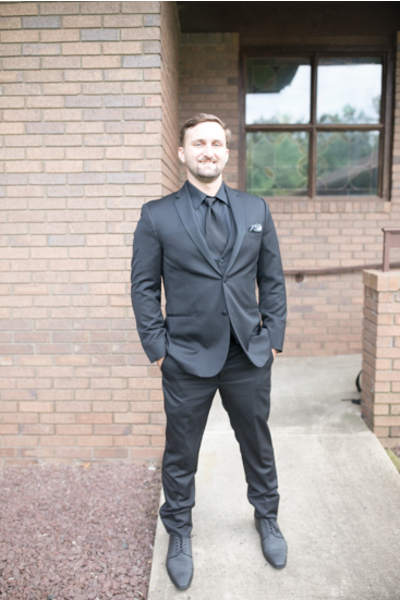 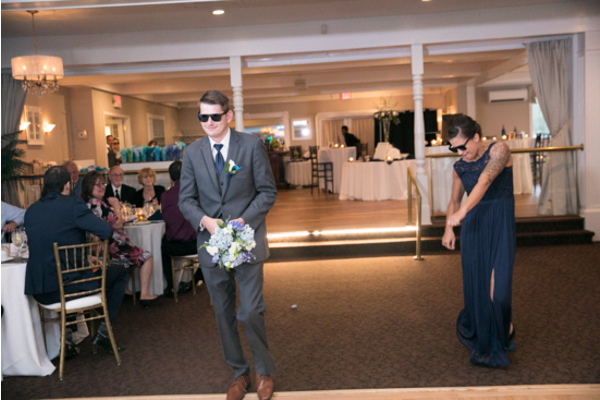 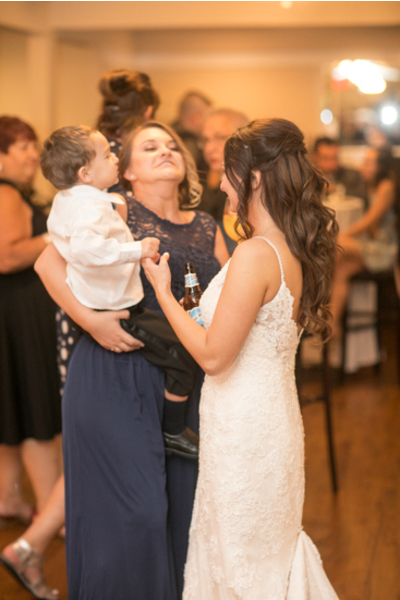 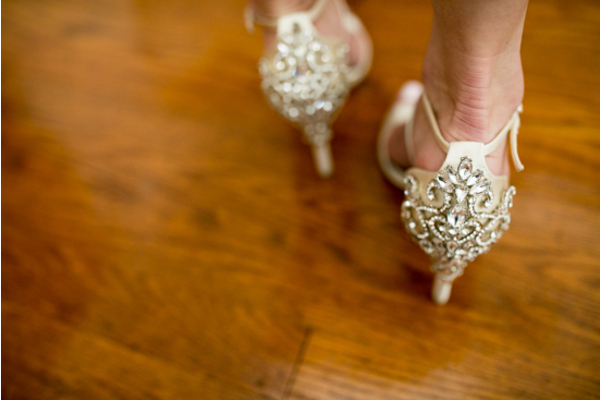 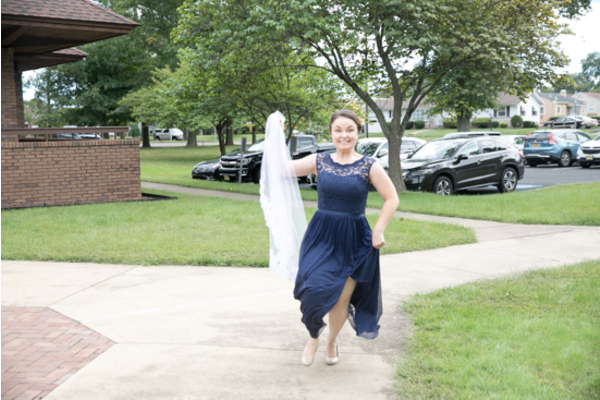 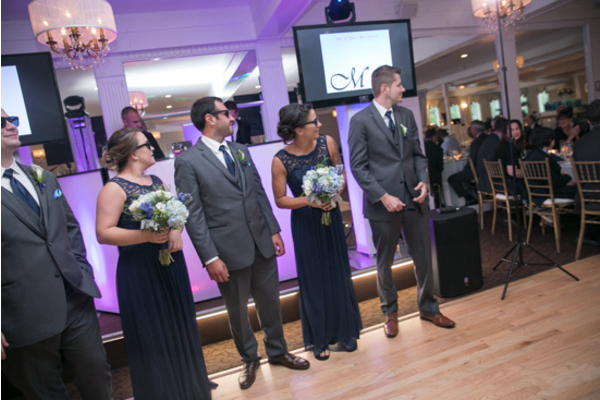 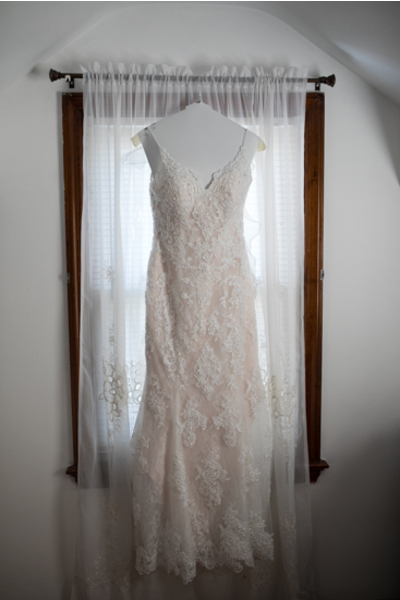 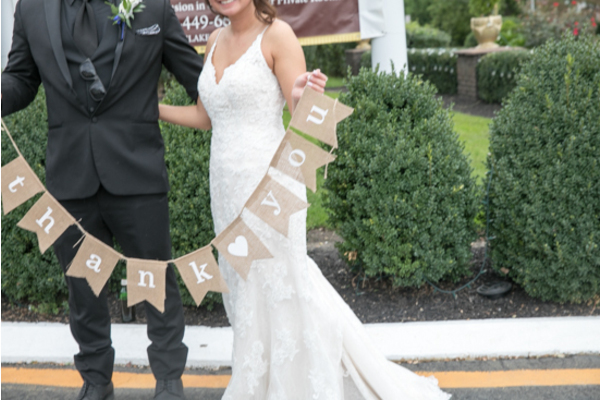 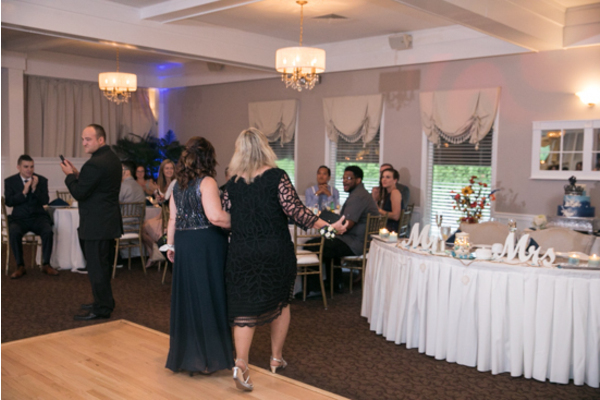 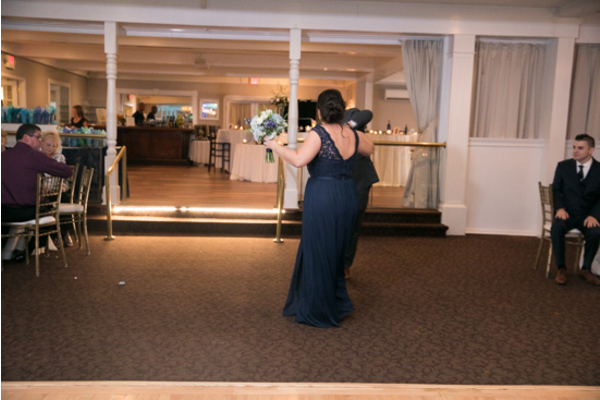 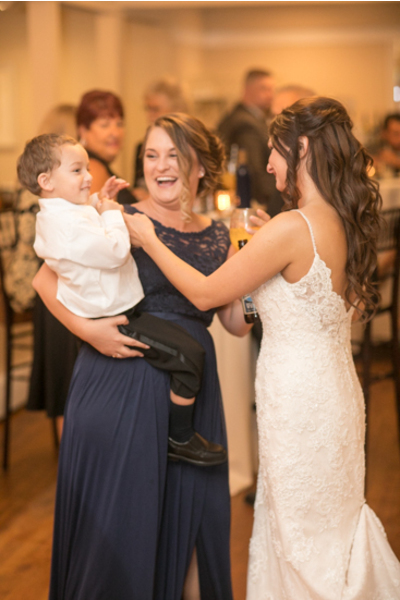 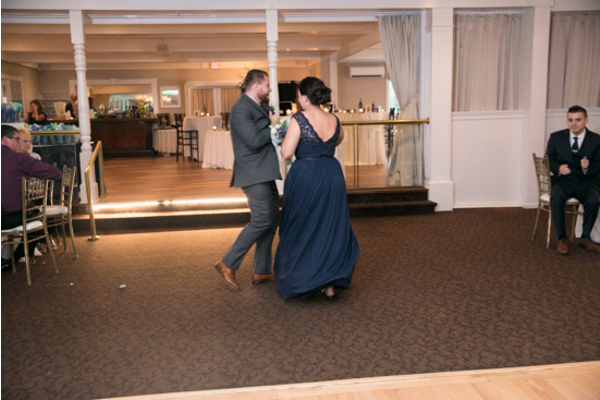 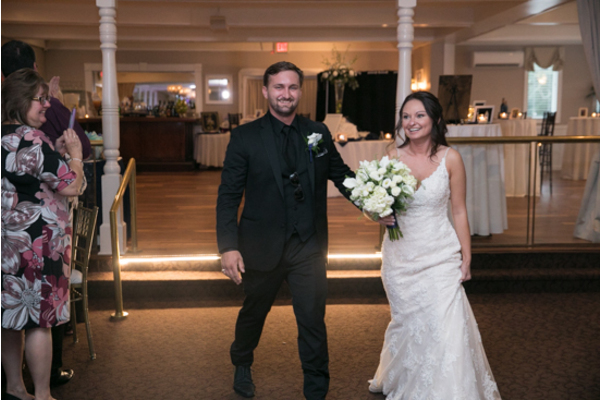 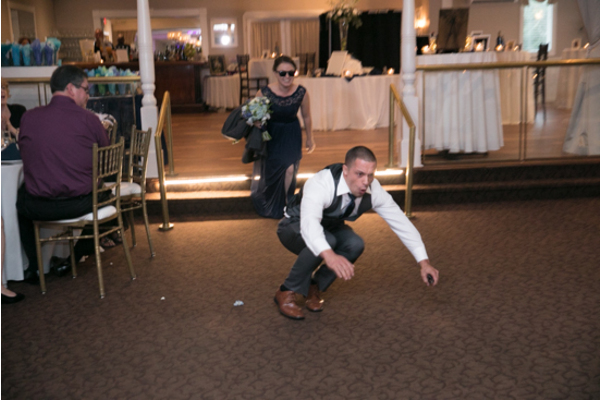 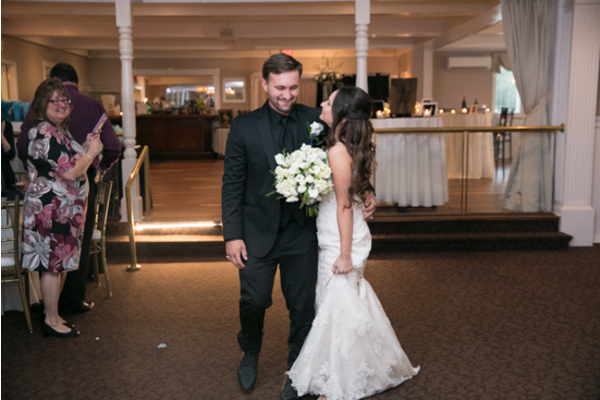 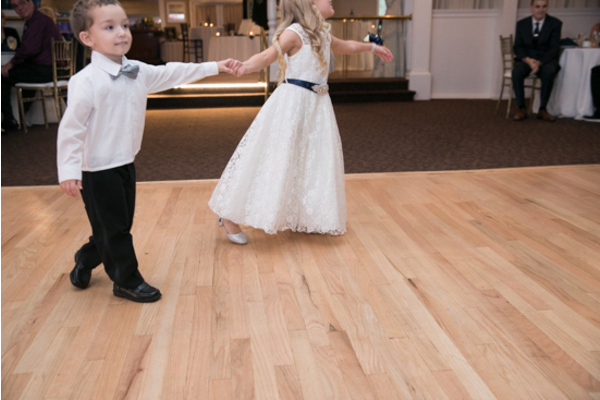 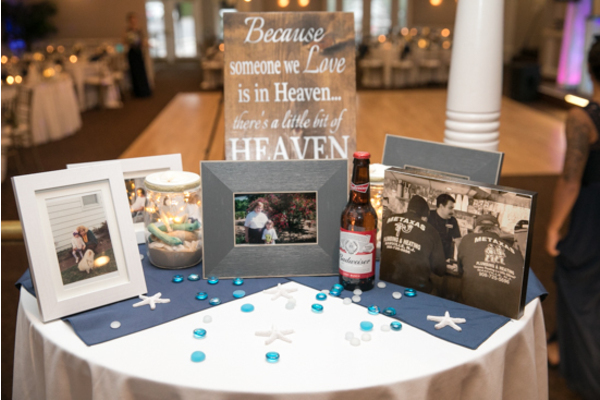 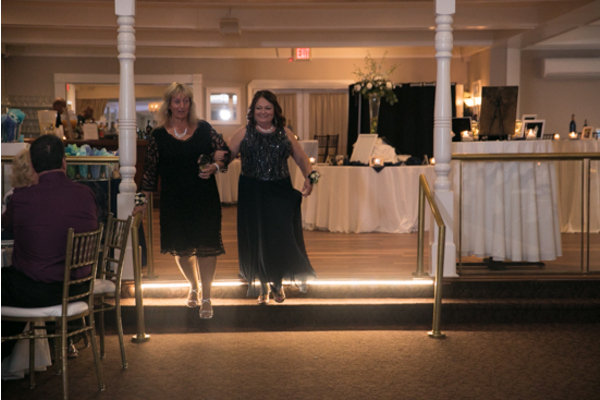 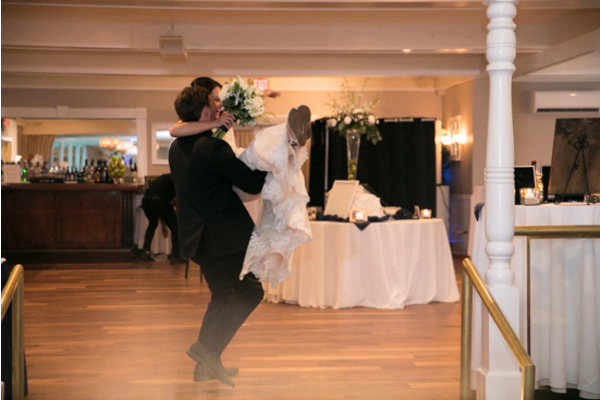 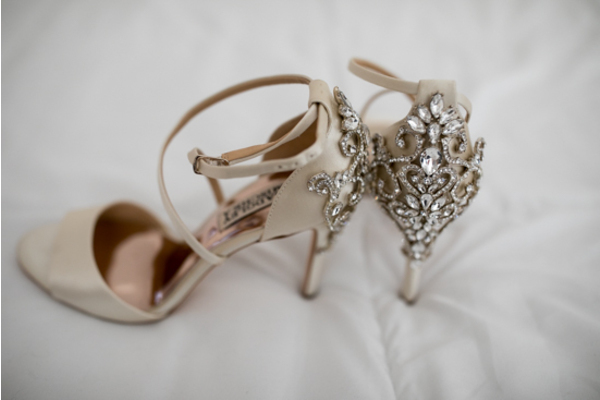 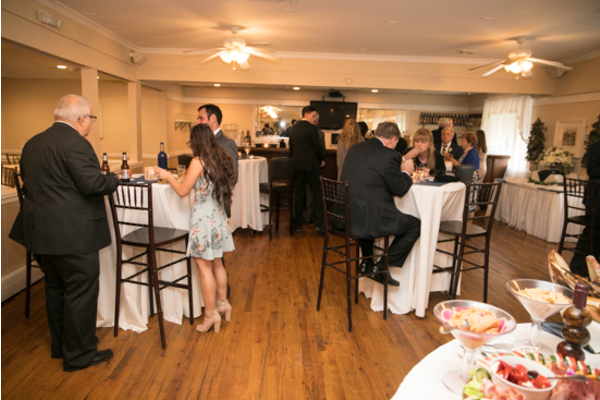 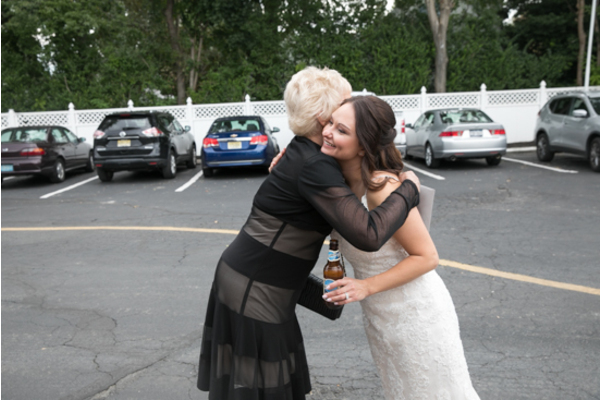 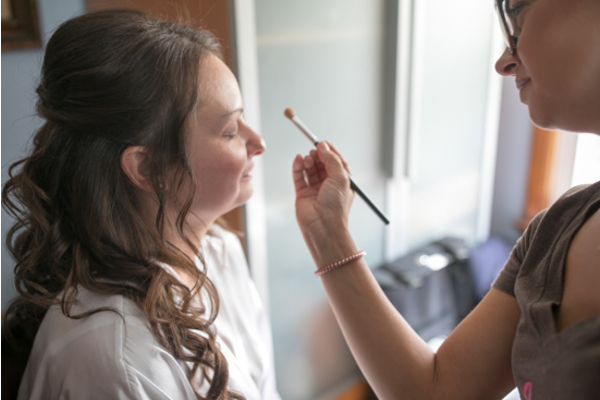 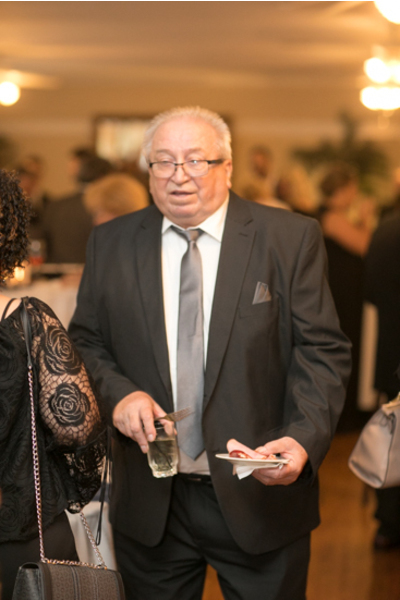 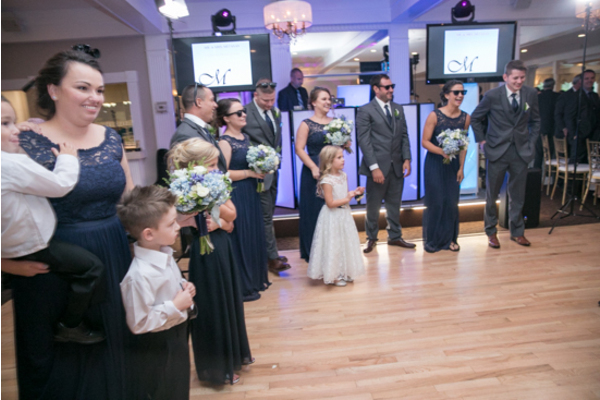 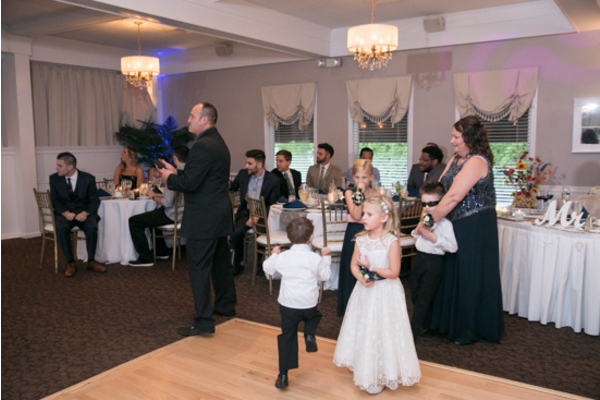 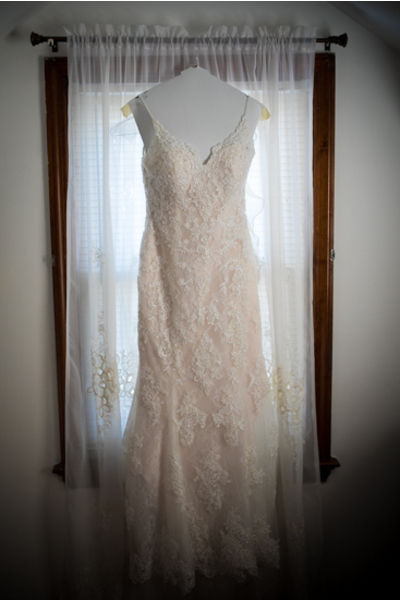 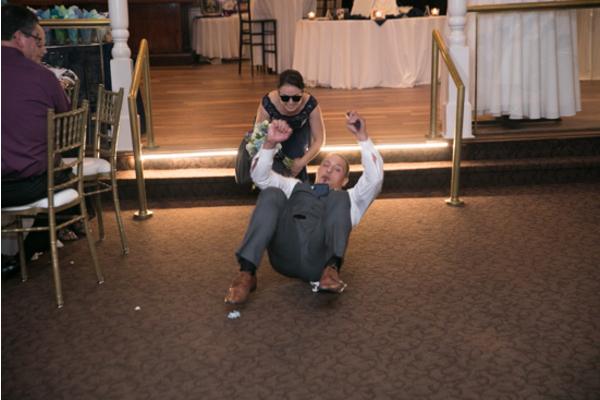 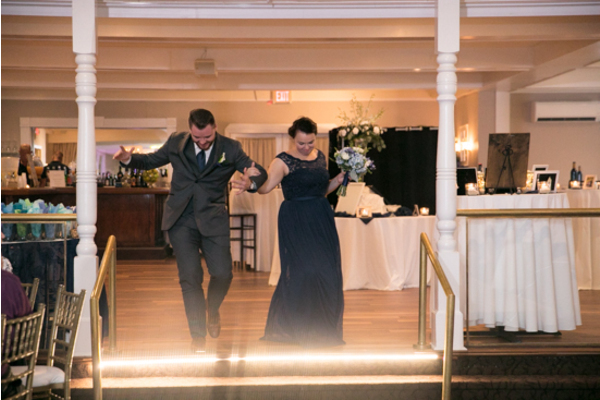 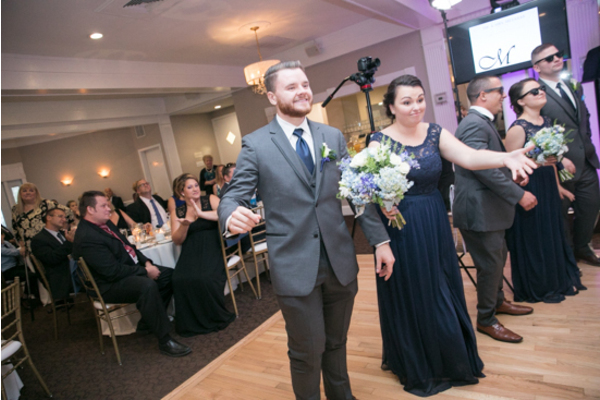 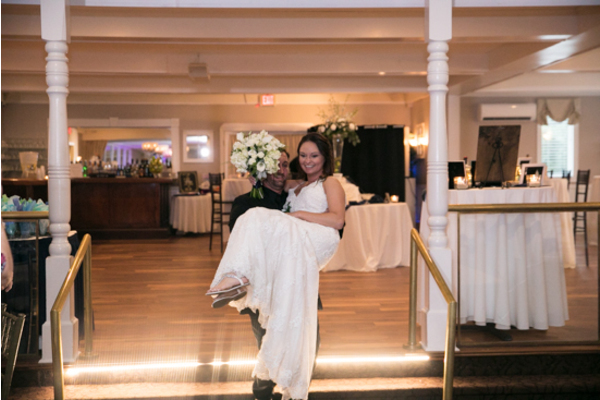 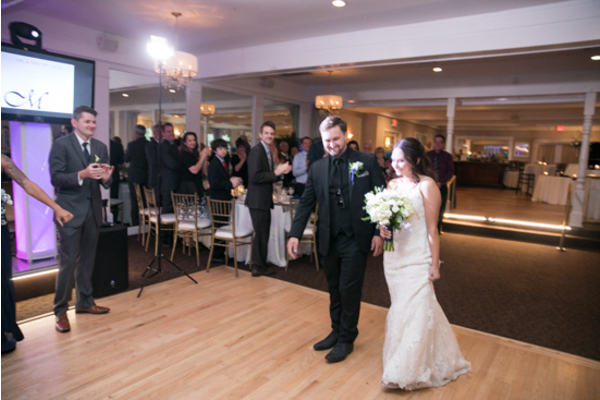 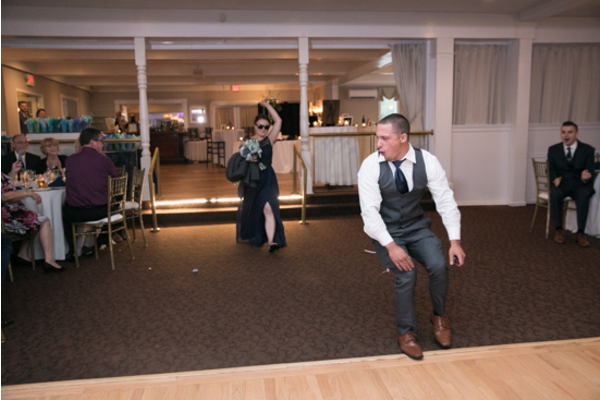 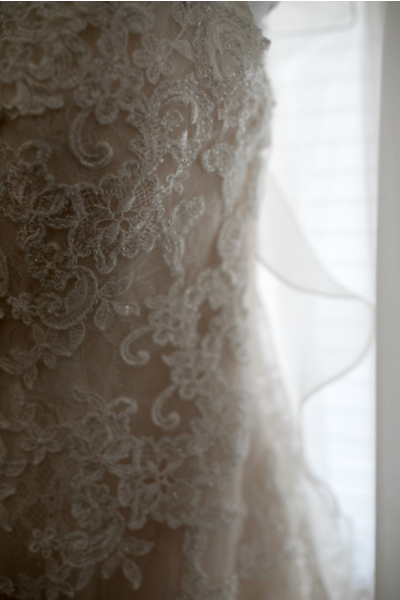 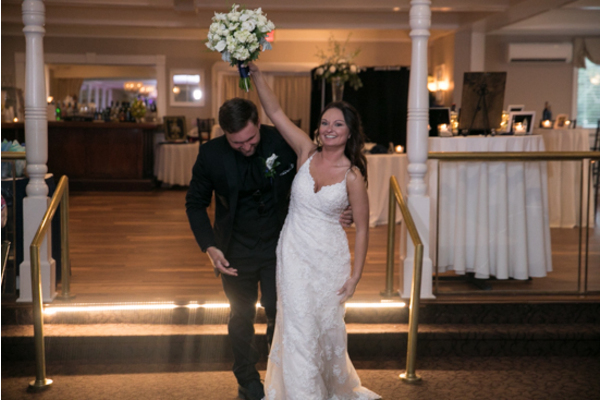 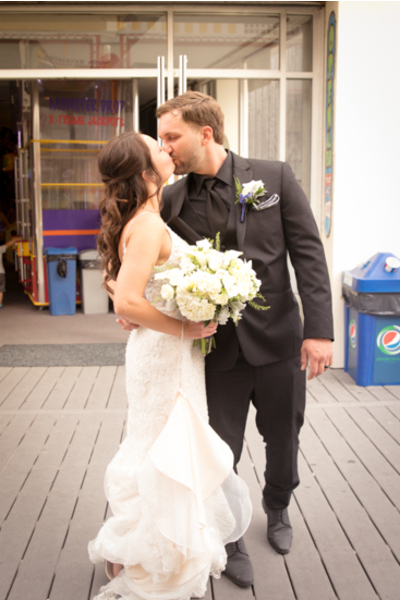 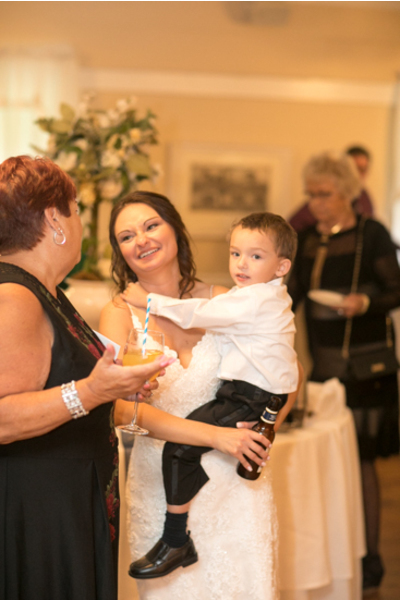 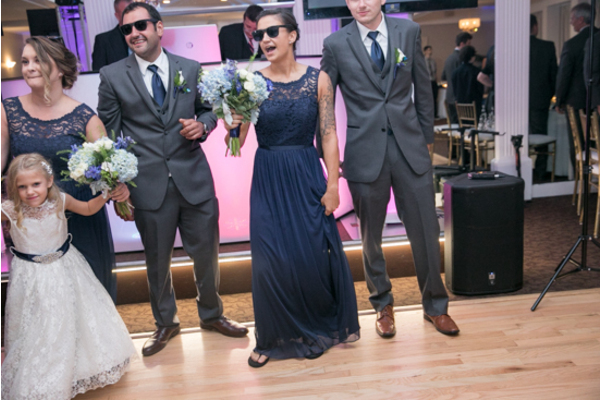 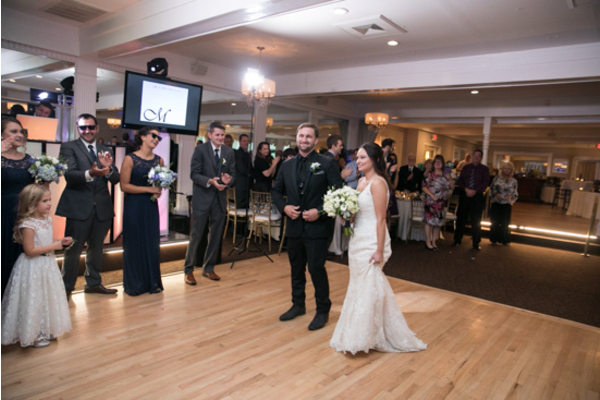 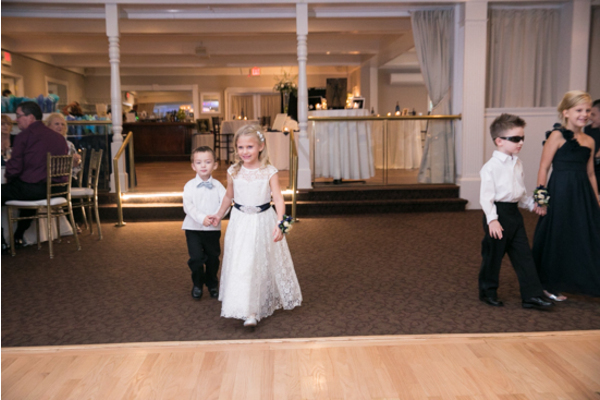 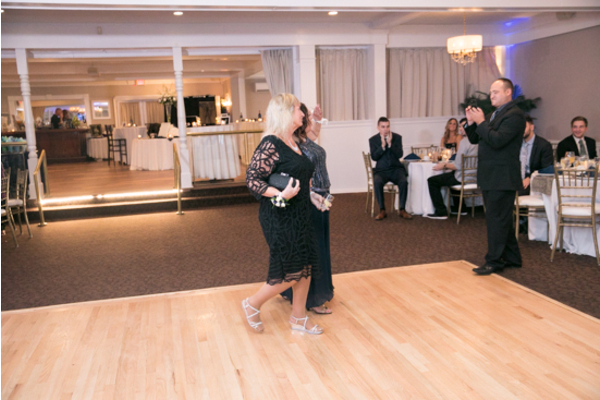 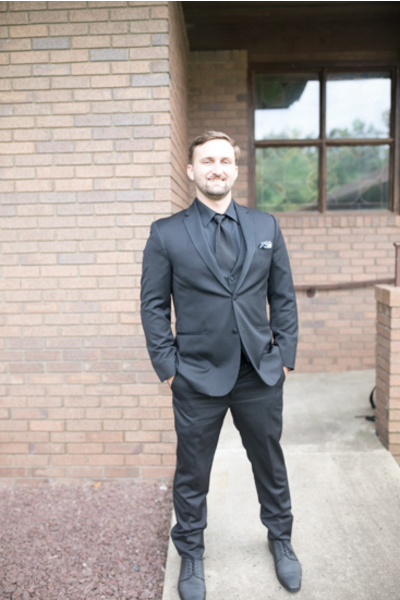 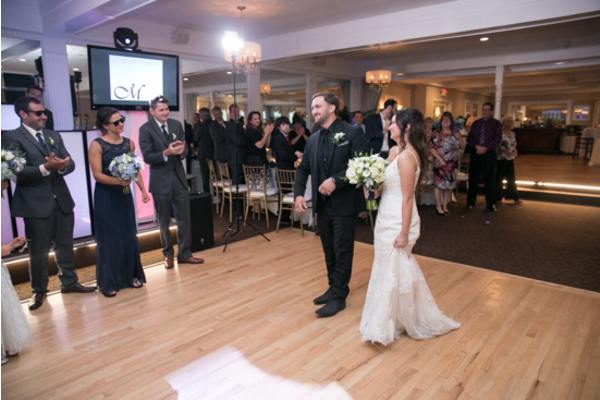 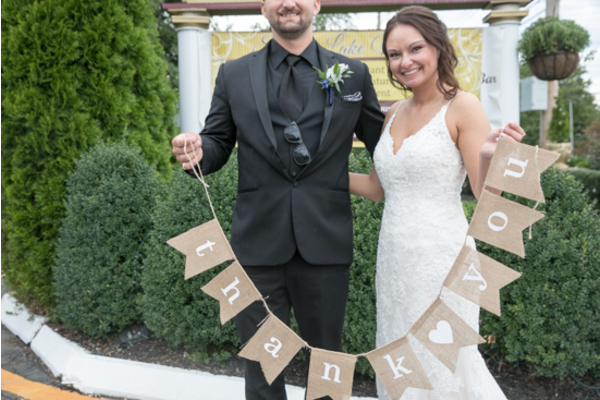 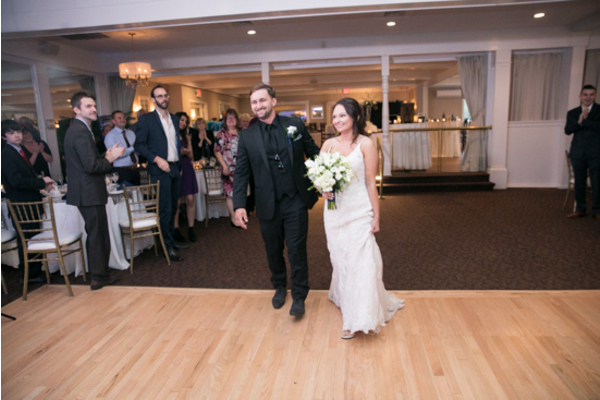 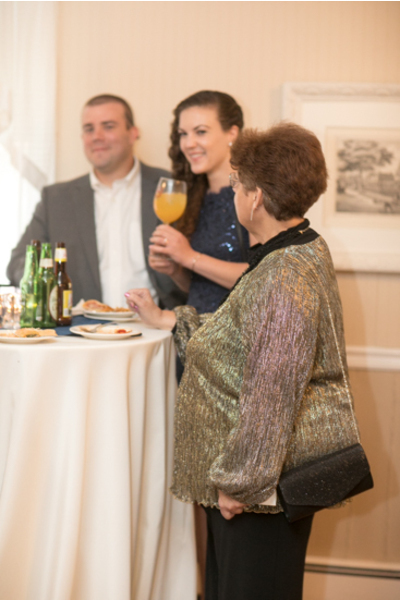 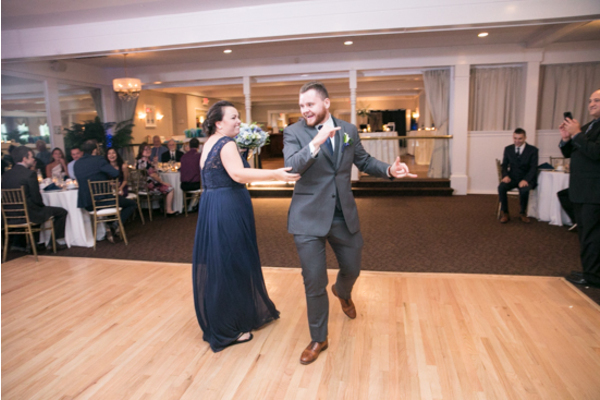 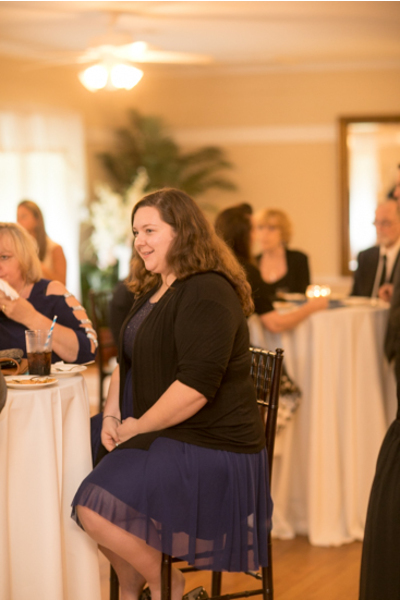 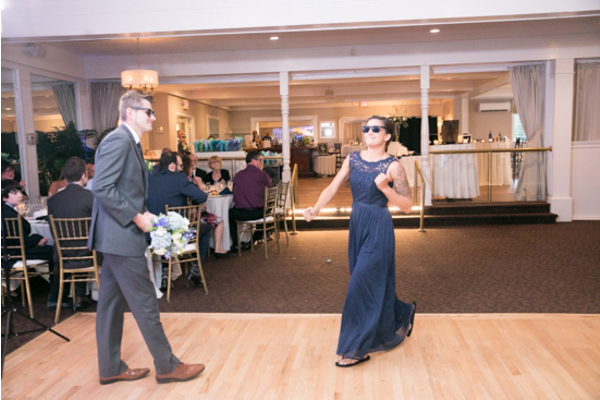 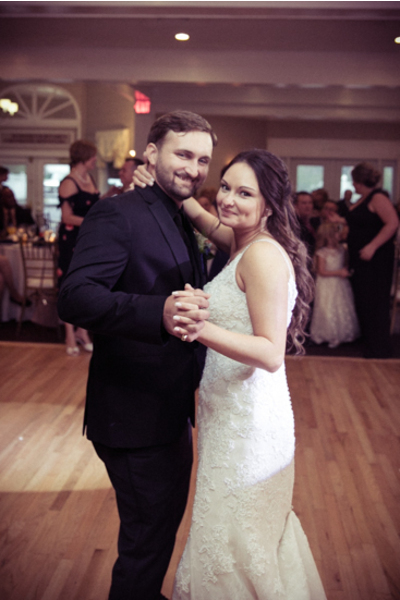 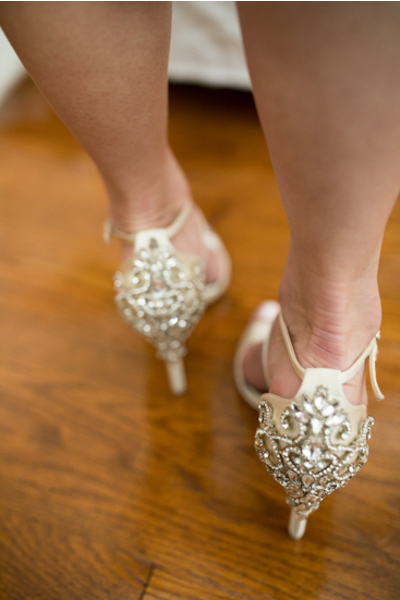 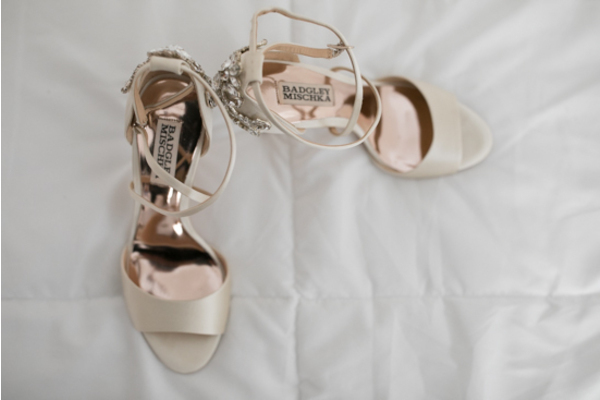 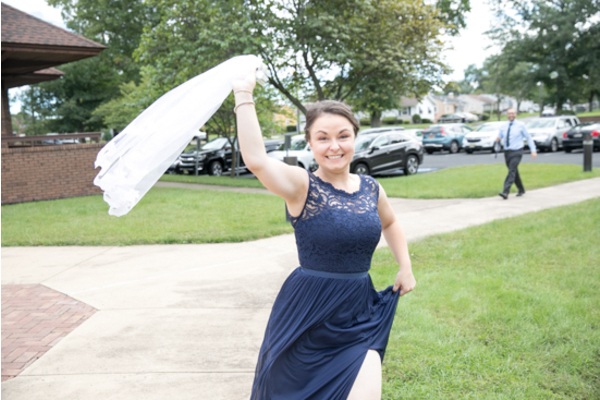 Guest danced the night away as our NJ Wedding Photographer captured it all! 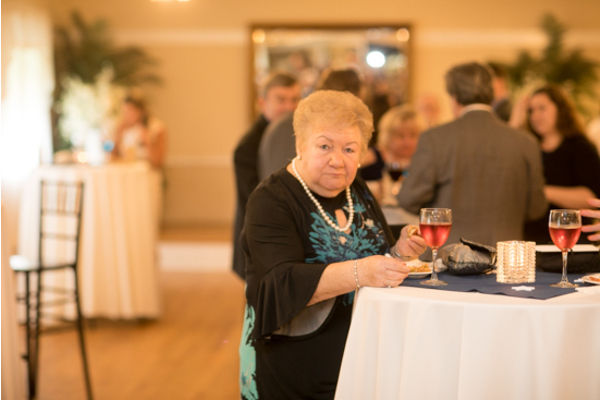 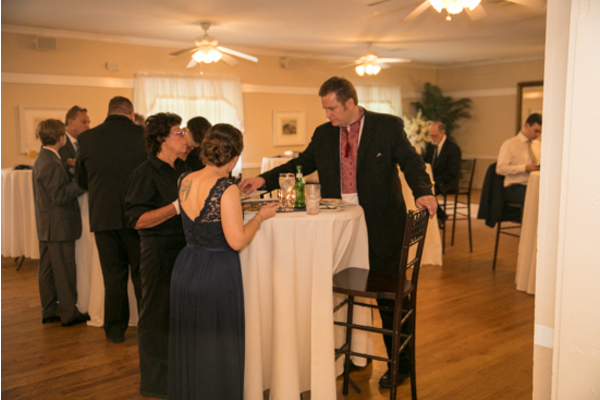 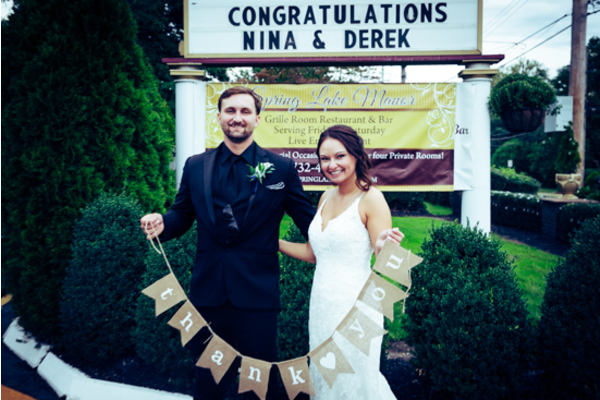 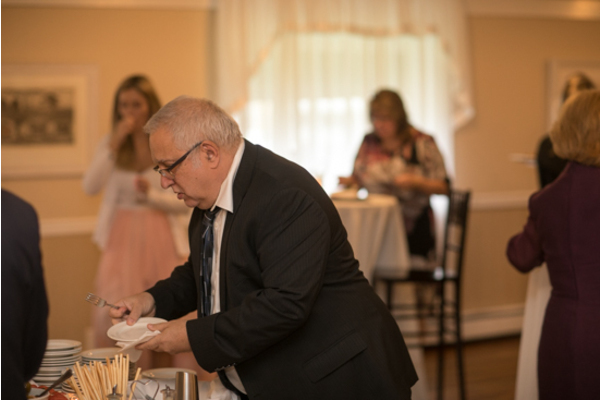 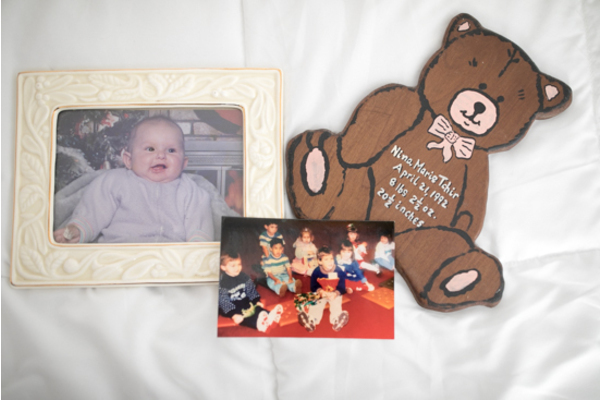 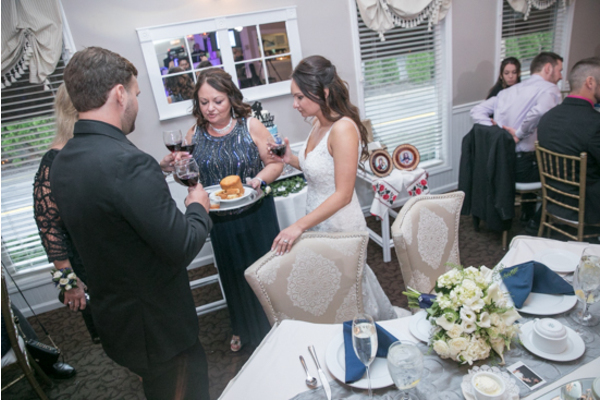 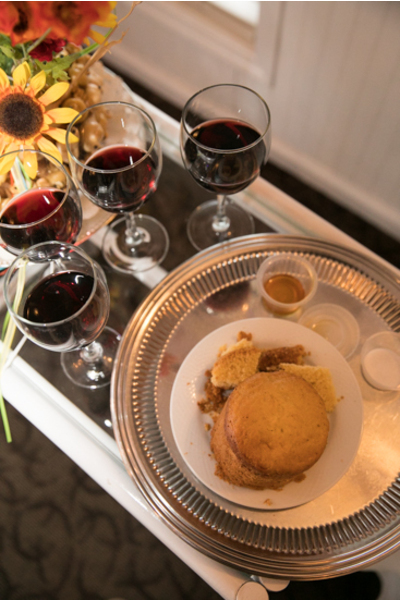 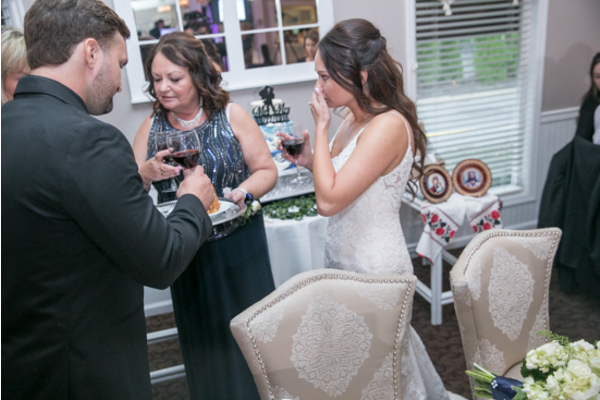 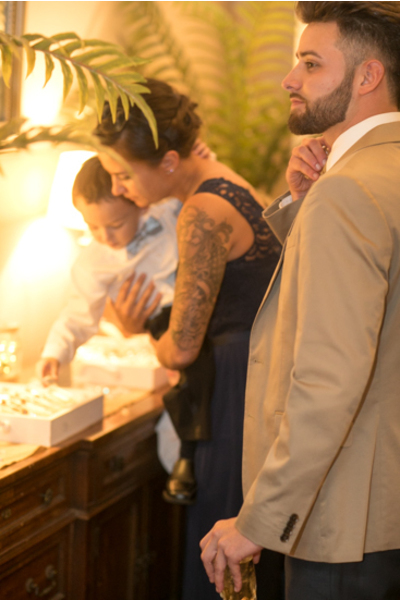 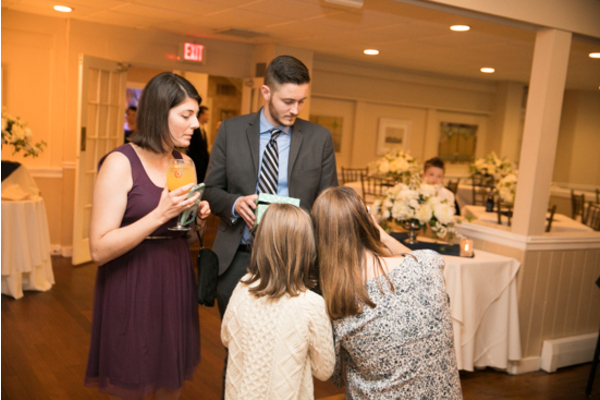 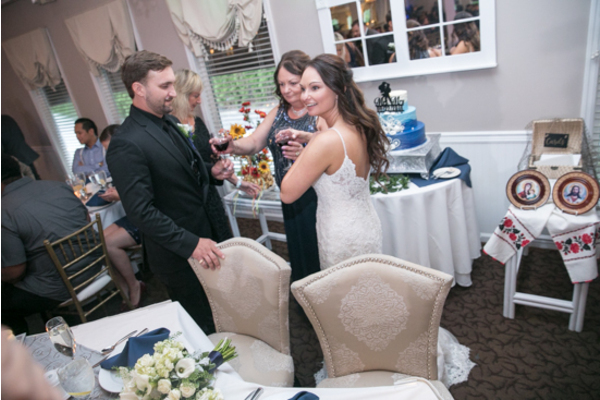 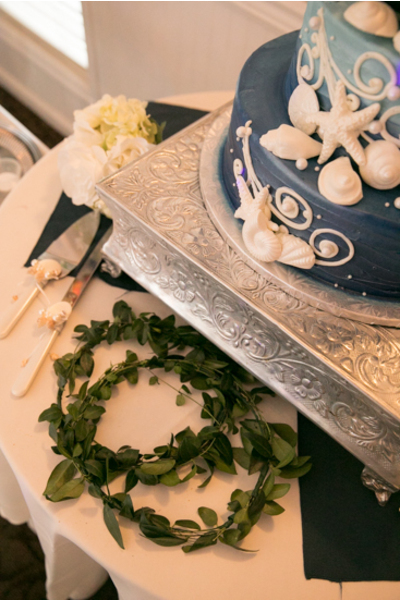 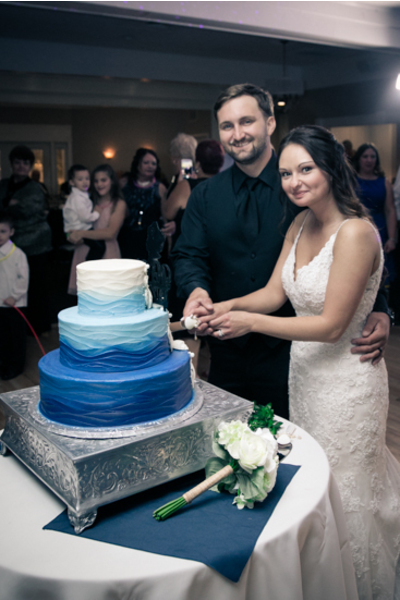 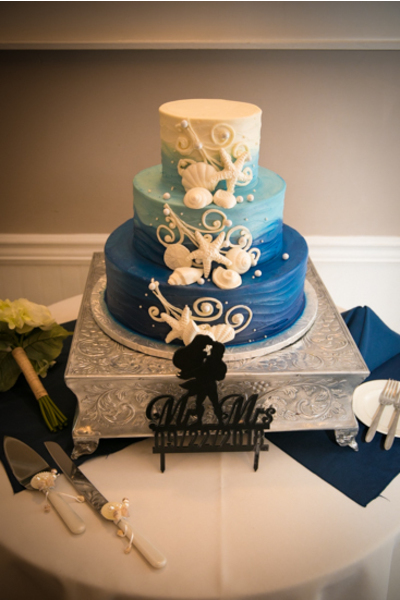 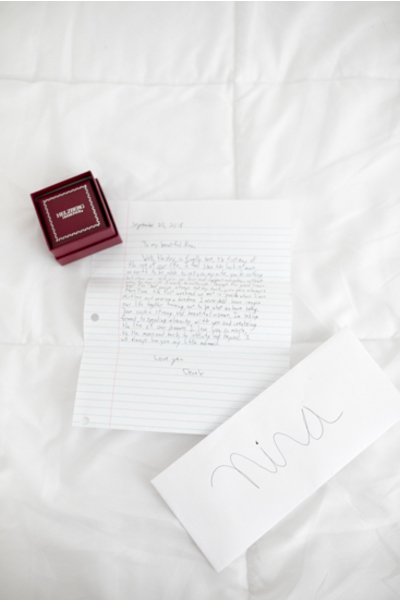 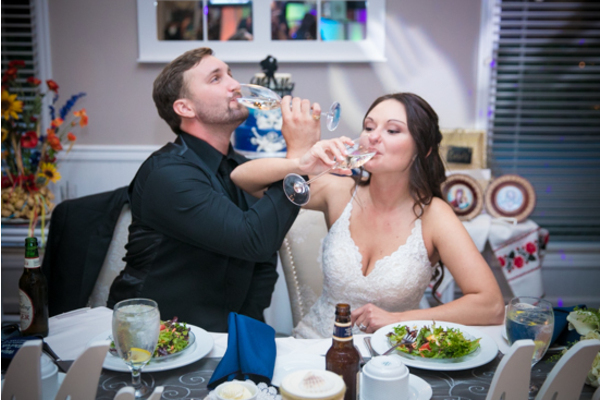 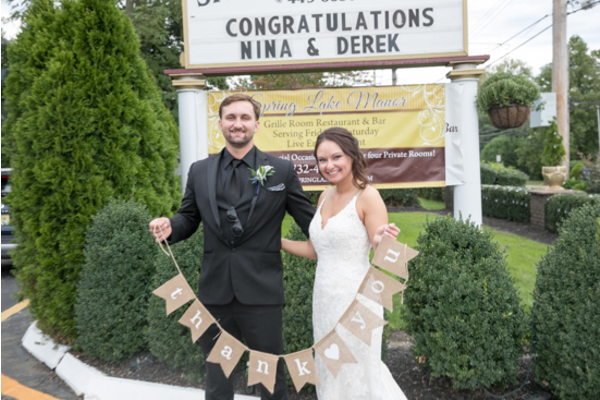 From the heartwarming toasts, to the cutting of their cake, Nina and Derek did not miss a single detail. 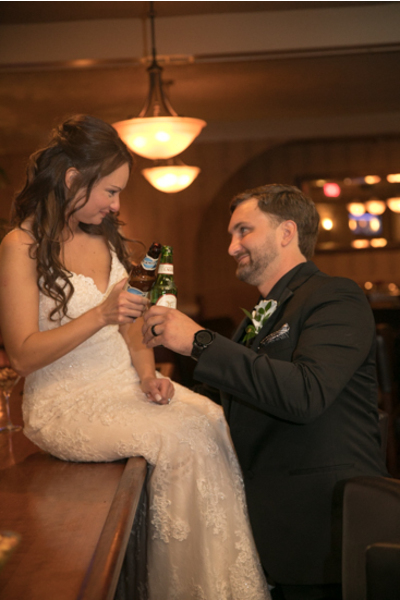 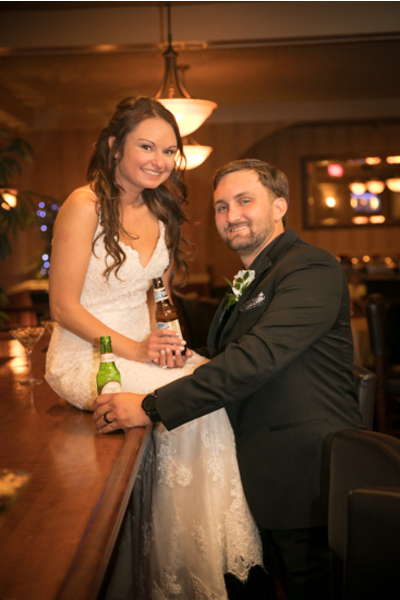 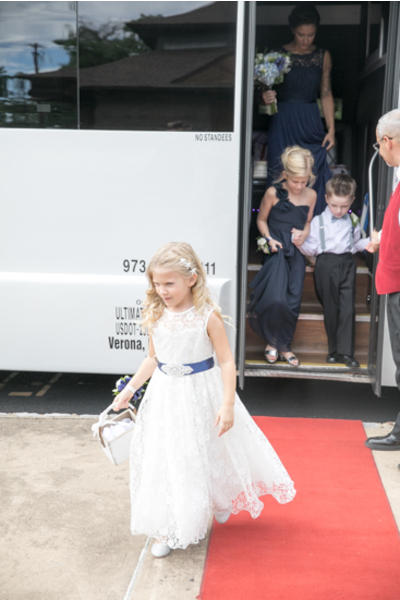 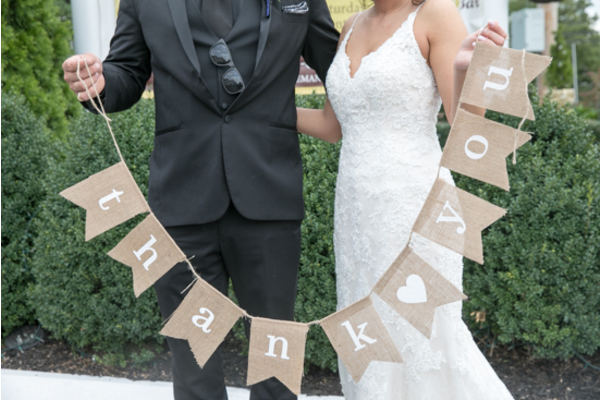 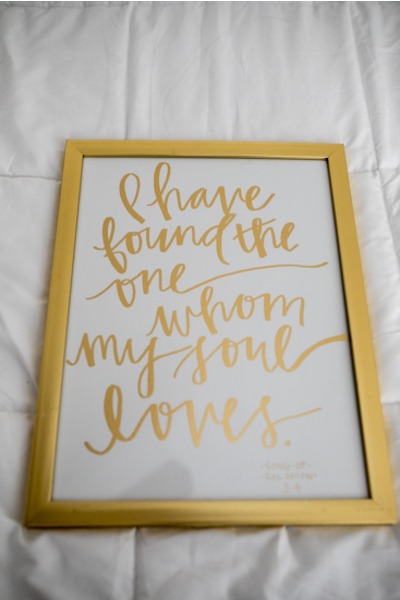 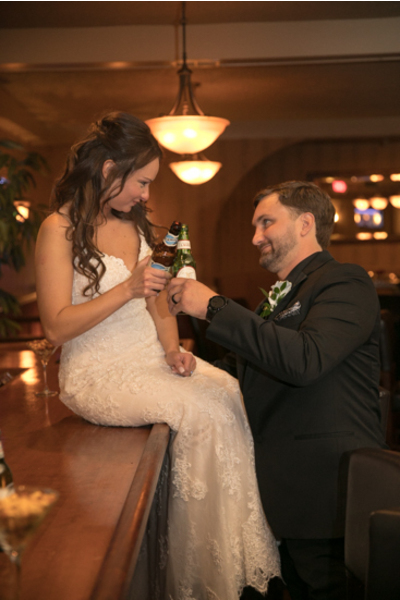 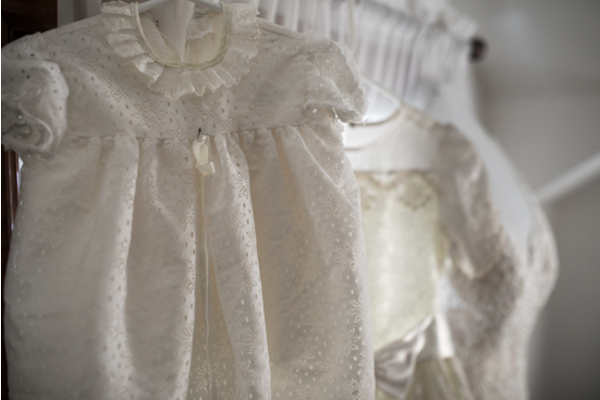 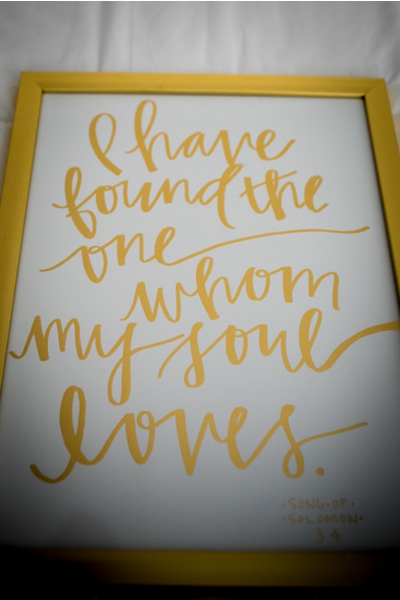 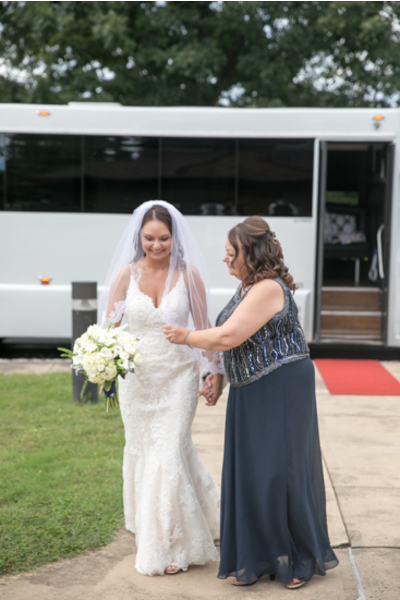 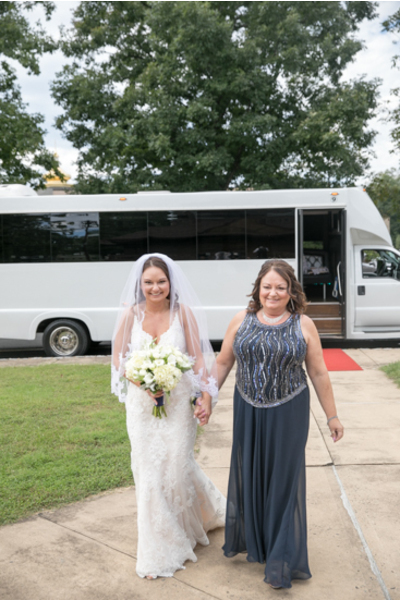 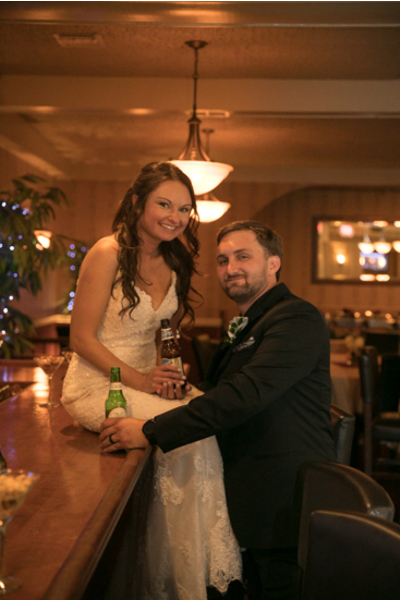 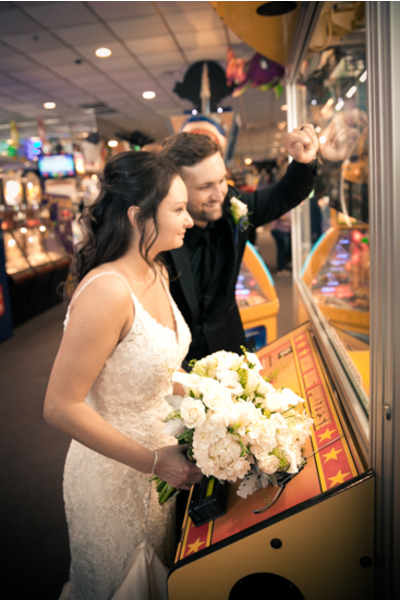 We are so happy to have been able to be apart of this special day! 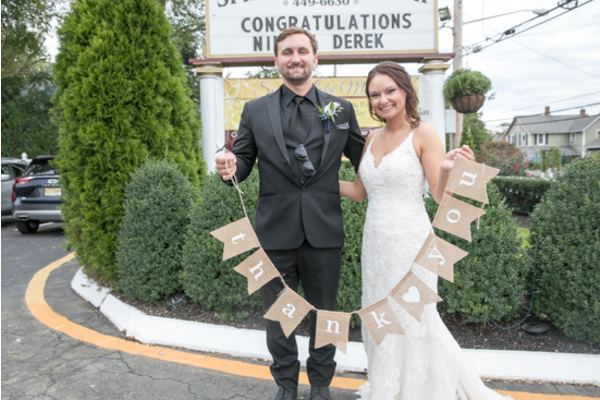 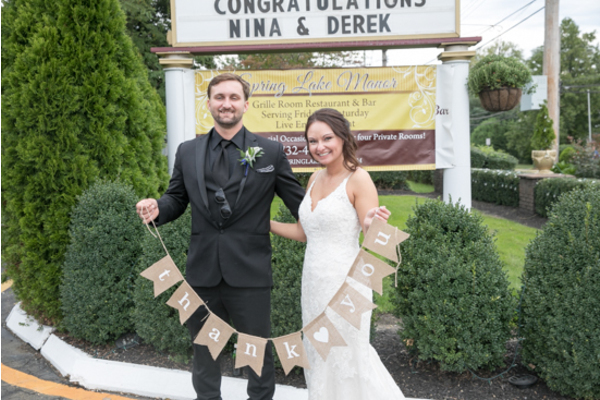 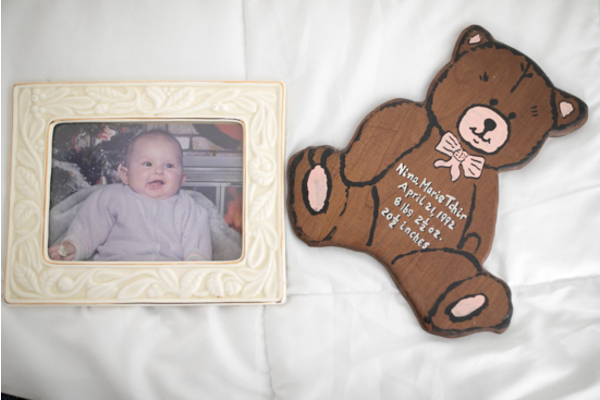 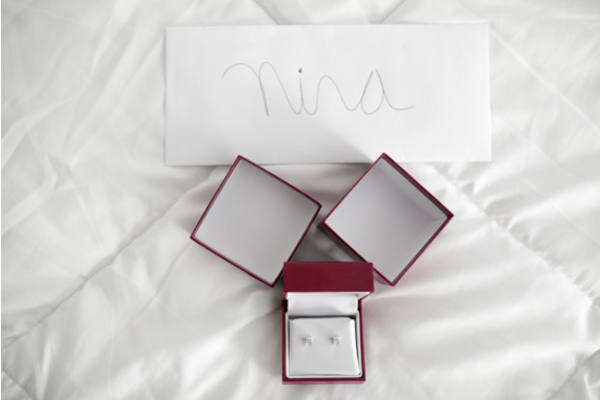 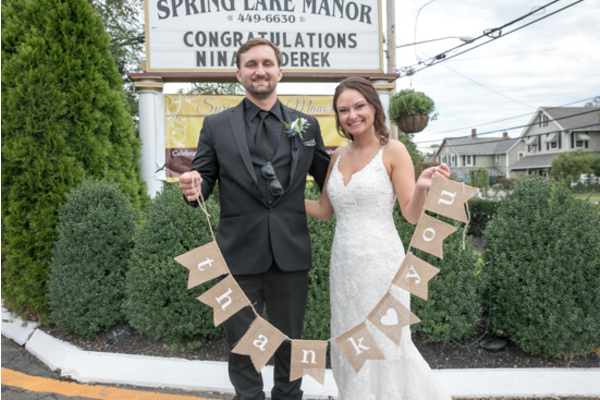 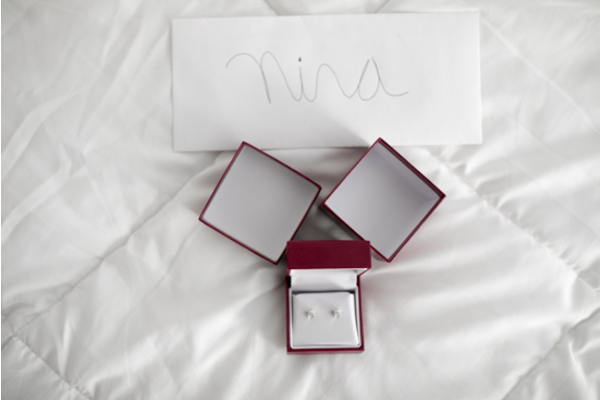 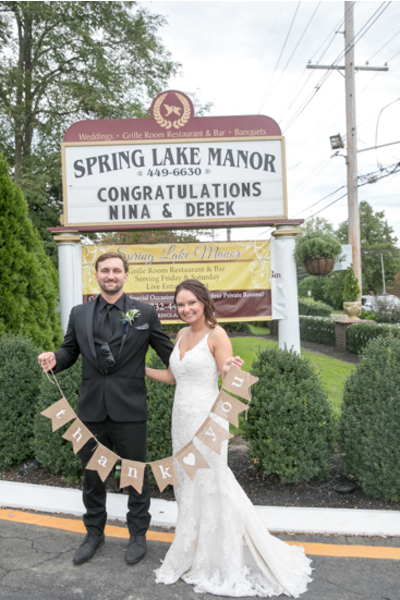 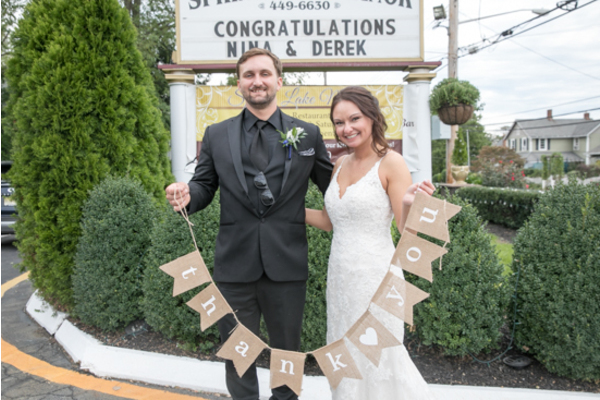 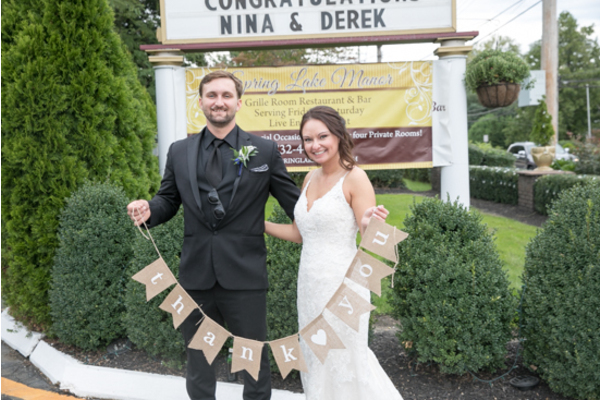 Congratulations, again, to Nina and Derek! 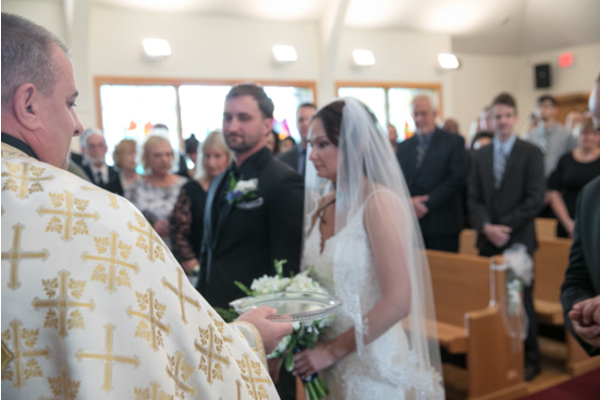 We wish you success and happiness on the start of your future together!